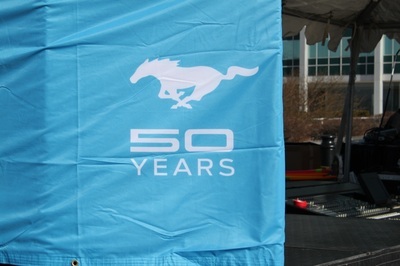 Free Beer celebrates the 50th anniversary of the Mustang with Ford! 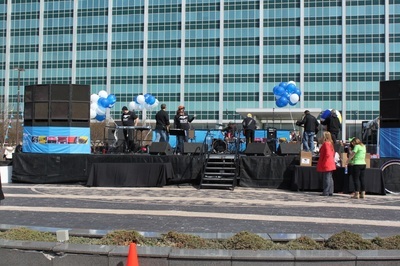 Free Beer occasionally will play a "Corporate Gig" if we like the company and the idea of the event. 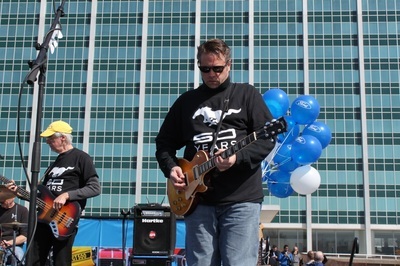 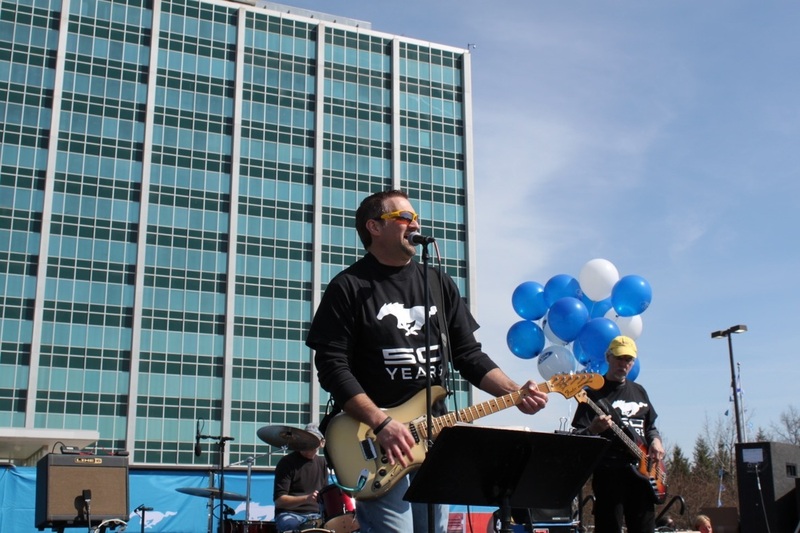 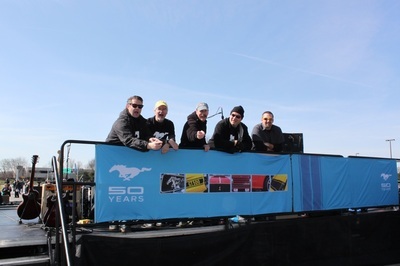 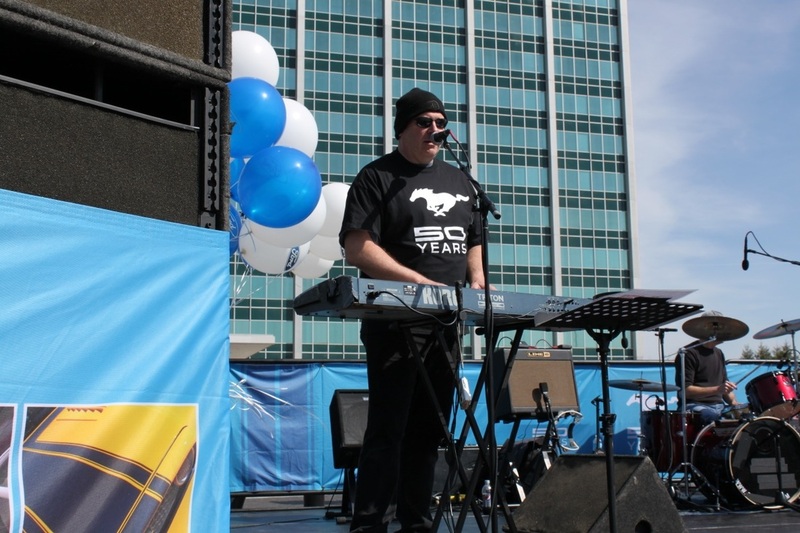 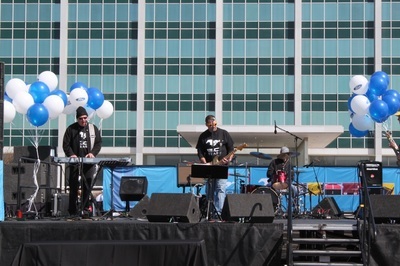 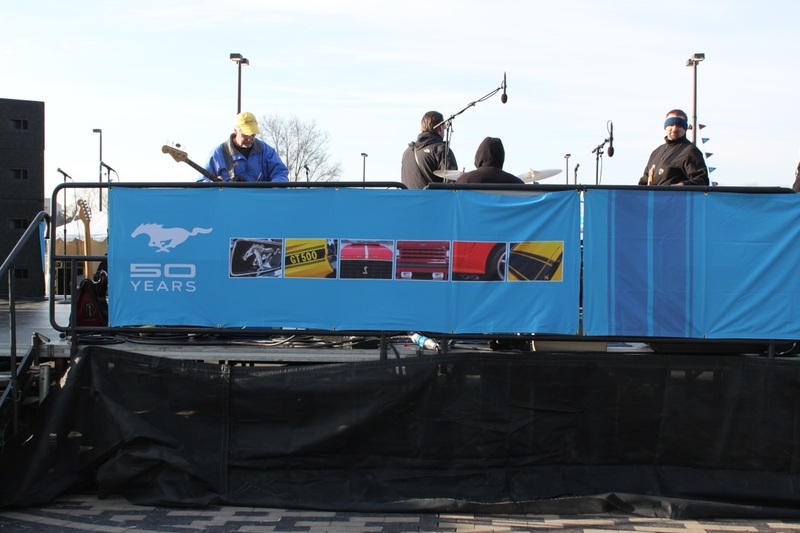 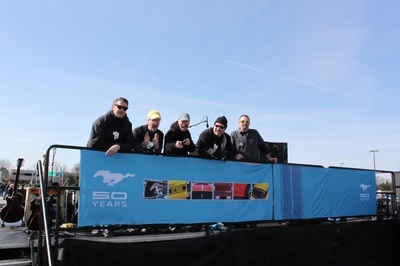 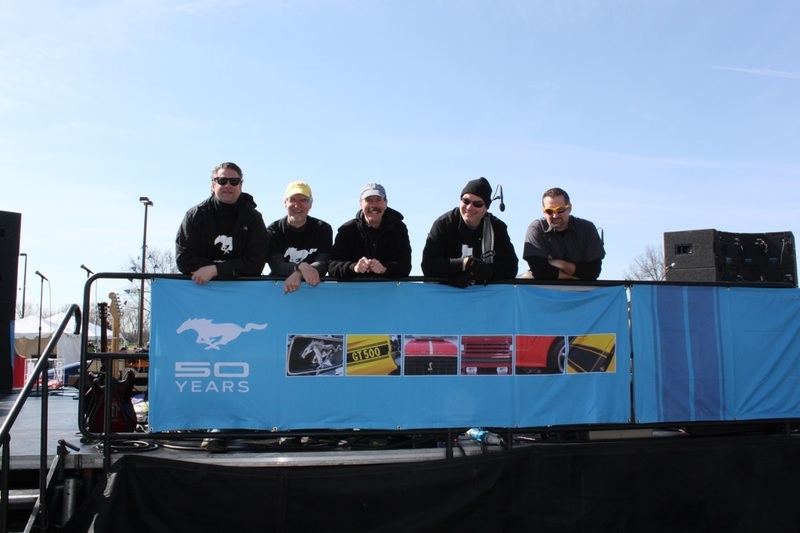 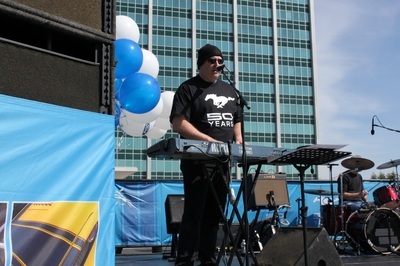 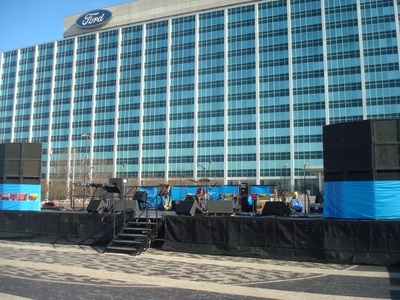 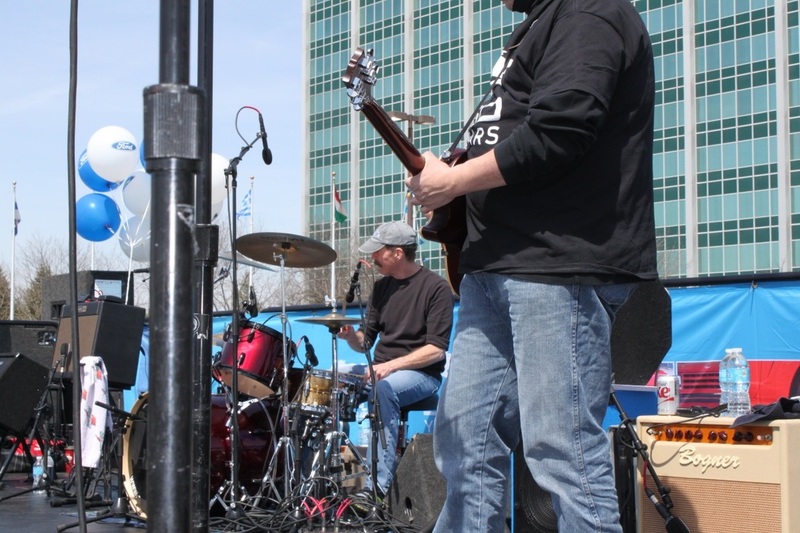 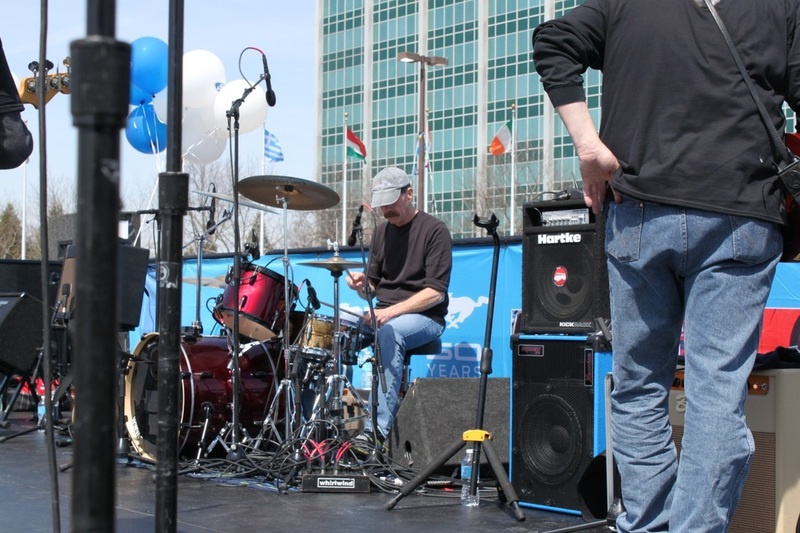 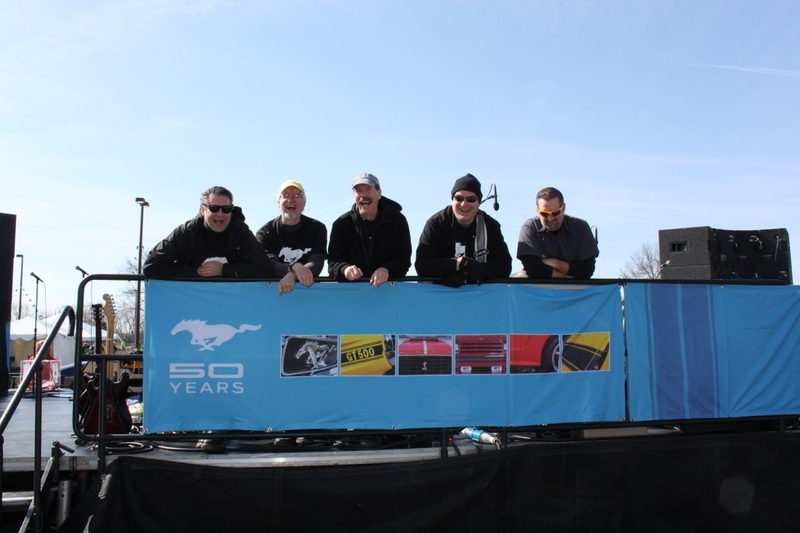 Ford Motor Company asked us to be the "House Band" for their outdoor celebration of the 50th annivesary of the Ford Mustang so we said yes. 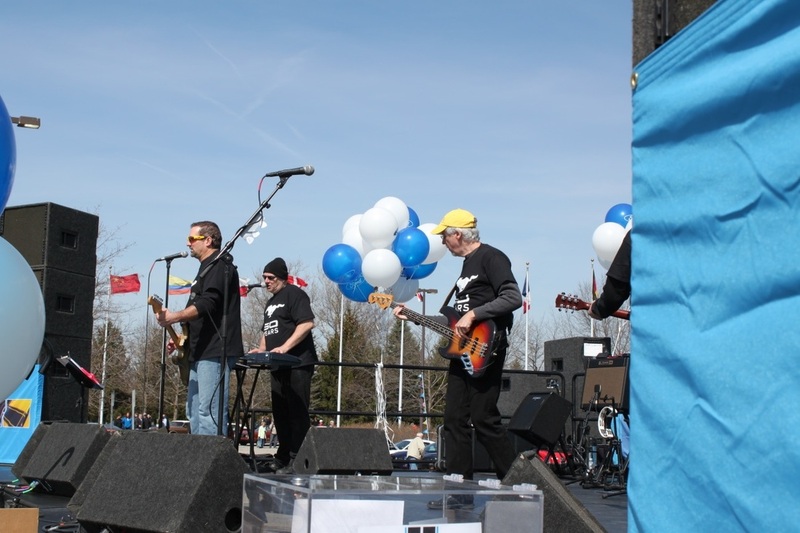 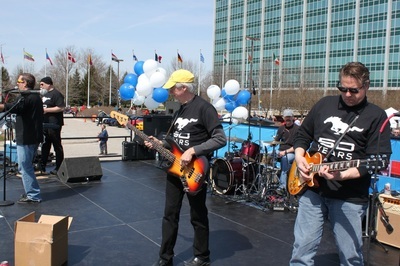 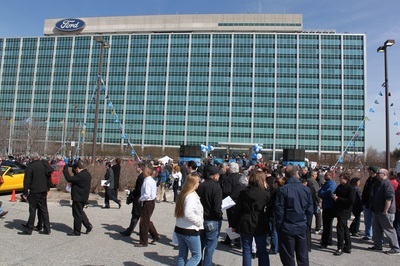 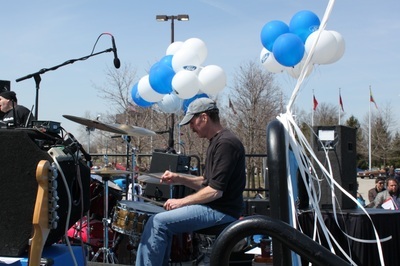 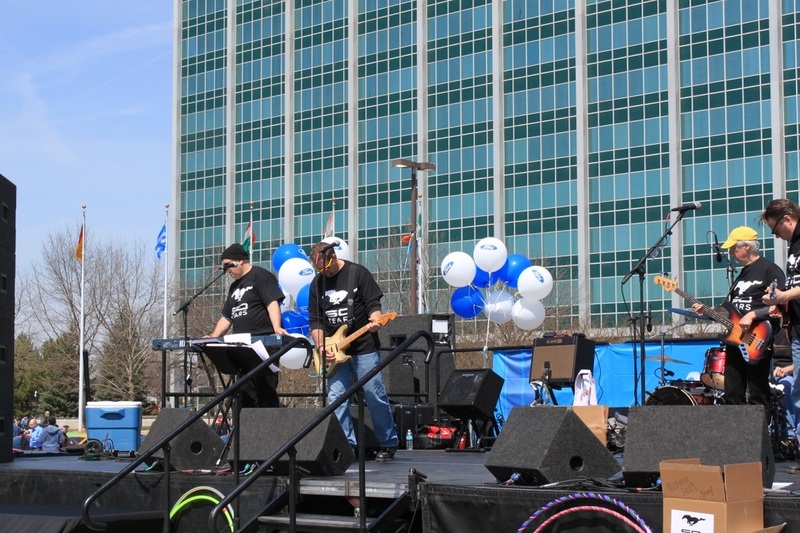 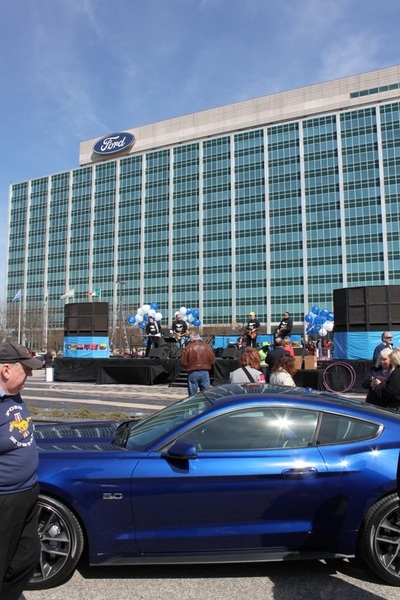 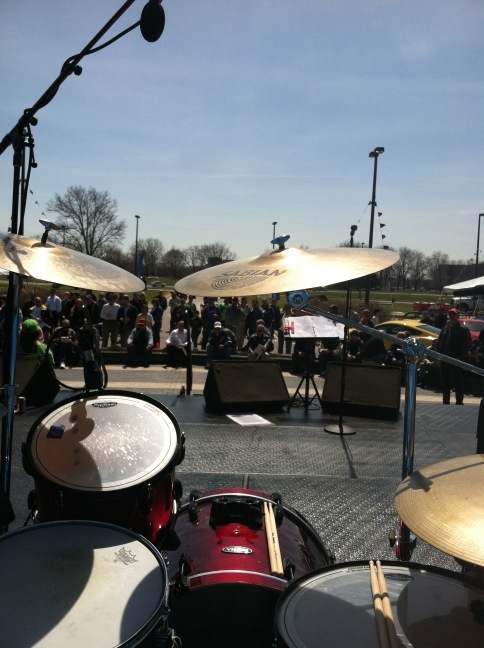 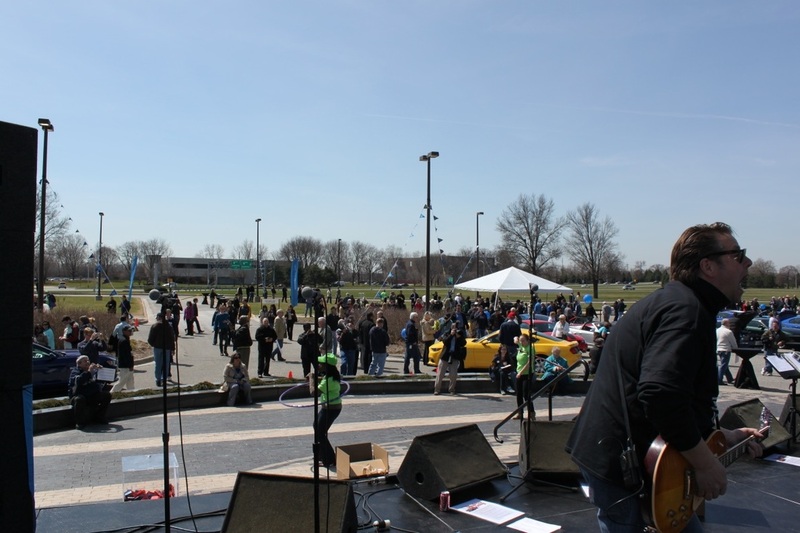 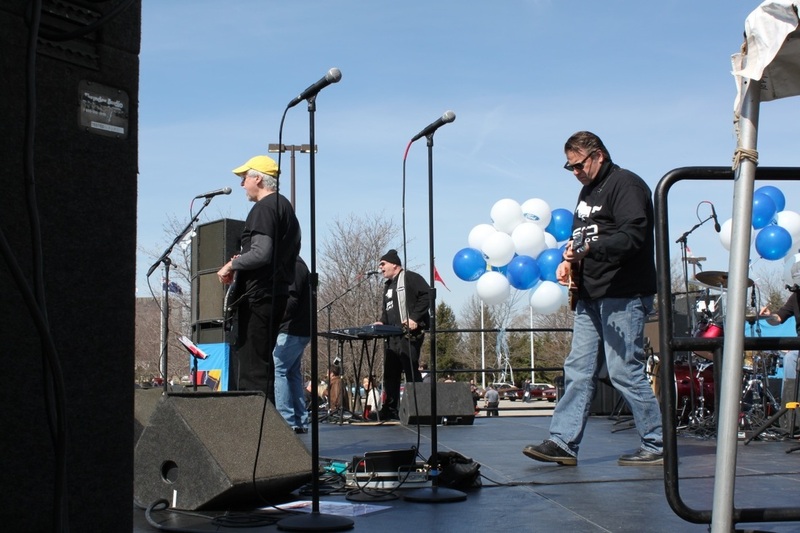 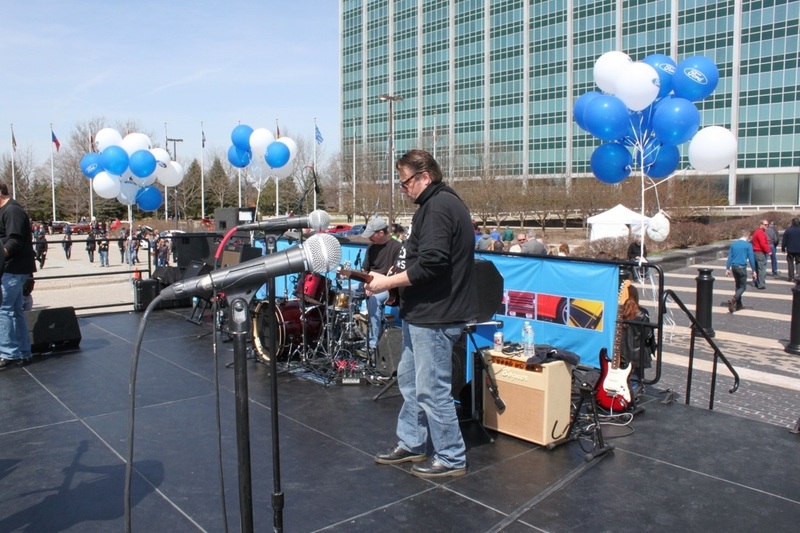 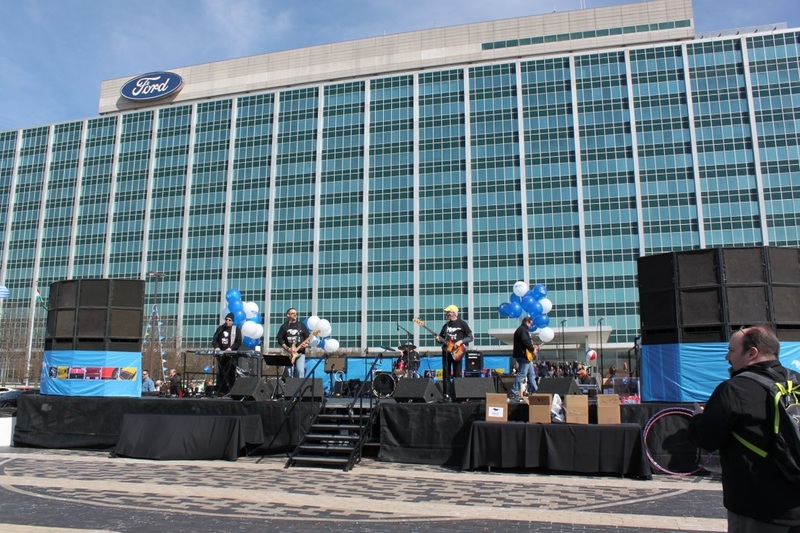 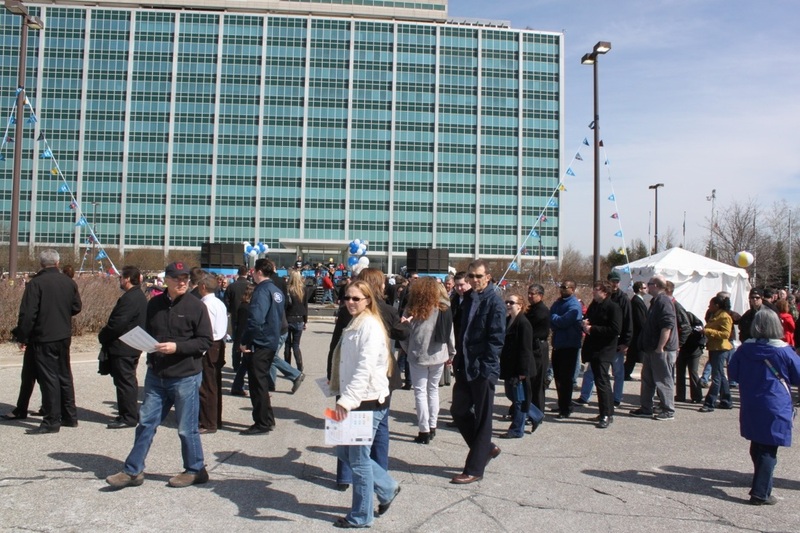 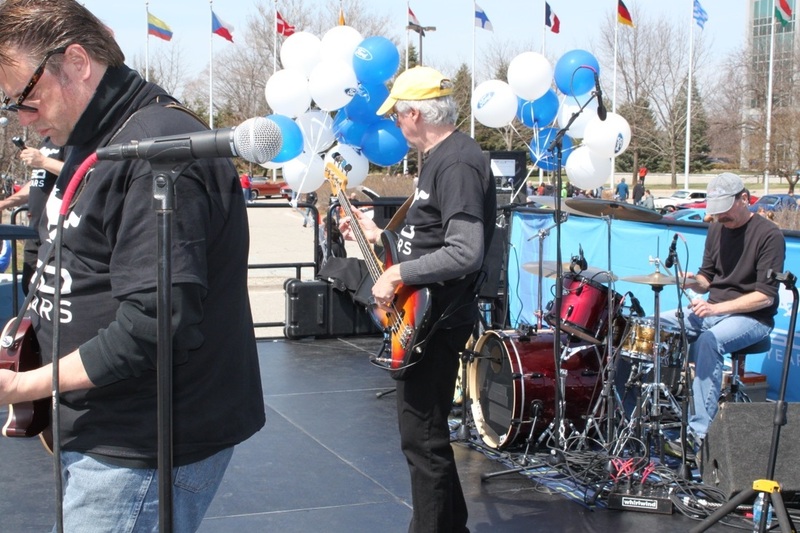 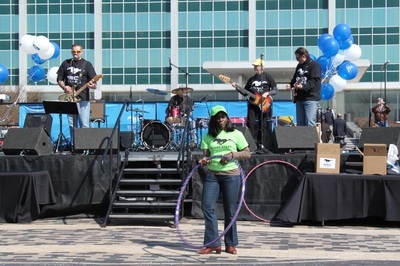 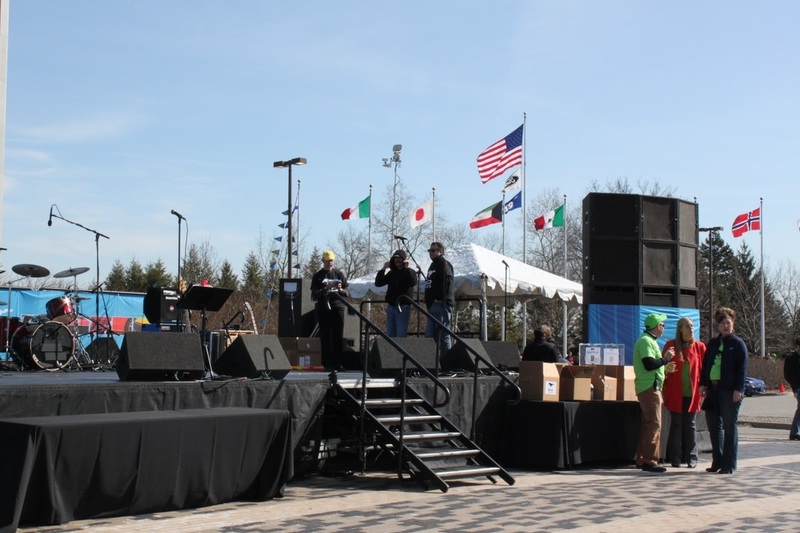 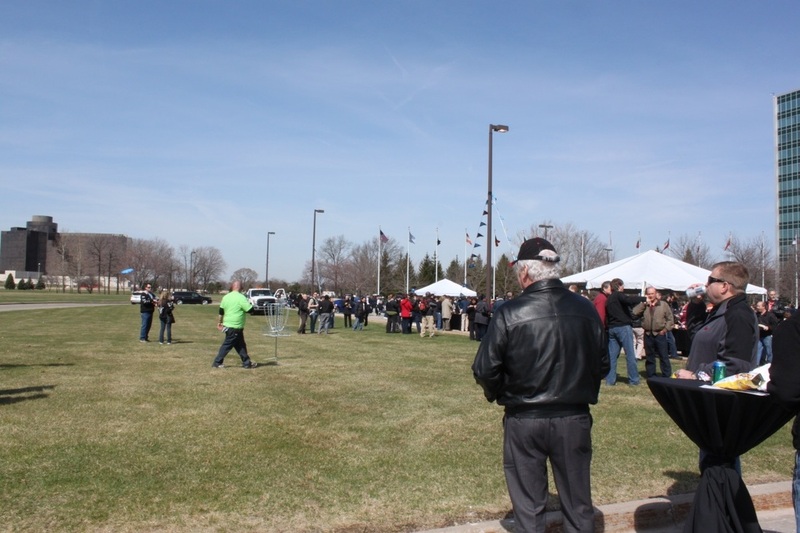 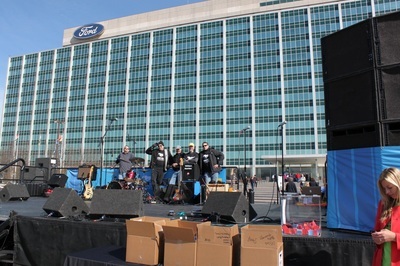 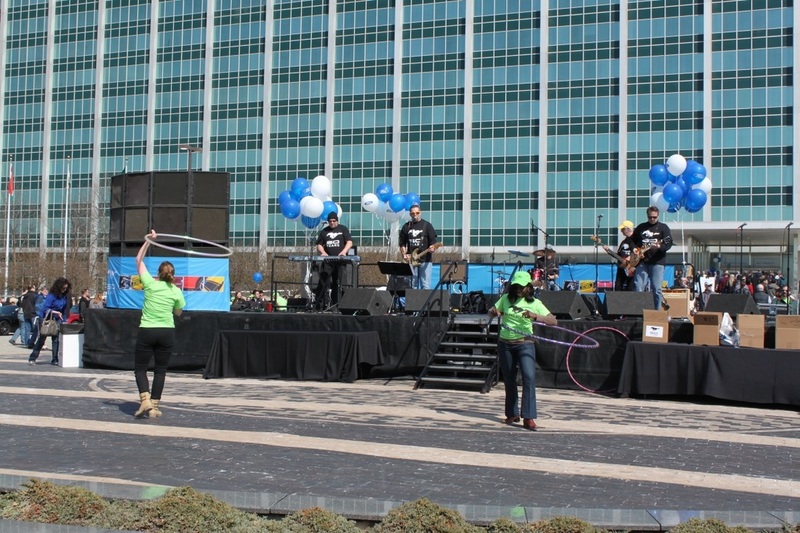 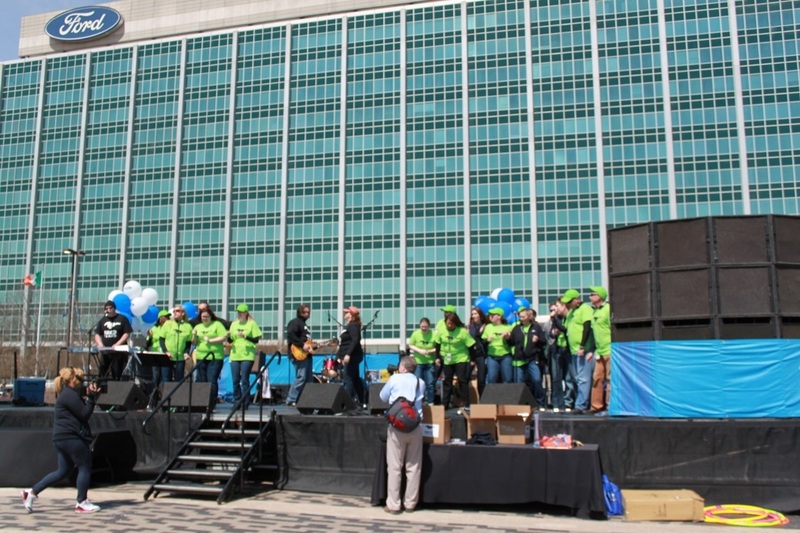 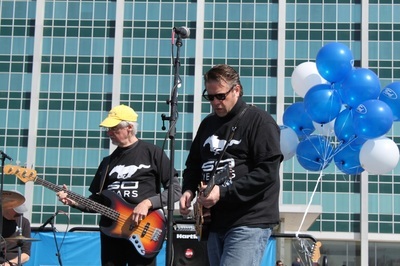 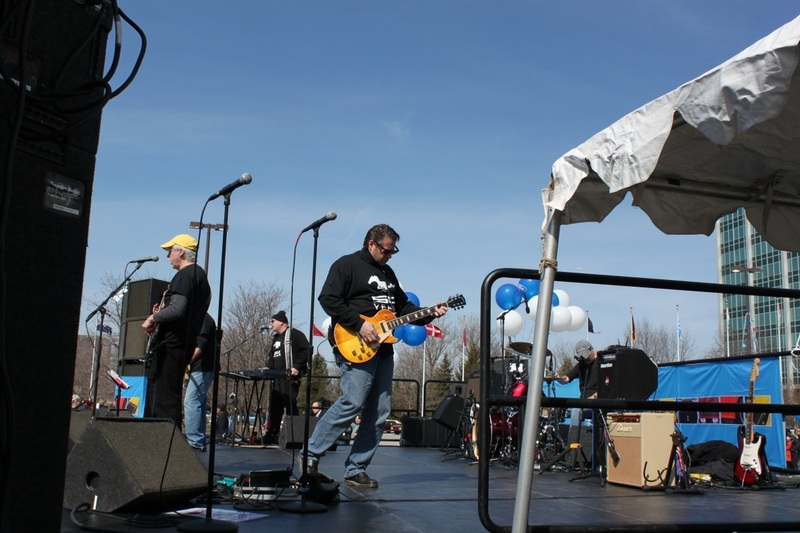 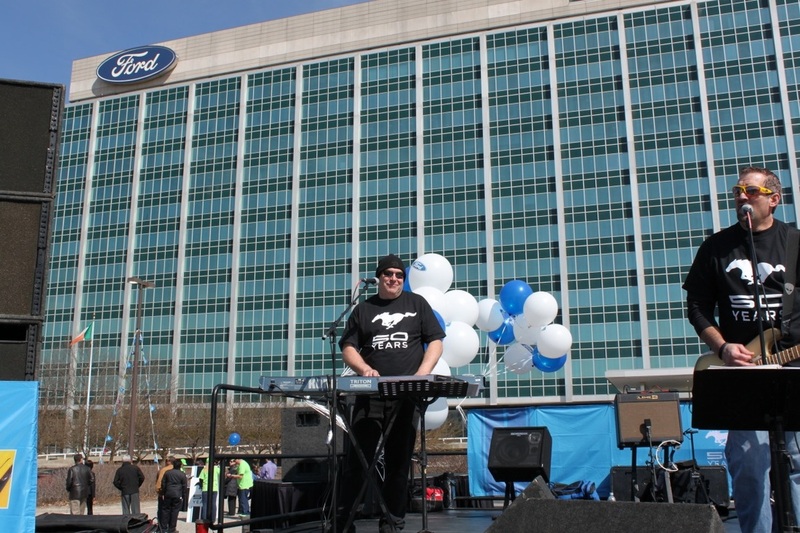 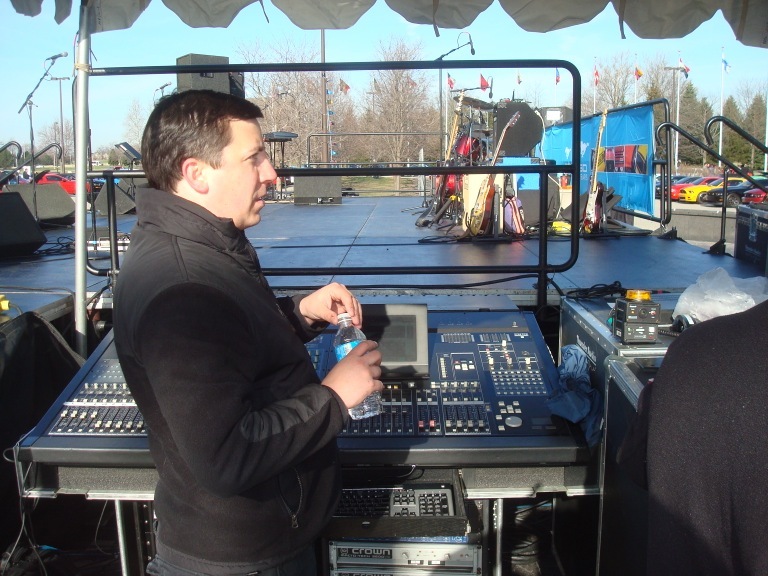 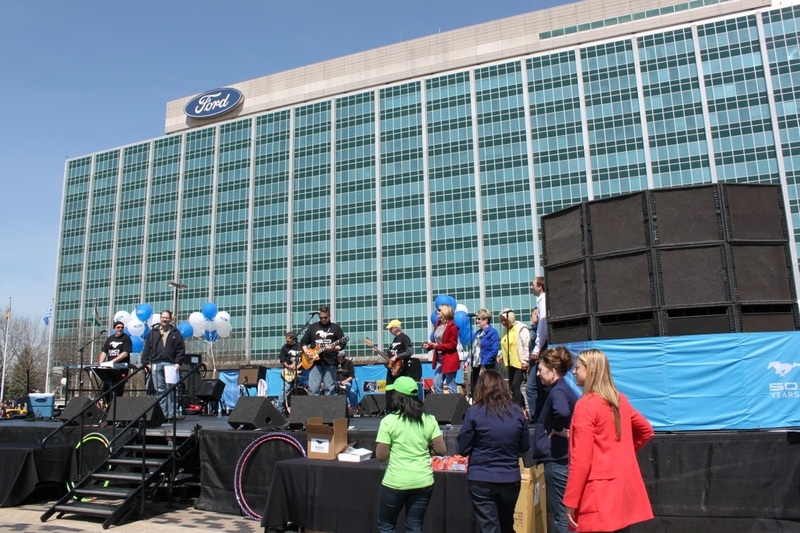 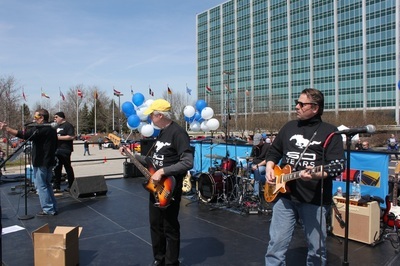 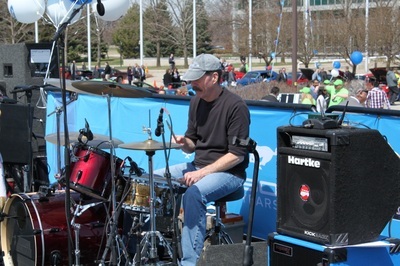 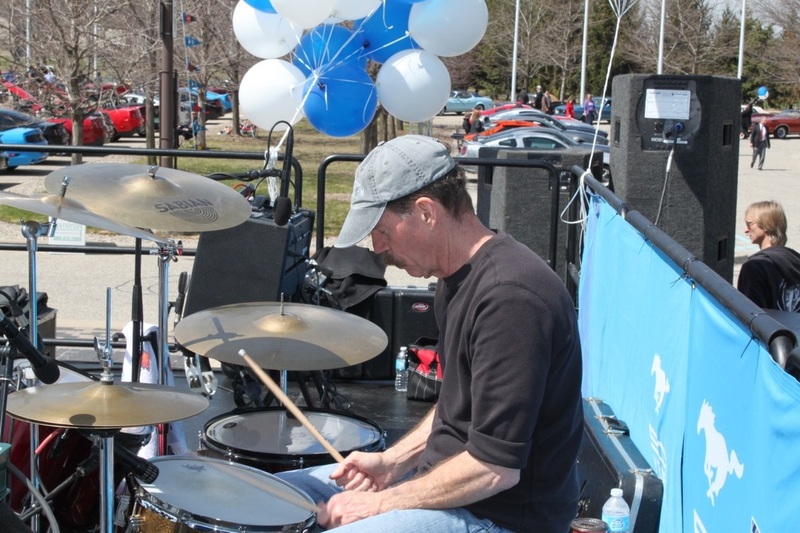 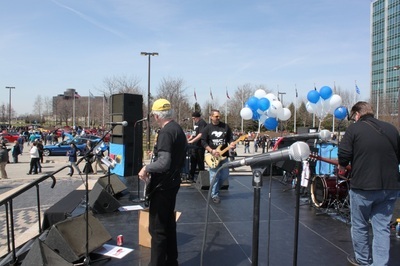 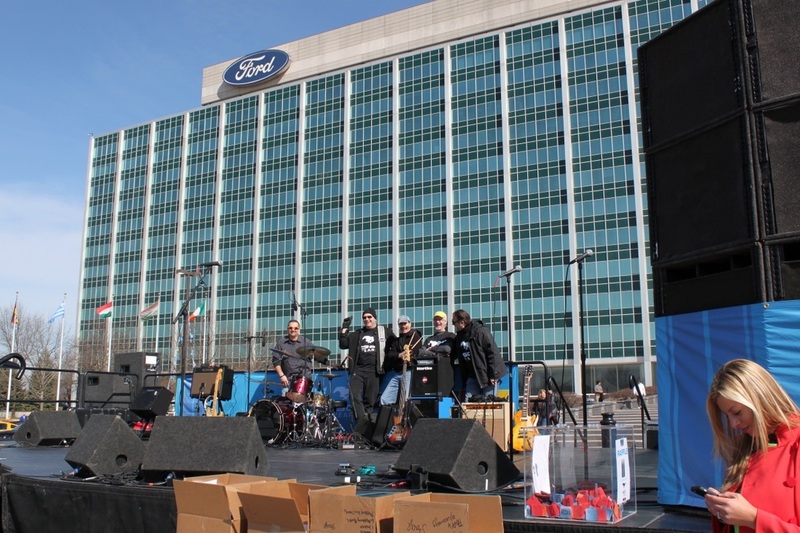 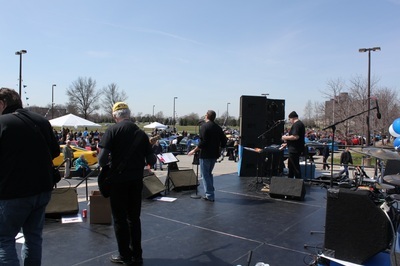 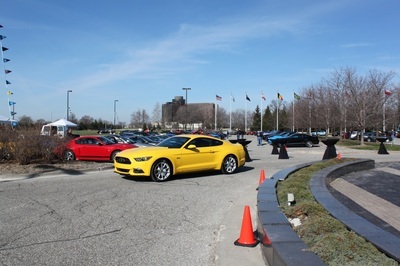 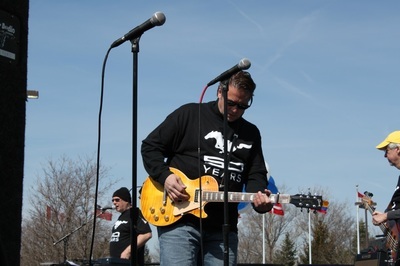 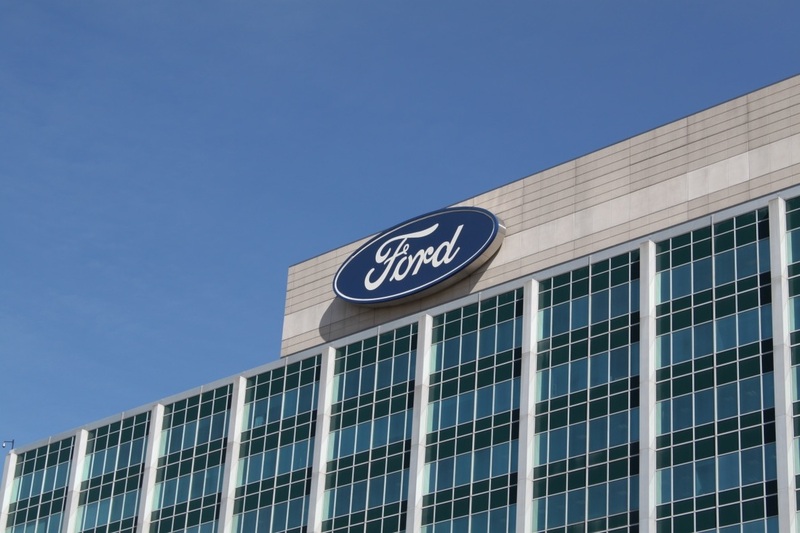 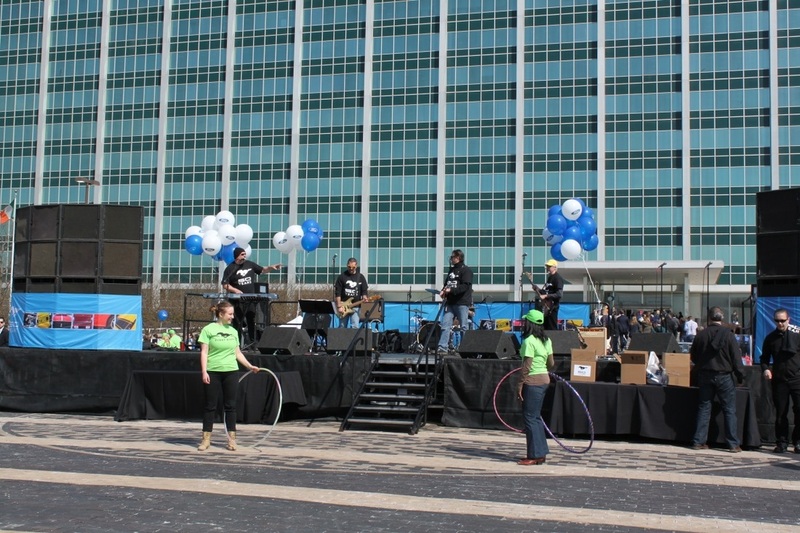 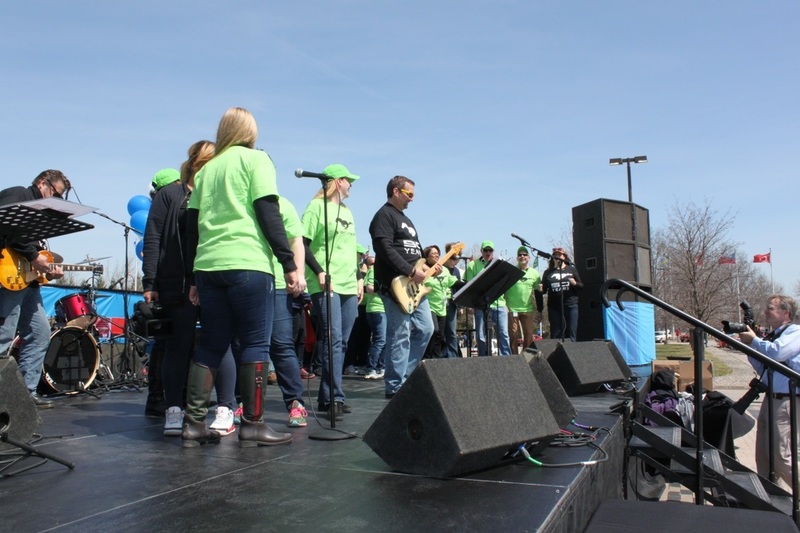 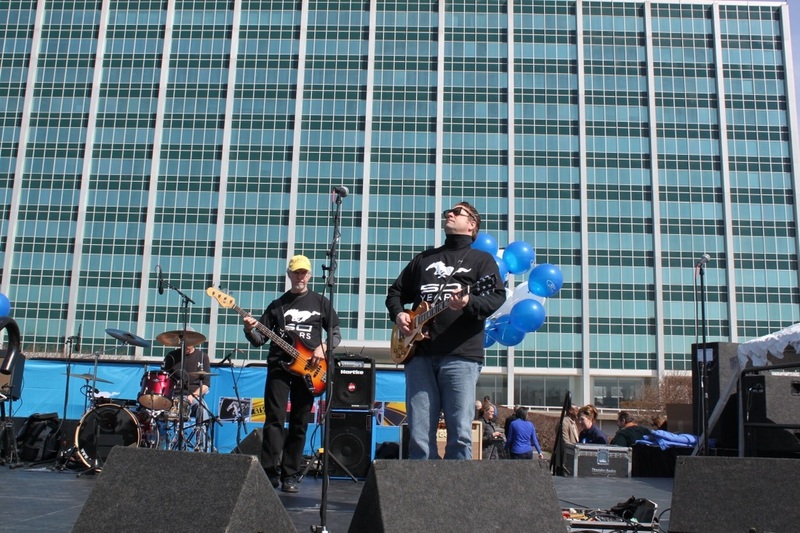 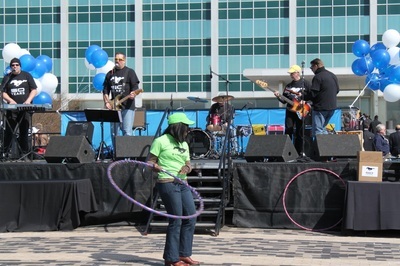 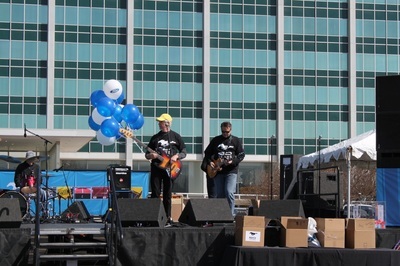 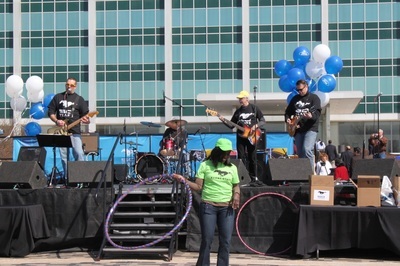 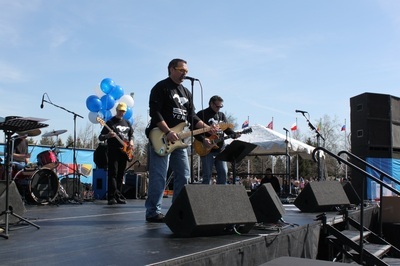 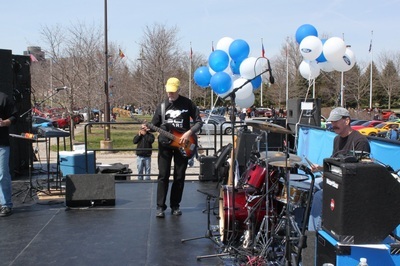 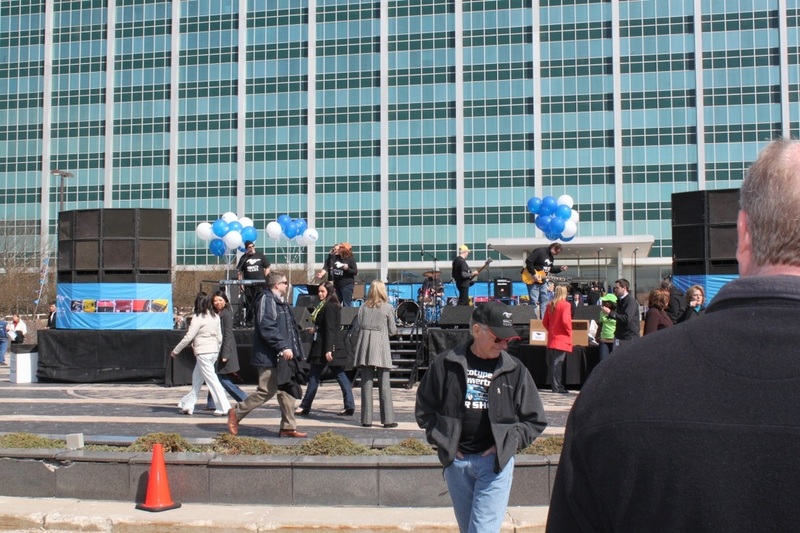 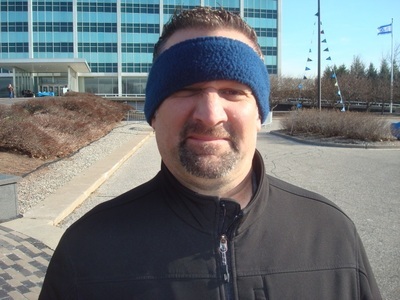 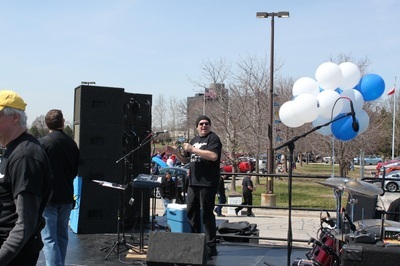 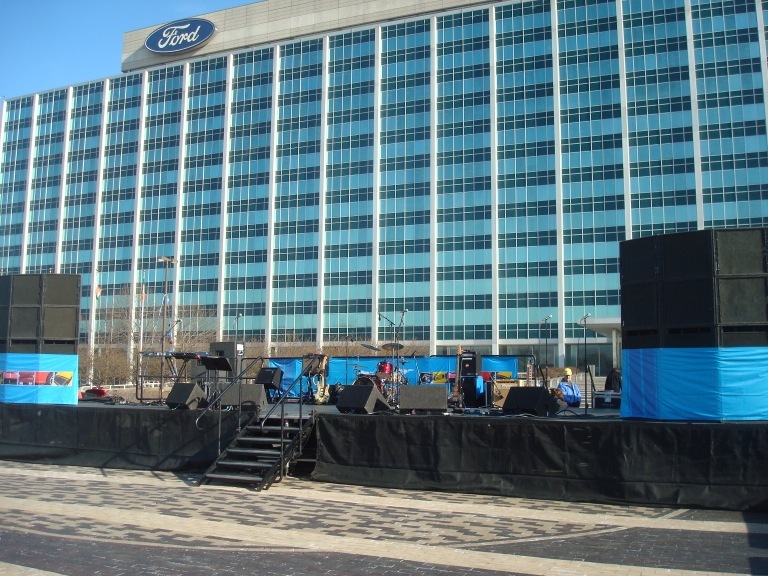 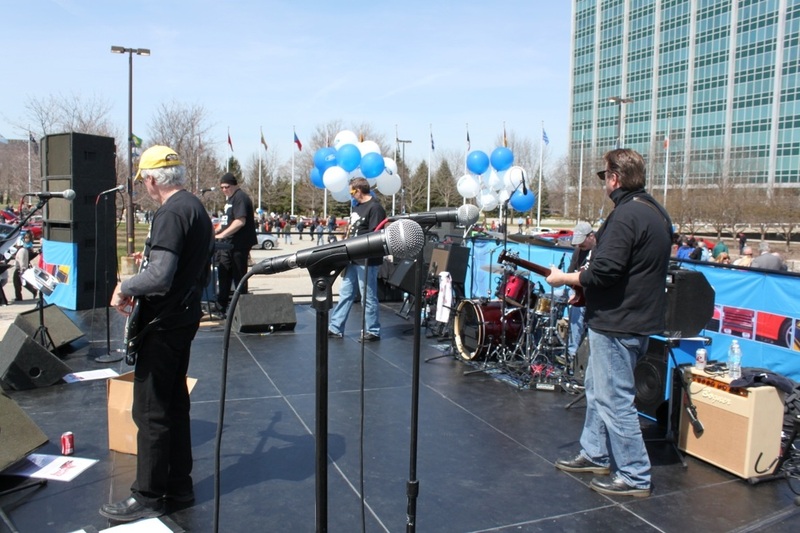 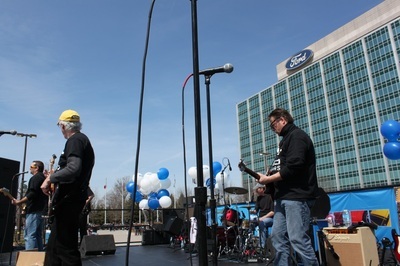 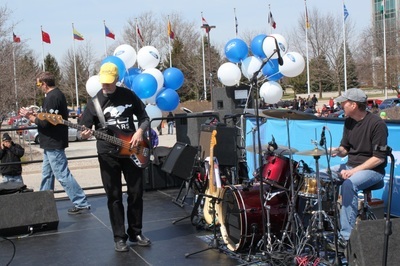 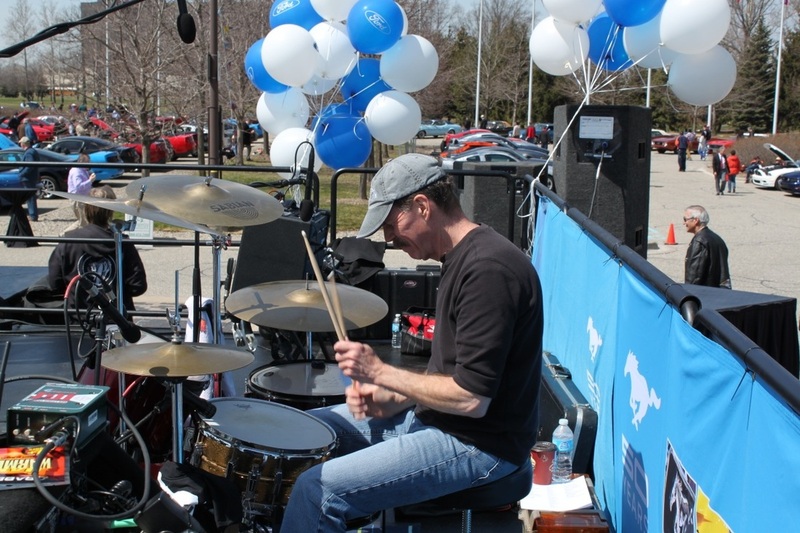 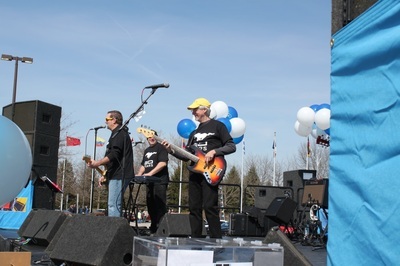 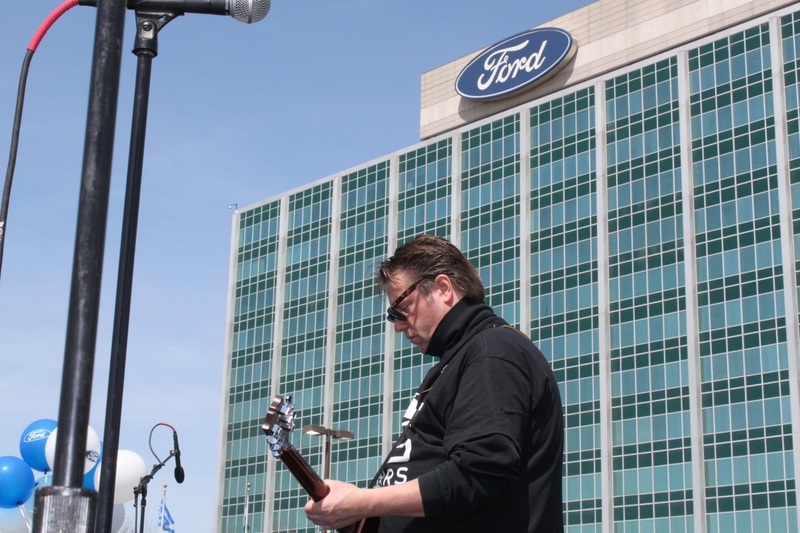 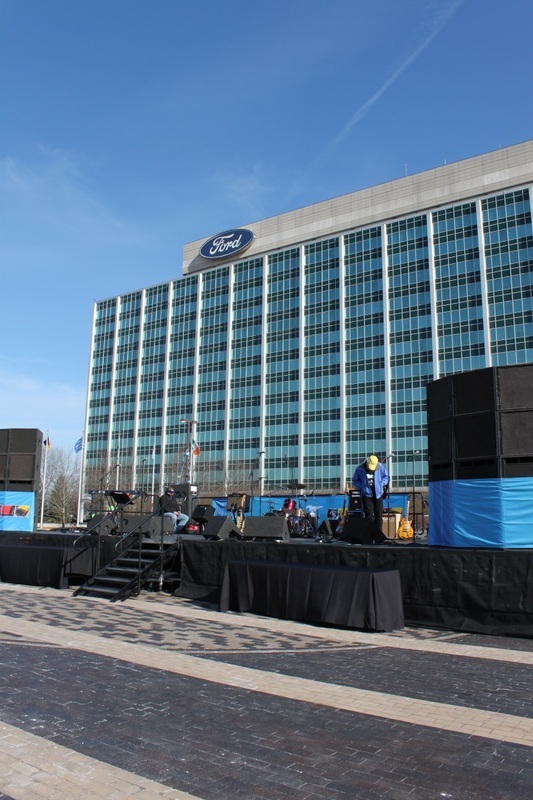 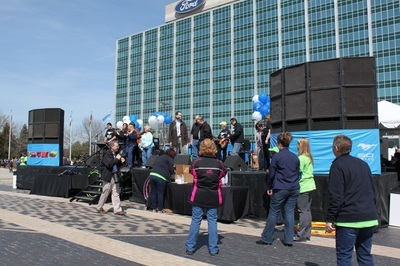 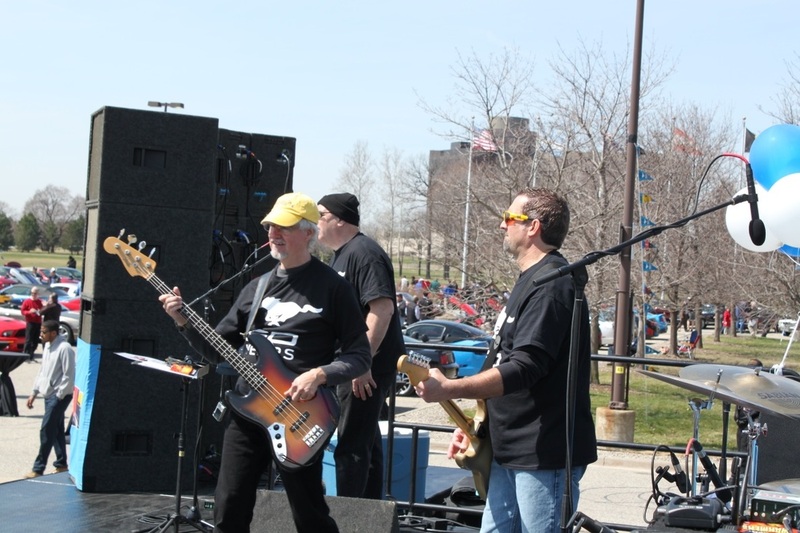 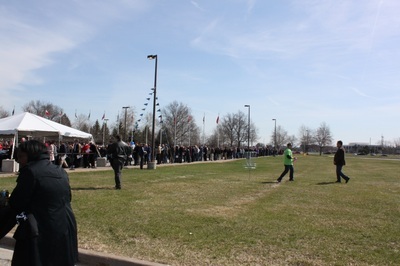 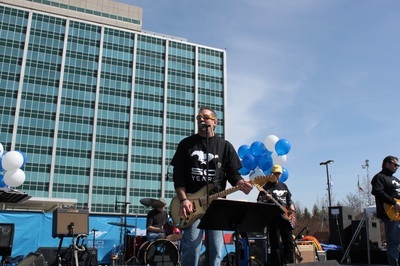 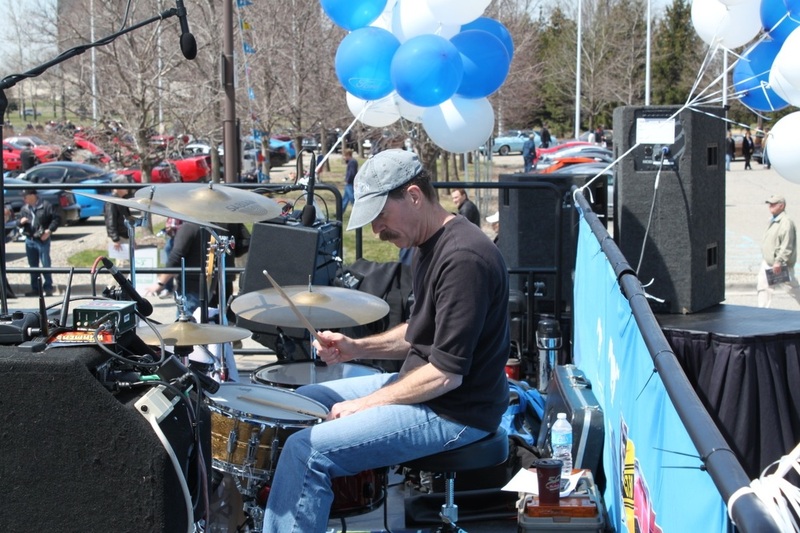 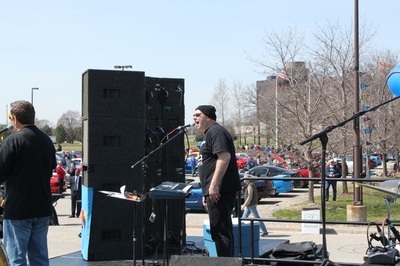 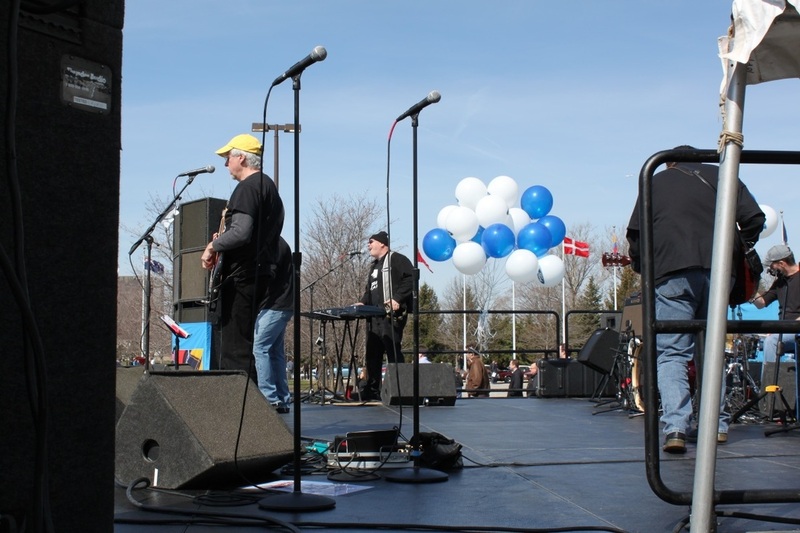 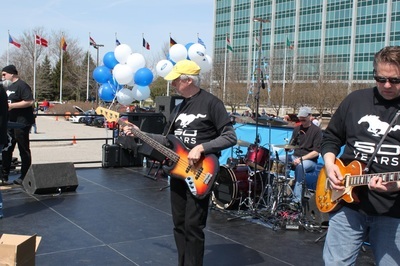 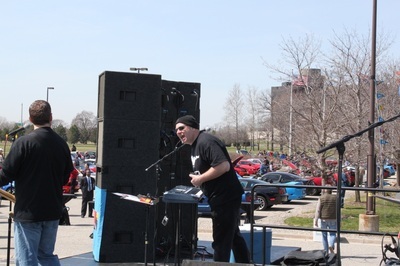 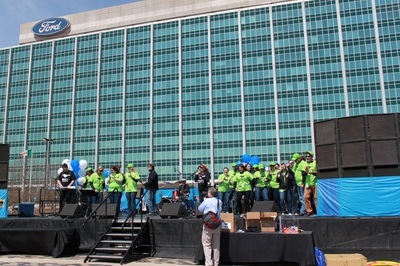 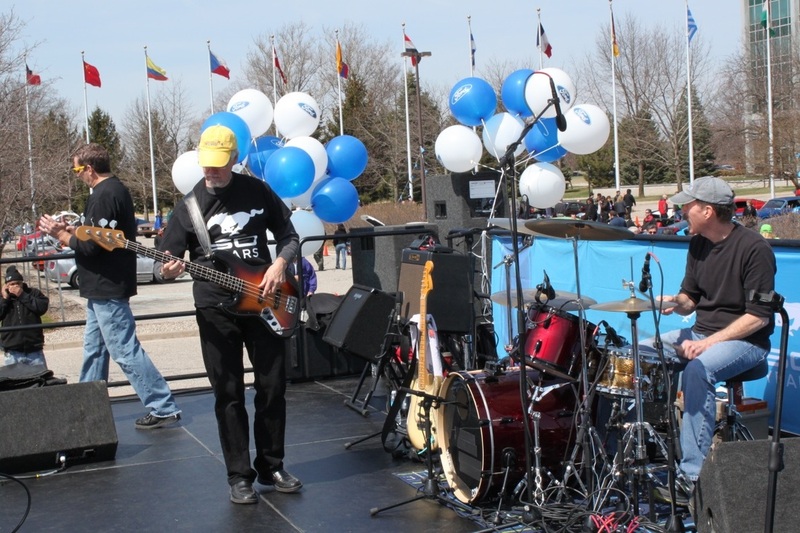 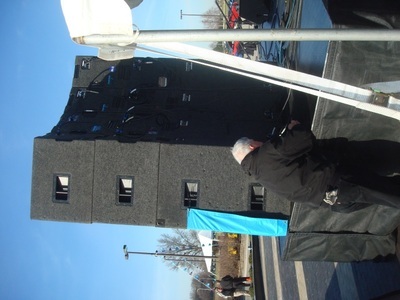 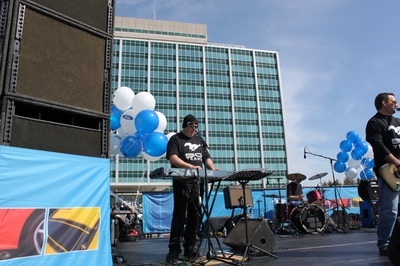 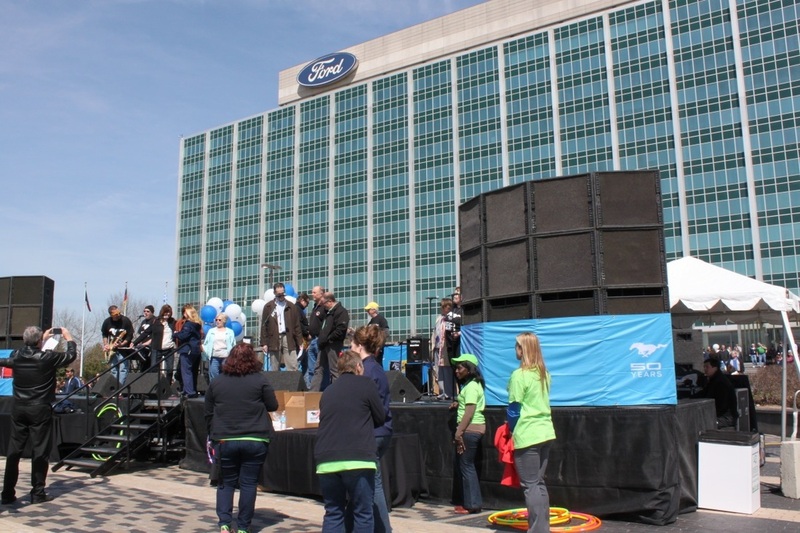 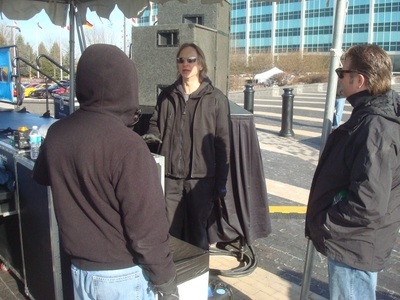 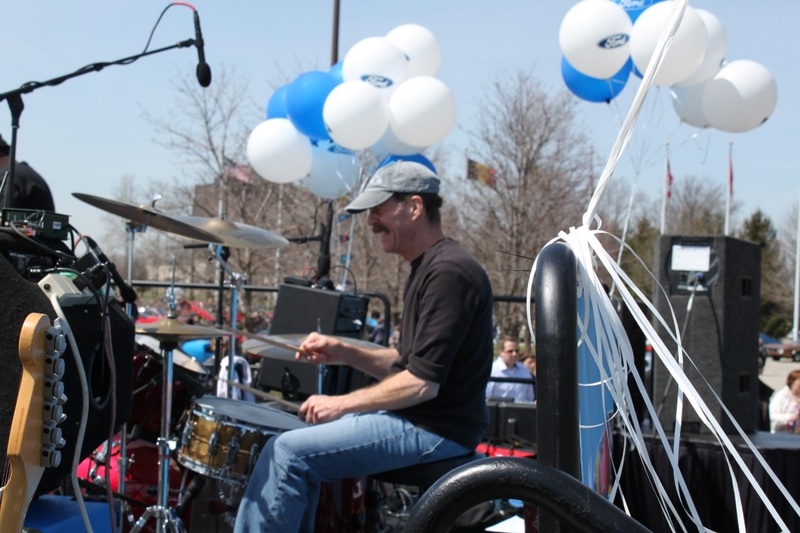 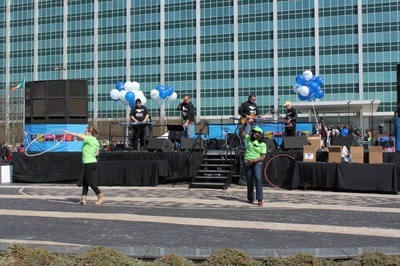 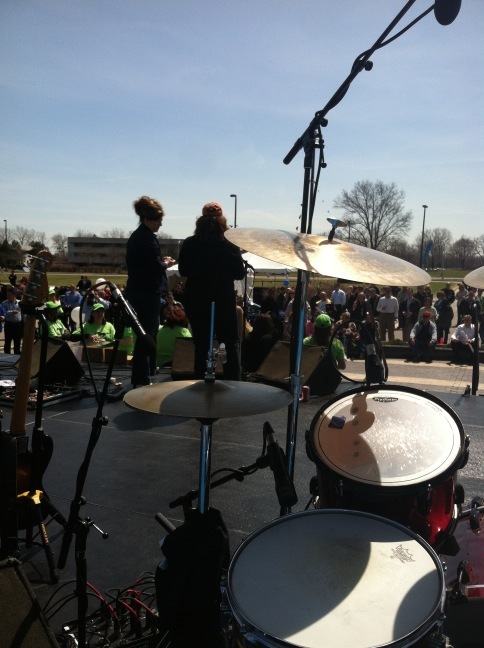 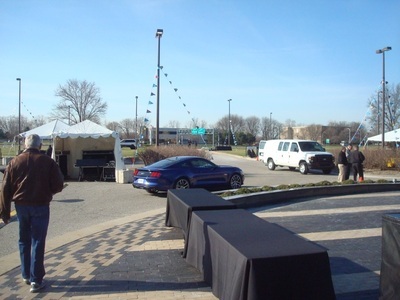 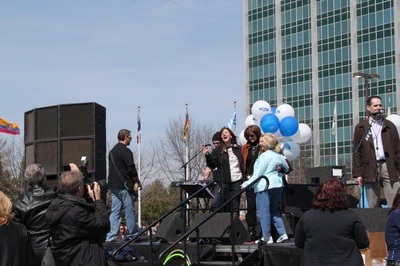 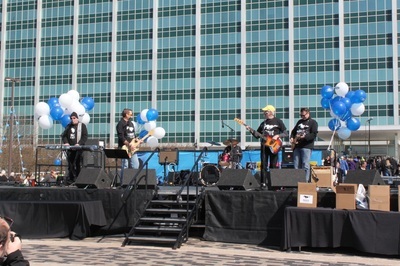 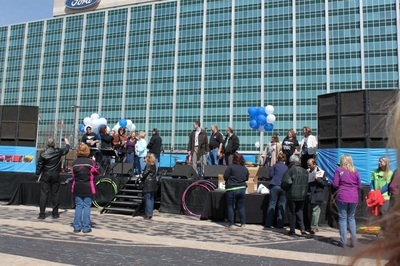 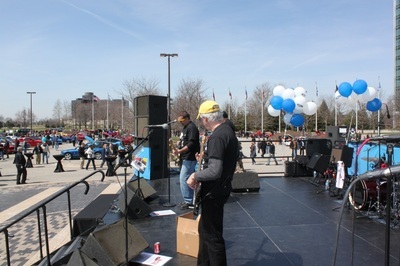 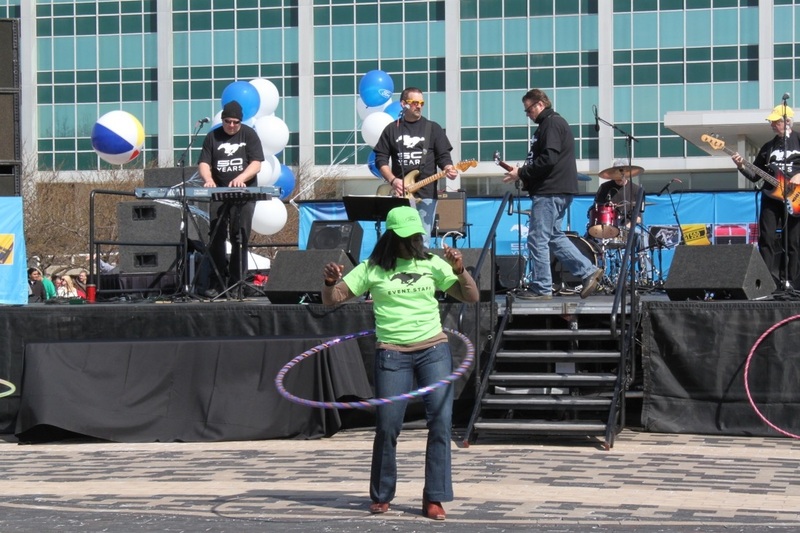 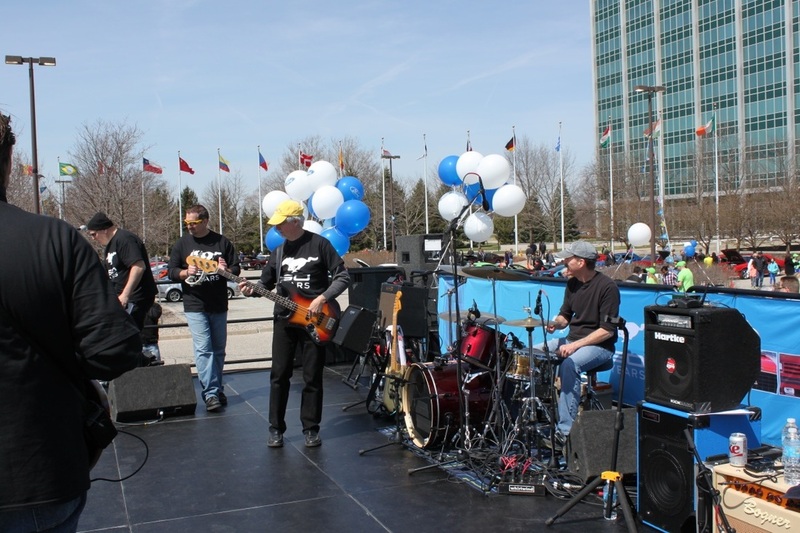 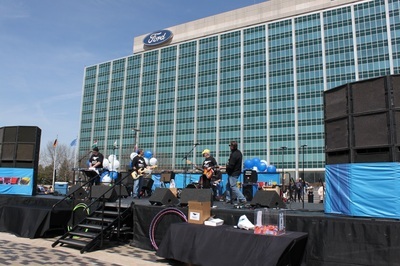 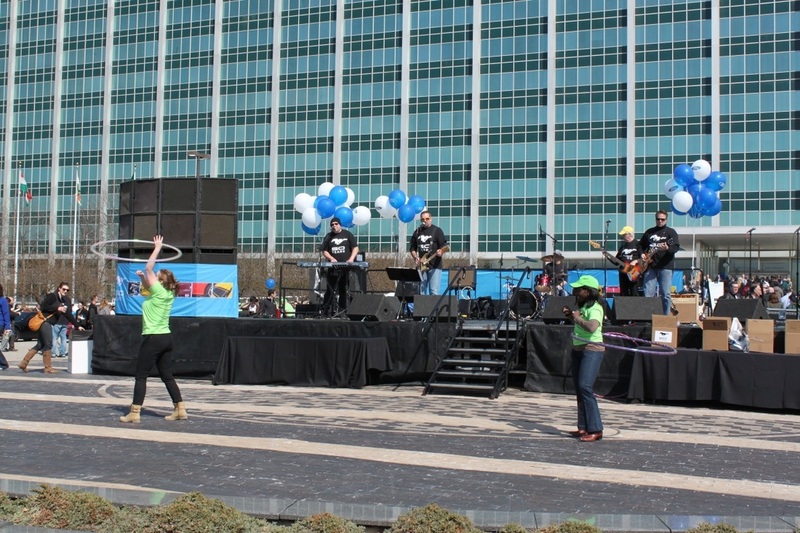 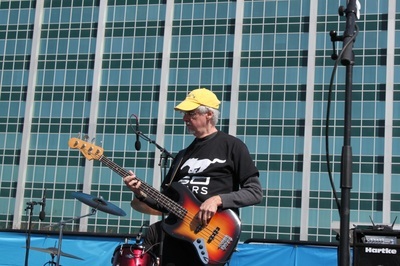 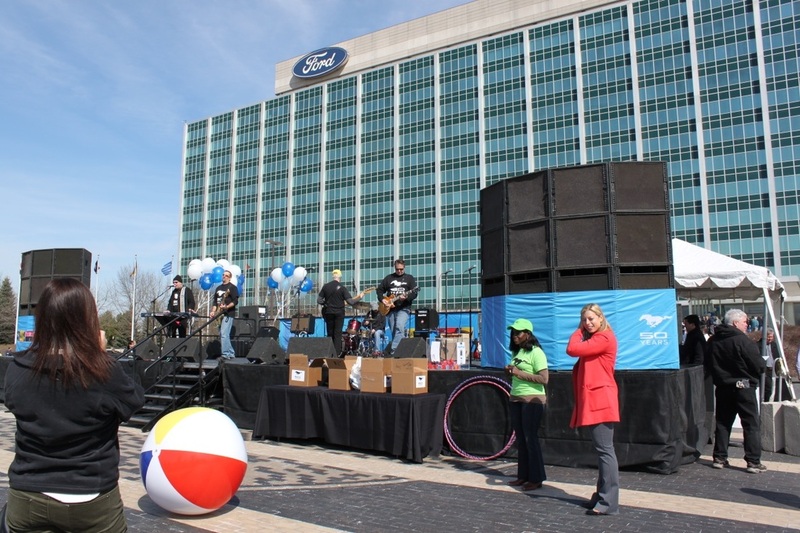 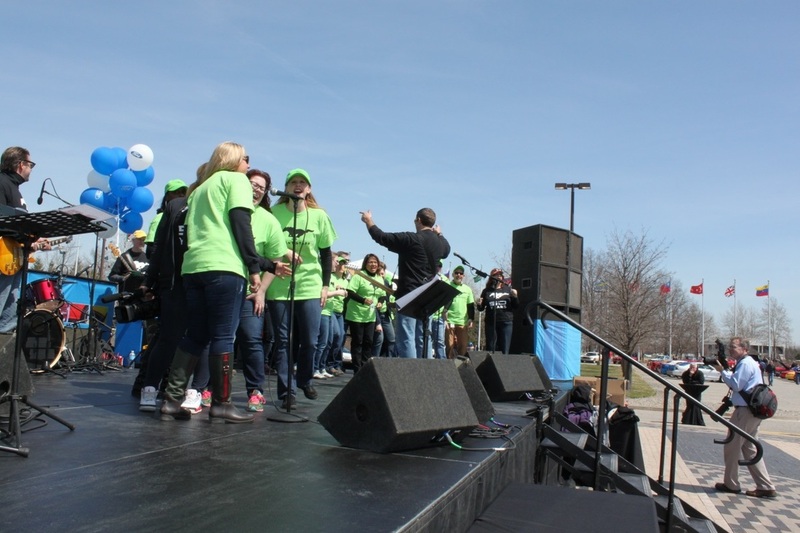 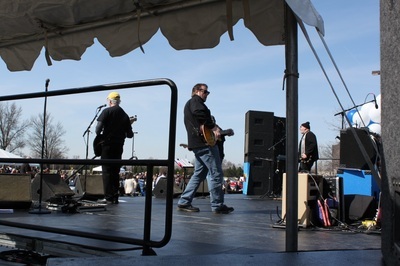 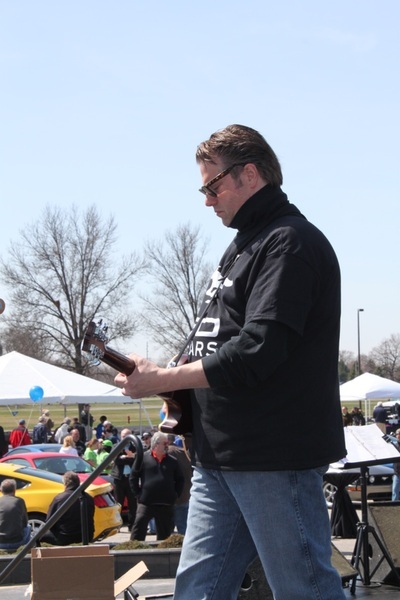 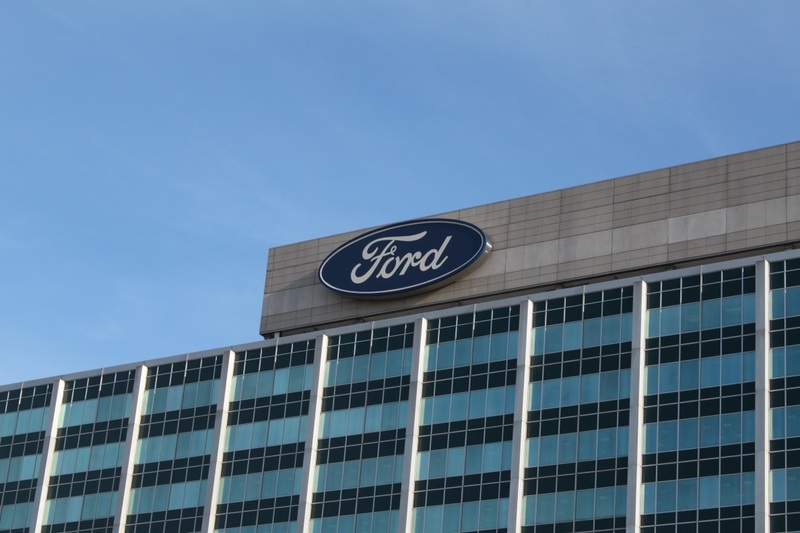 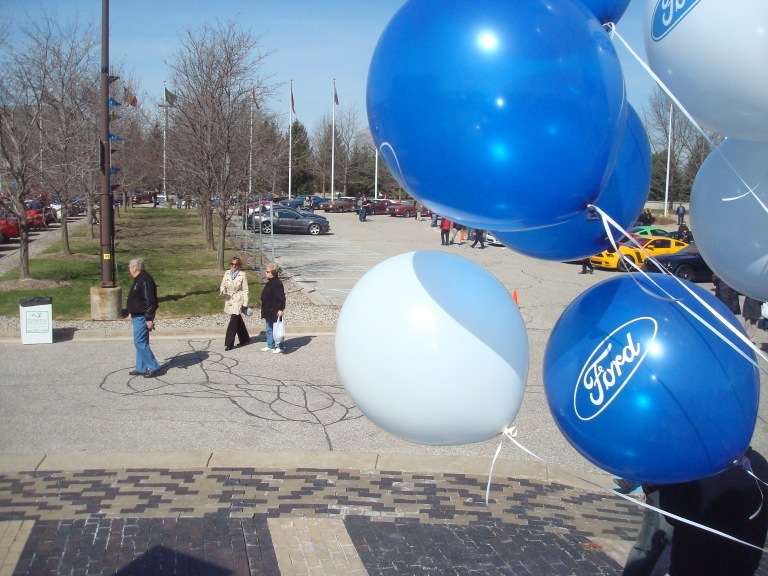 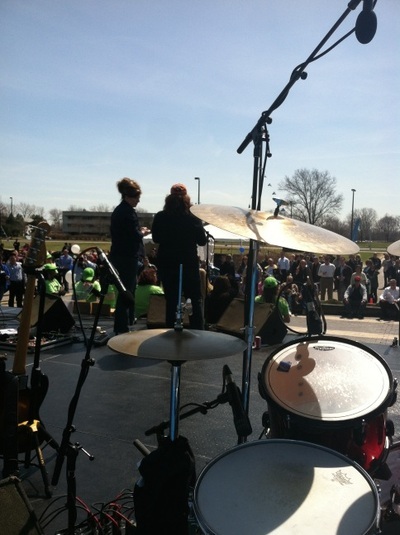 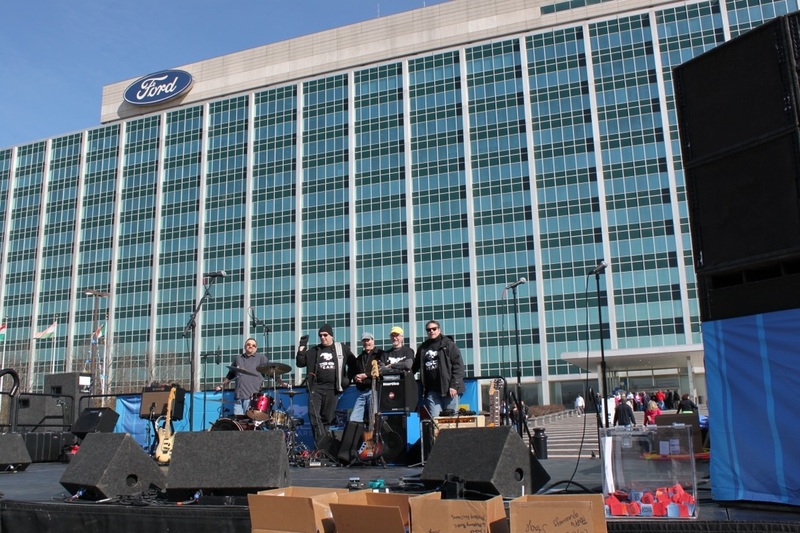 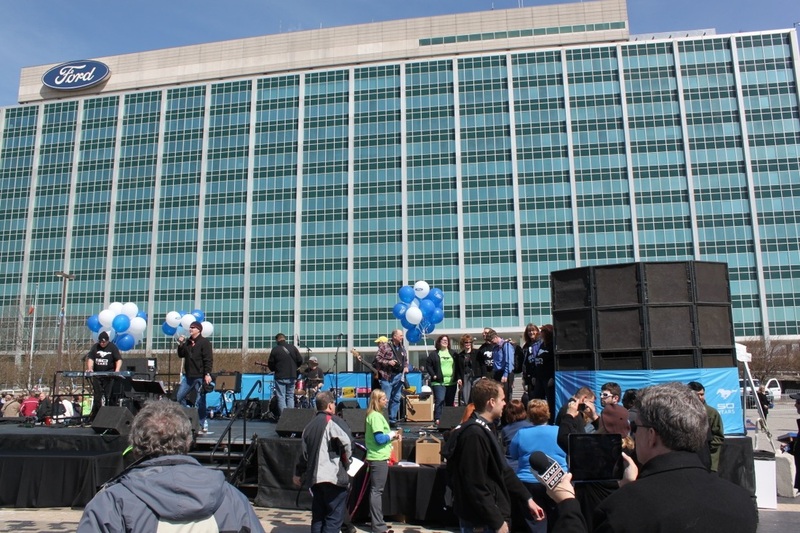 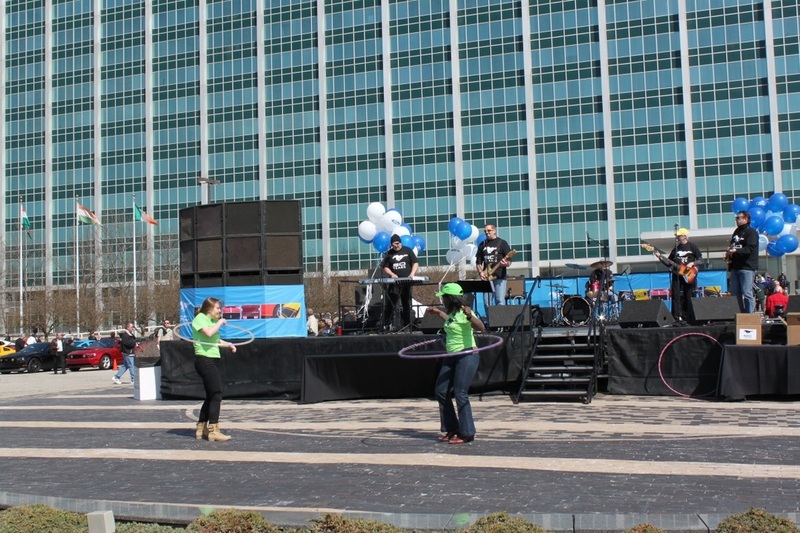 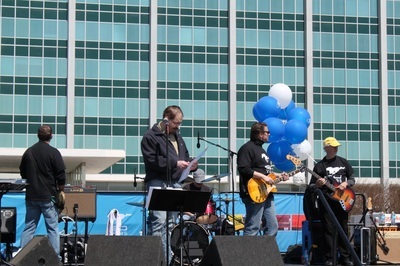 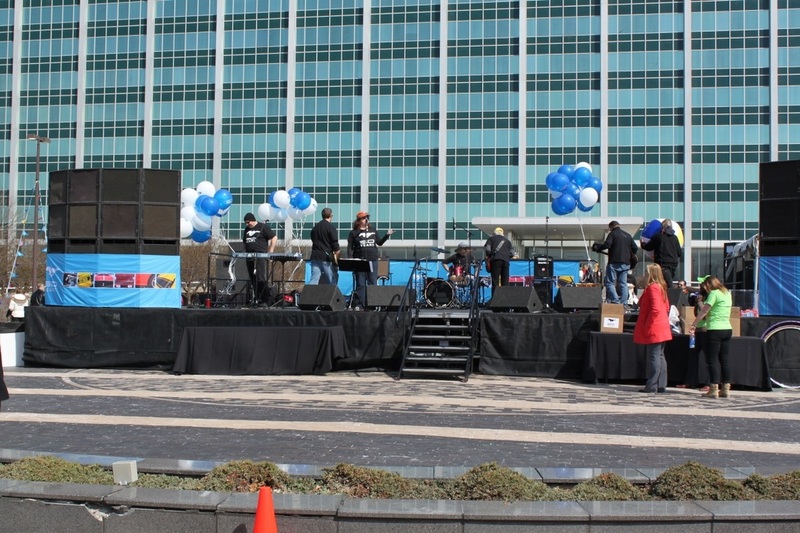 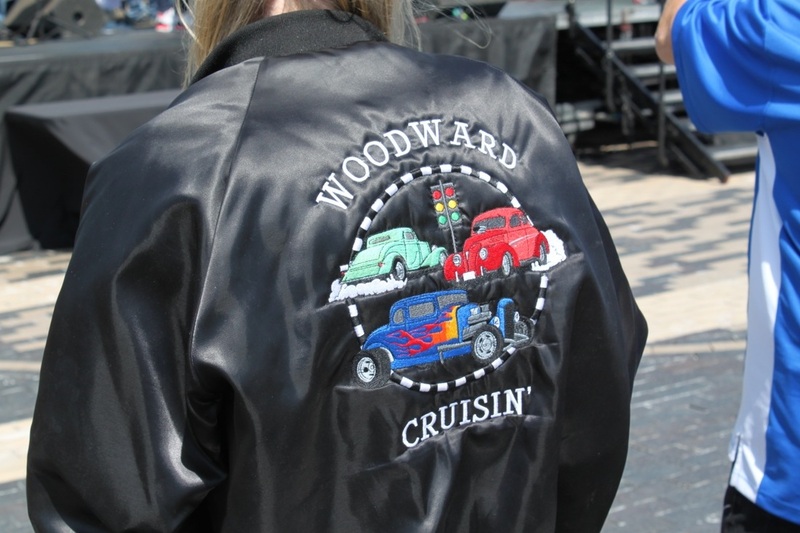 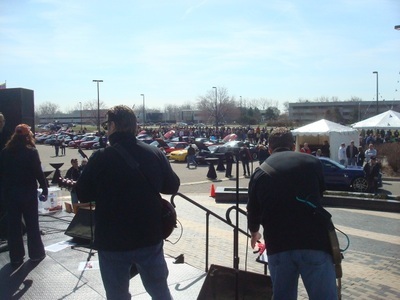 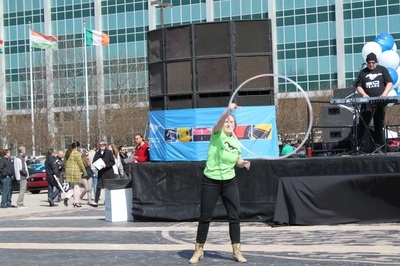 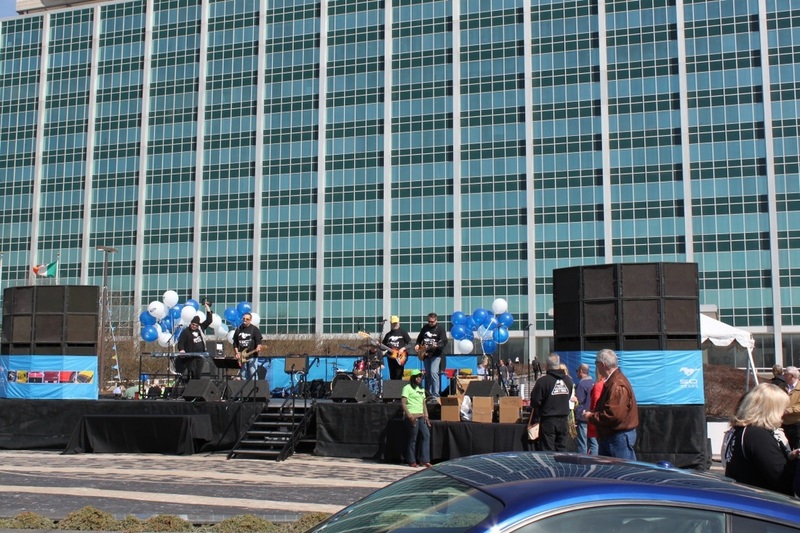 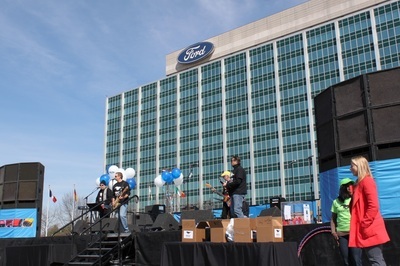 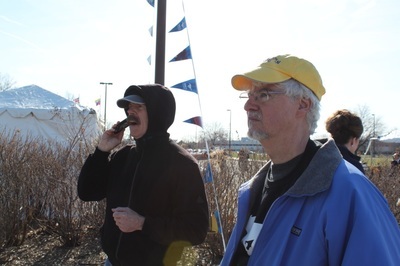 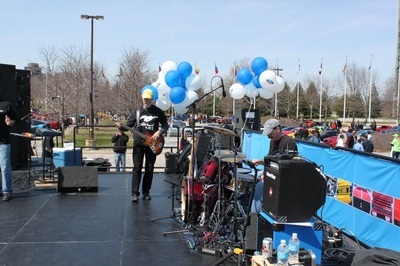 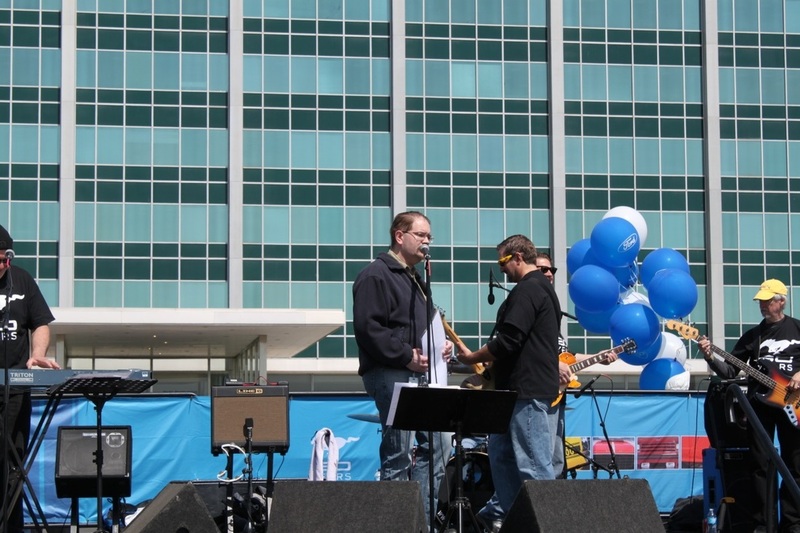 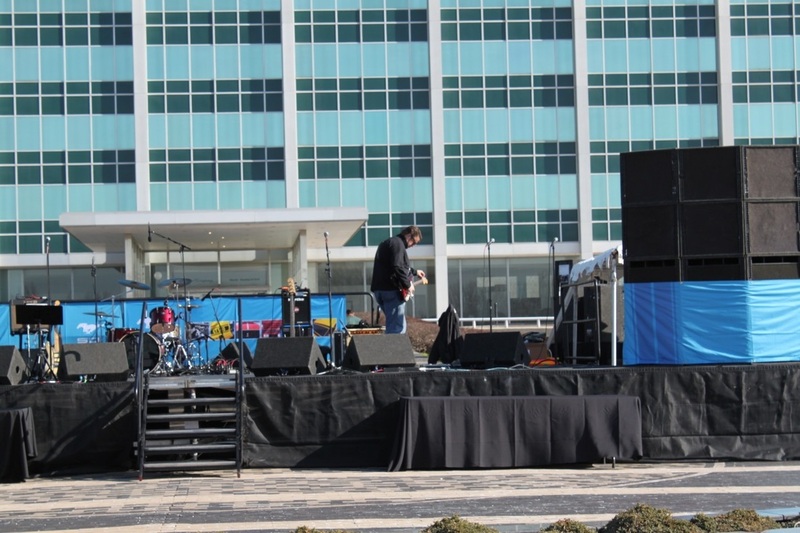 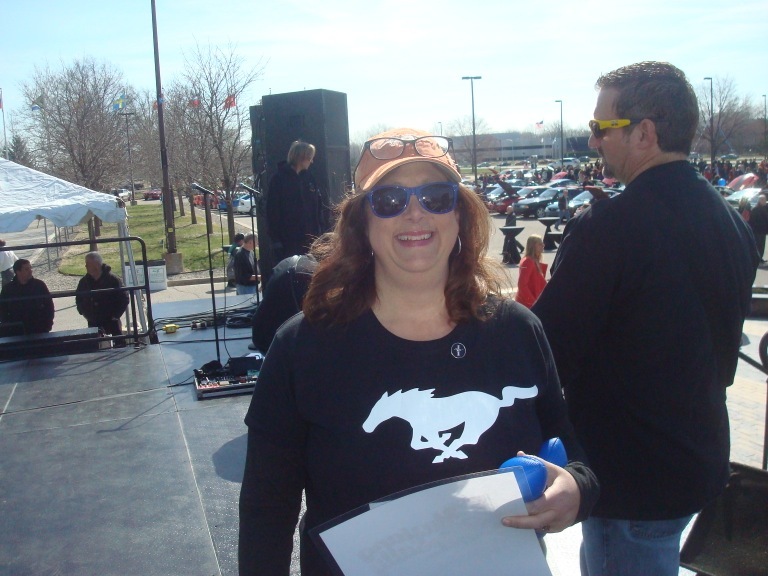 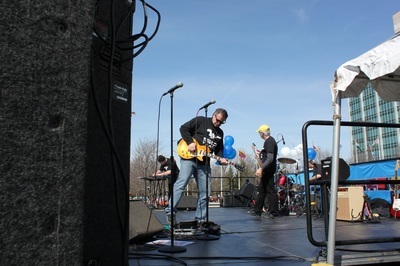 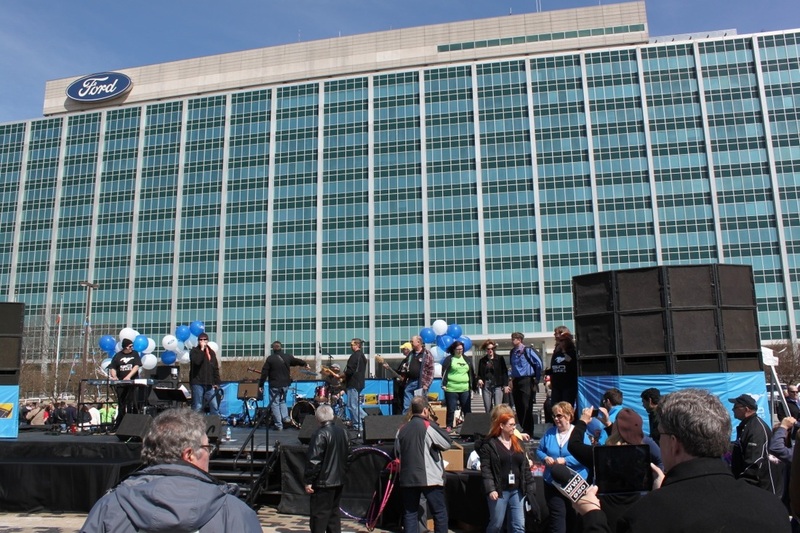 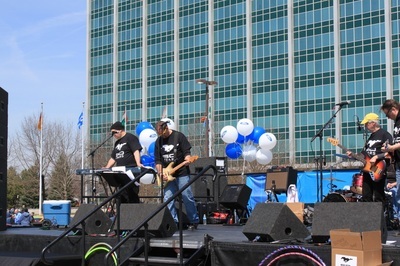 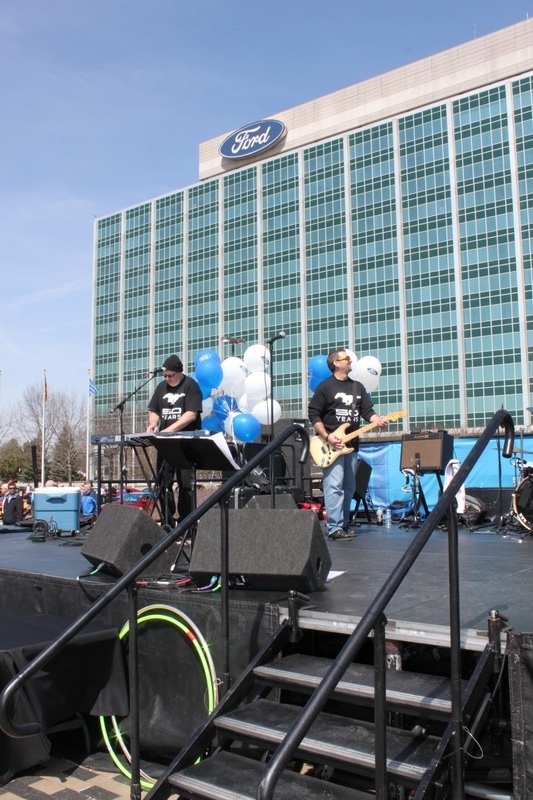 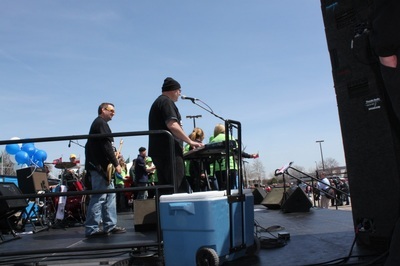 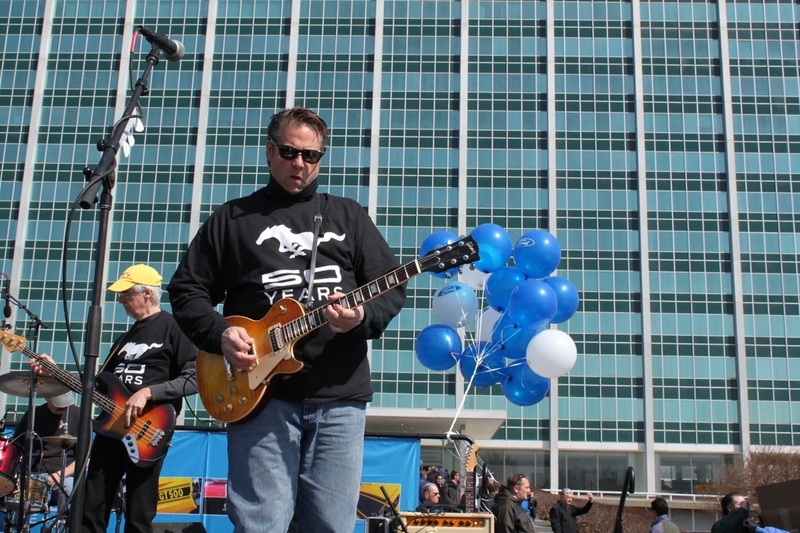 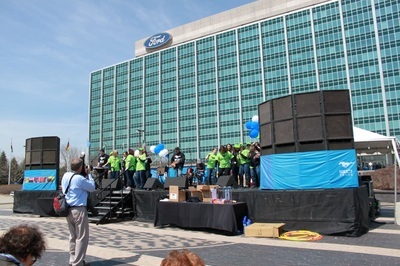 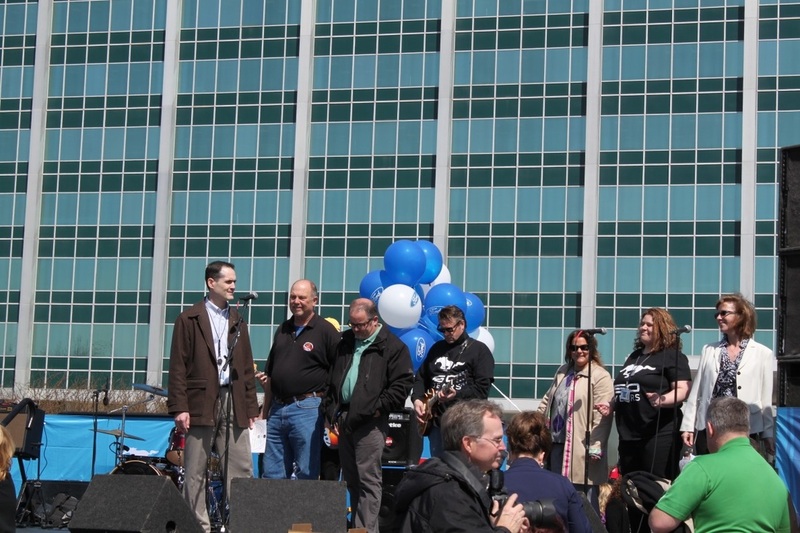 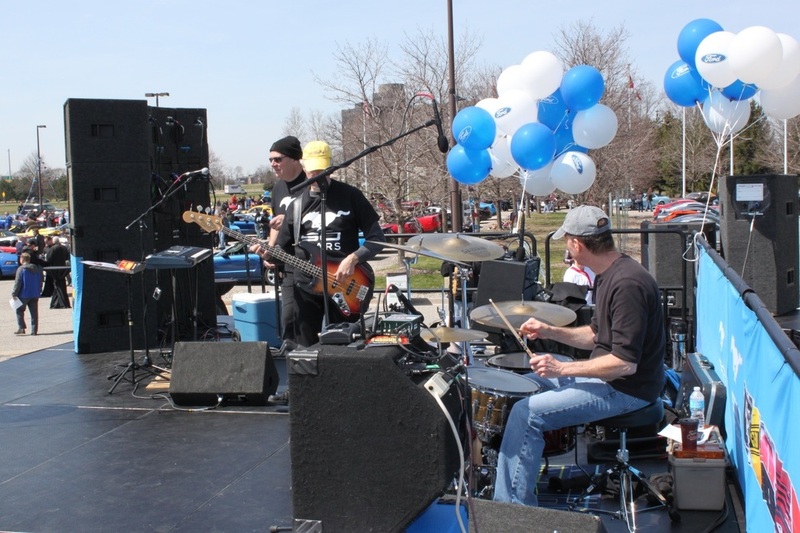 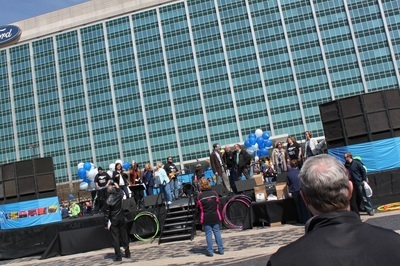 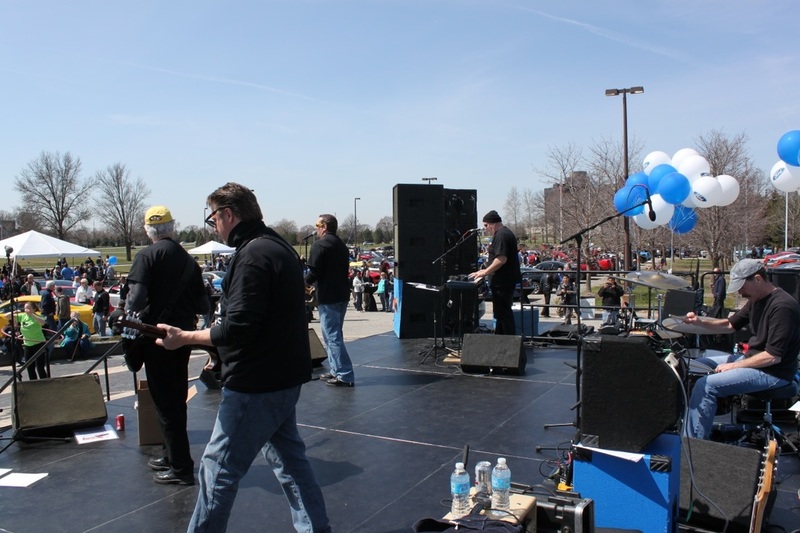 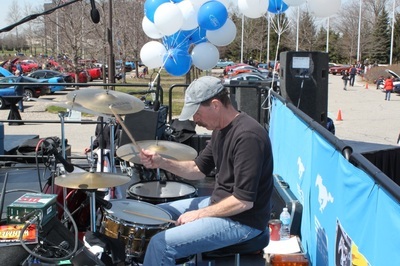 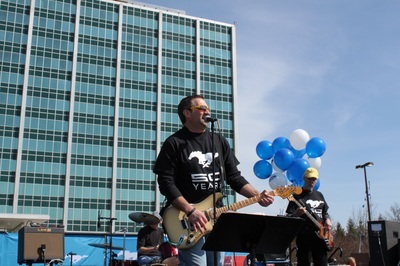 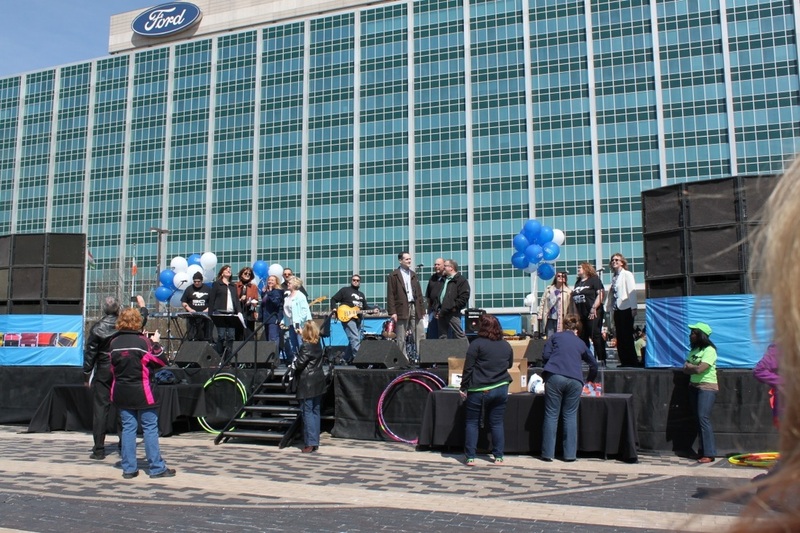 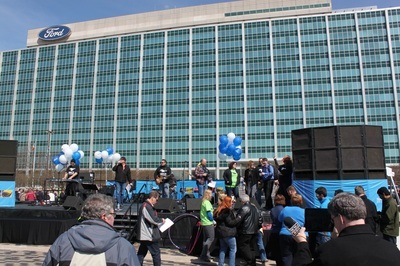 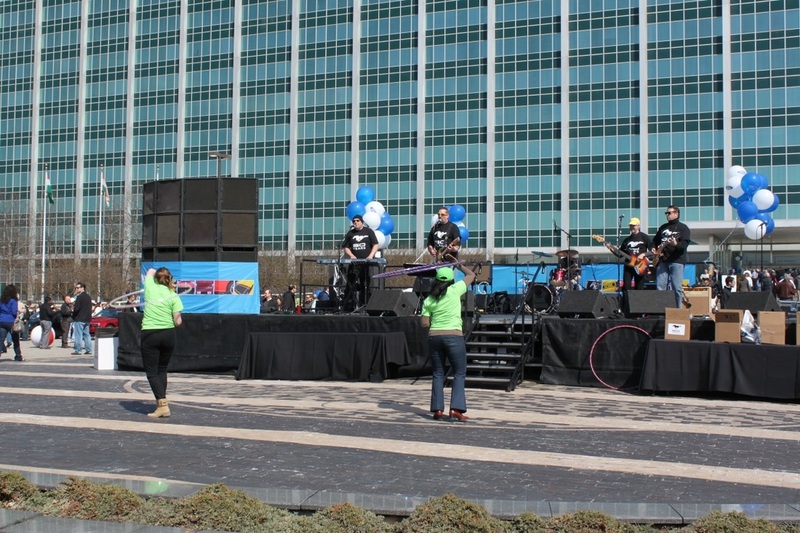 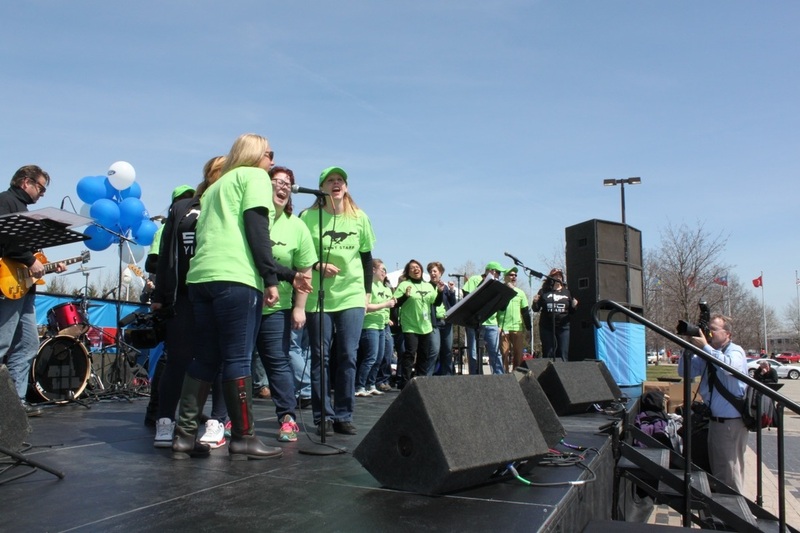 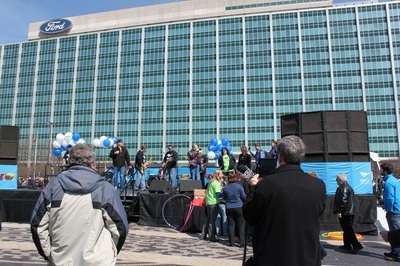 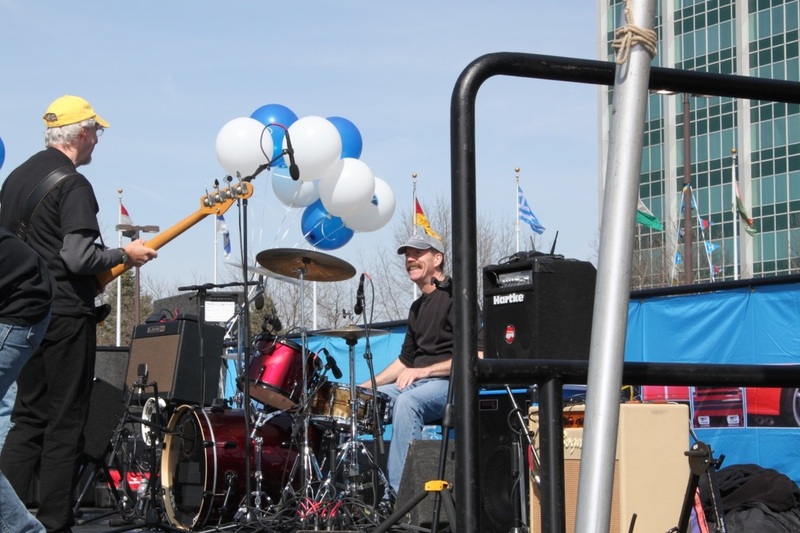 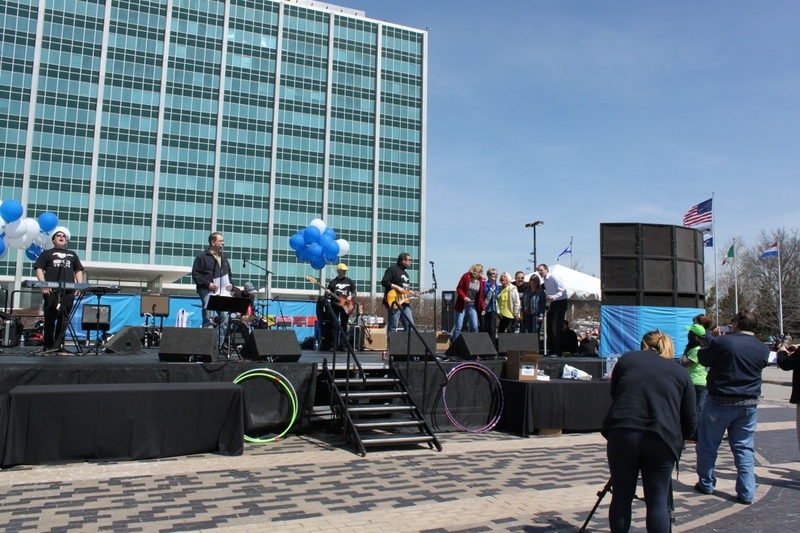 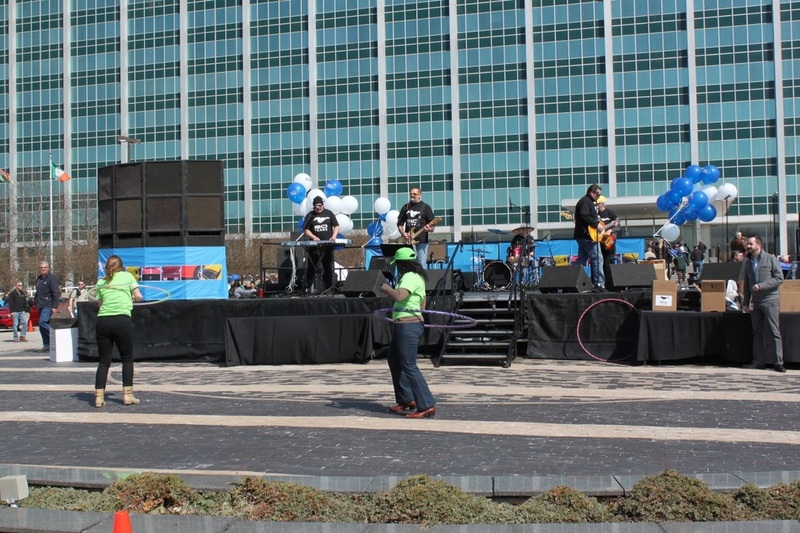 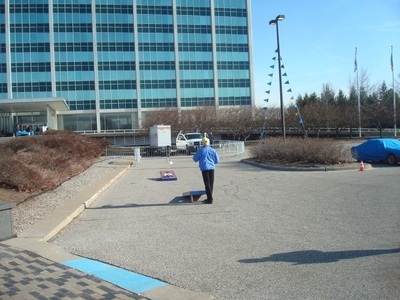 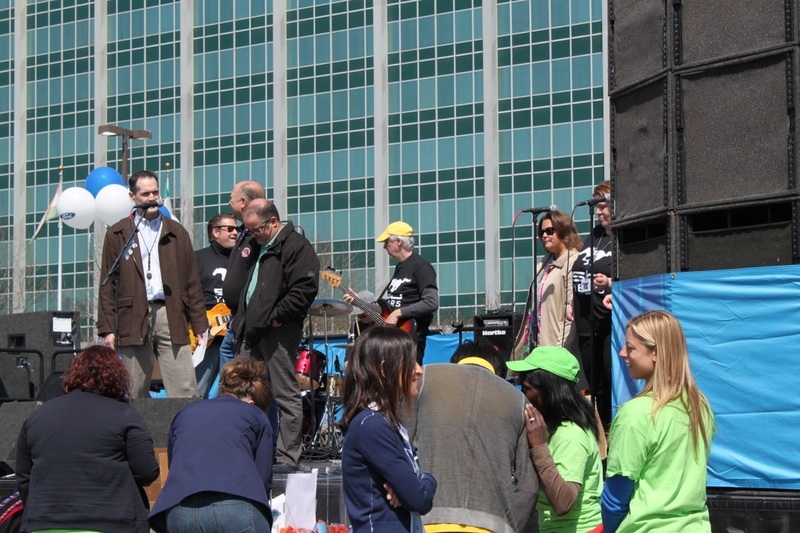 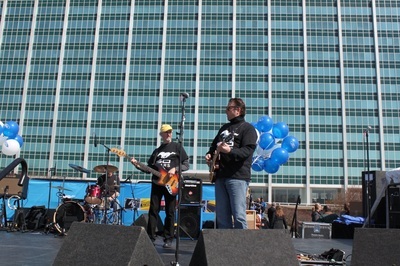 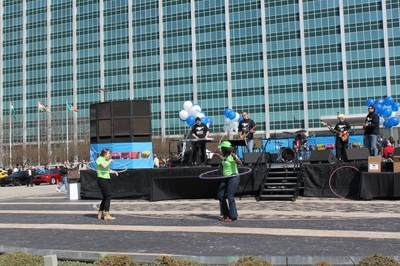 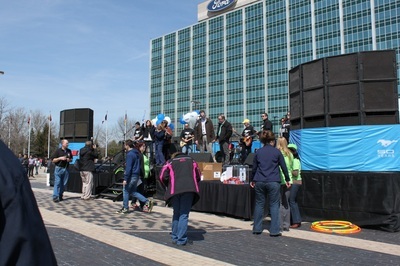 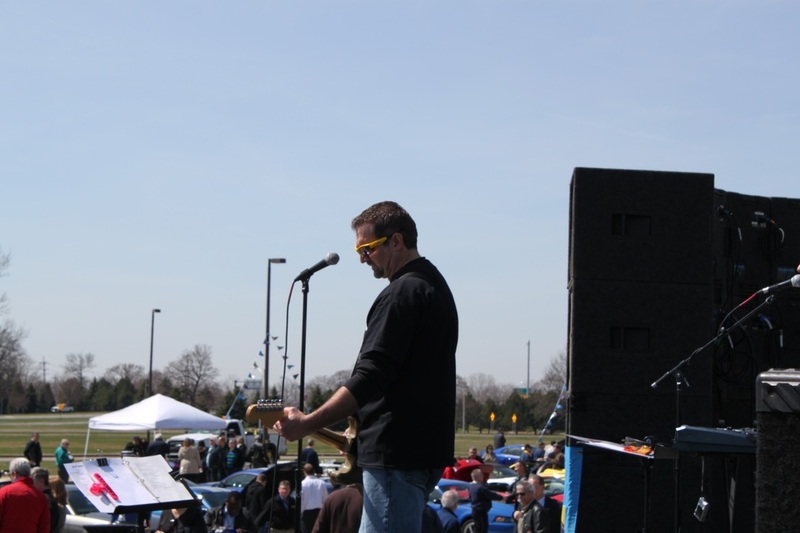 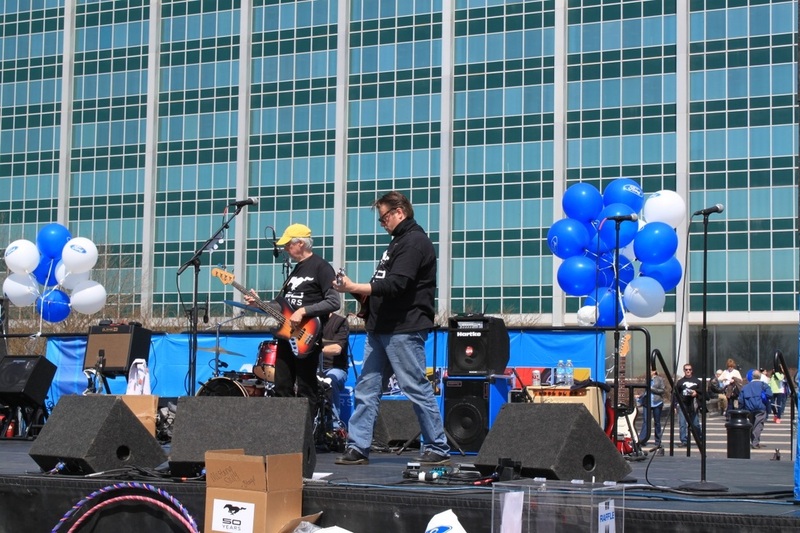 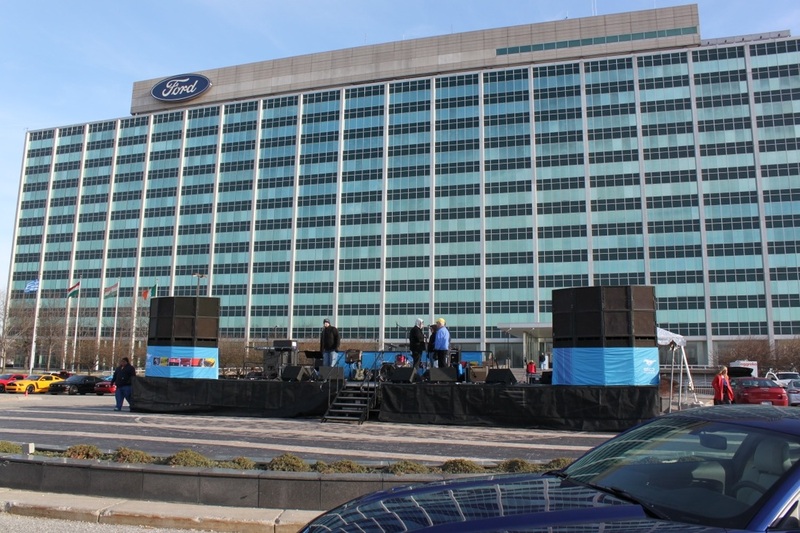 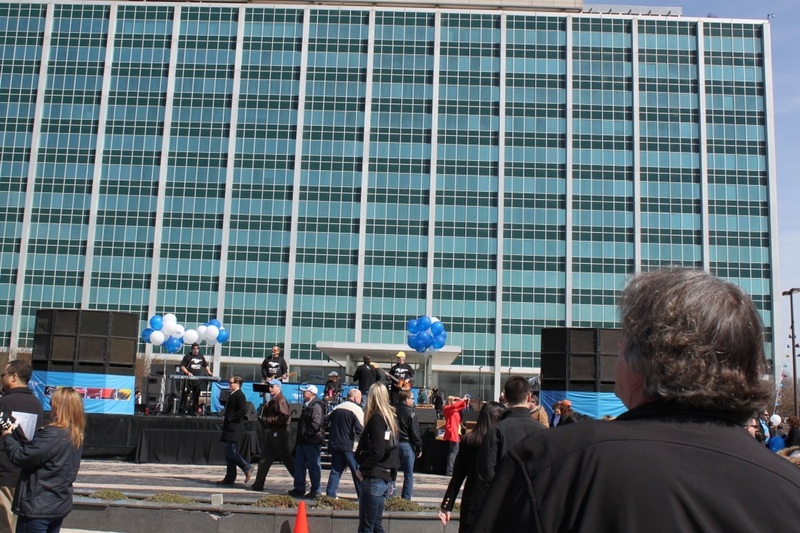 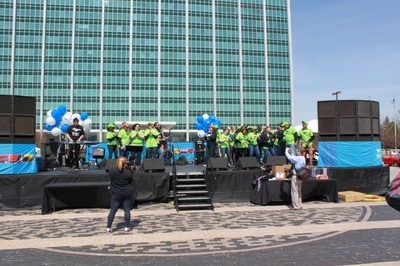 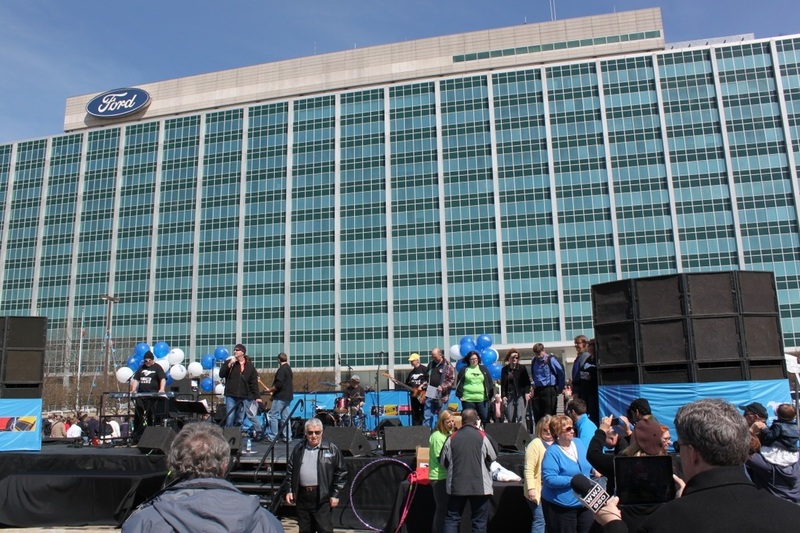 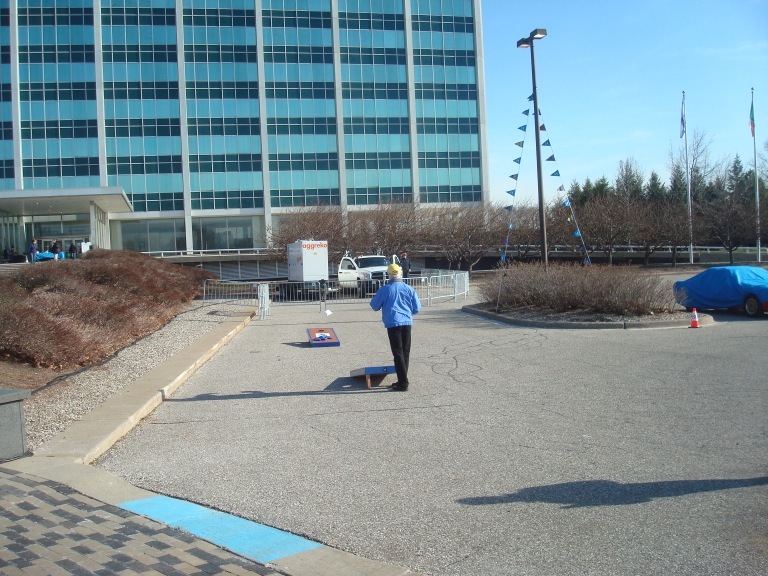 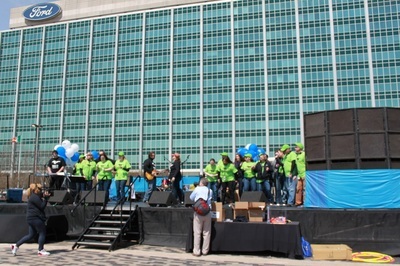 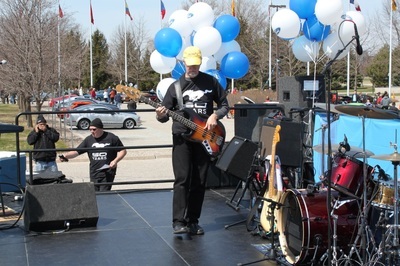 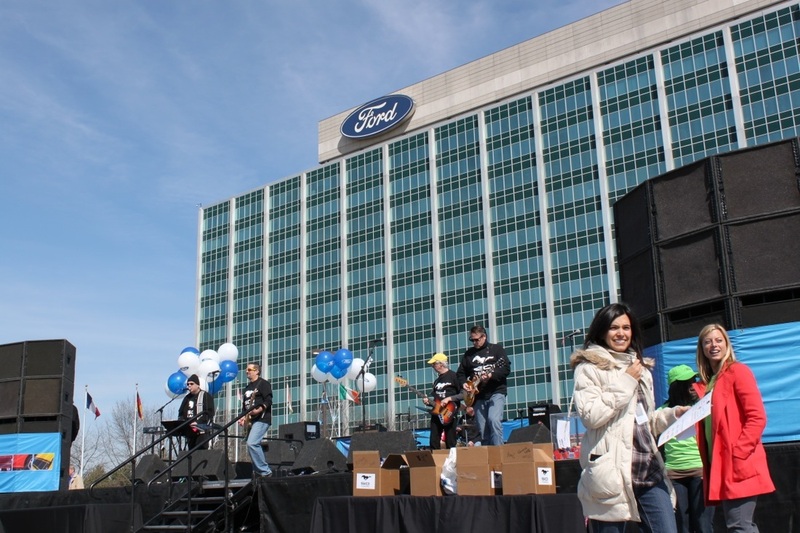 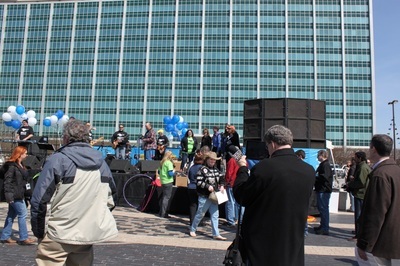 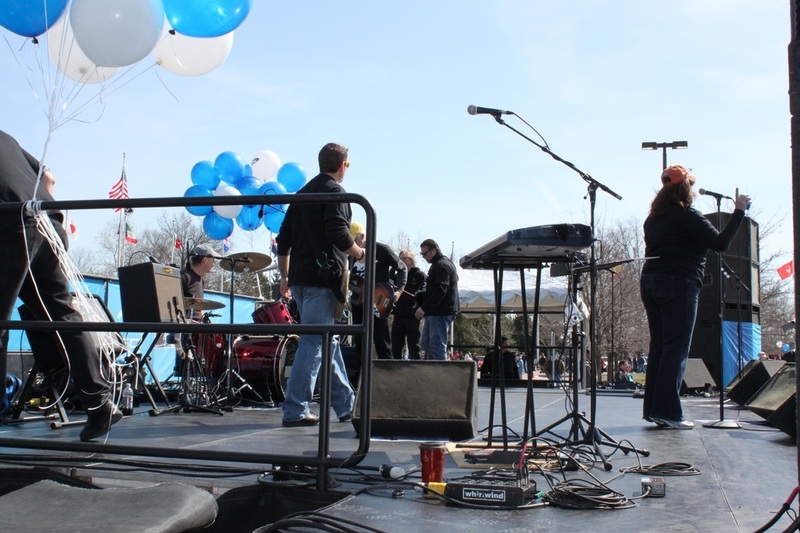 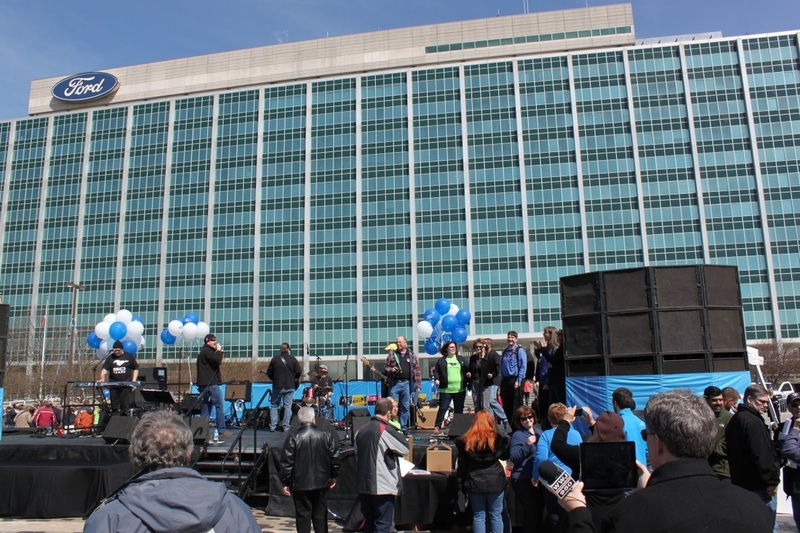 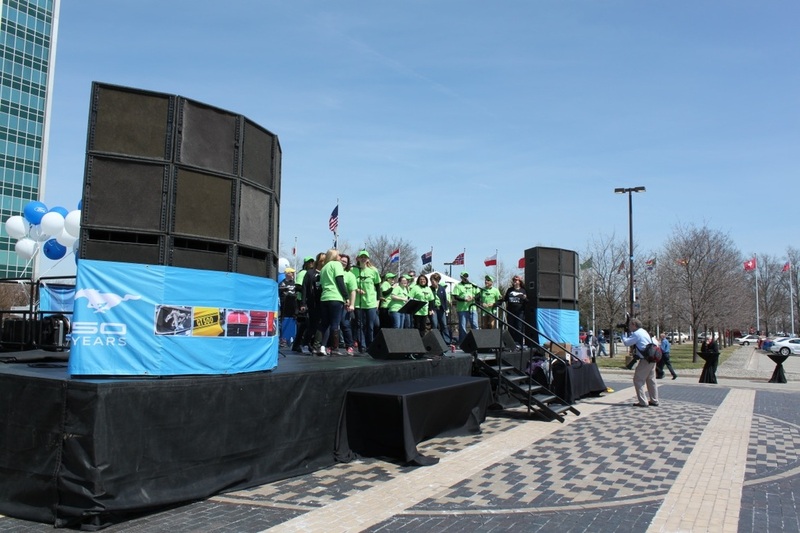 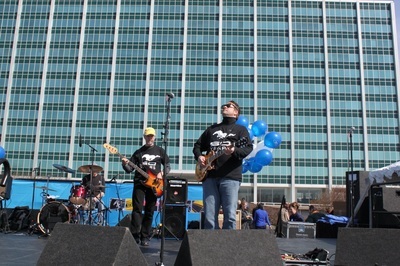 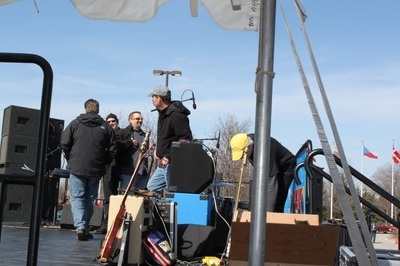 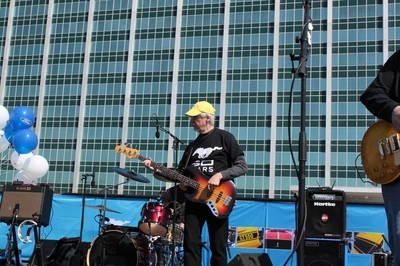 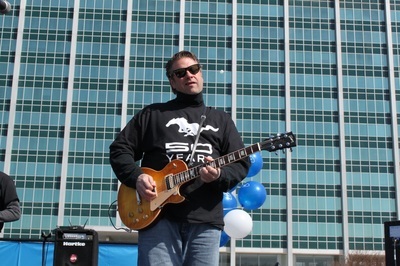 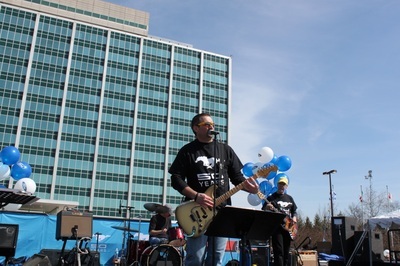 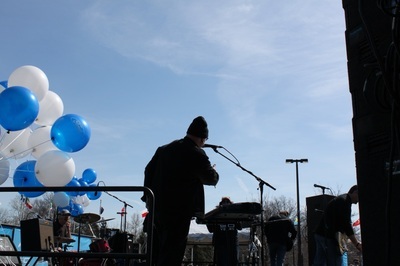 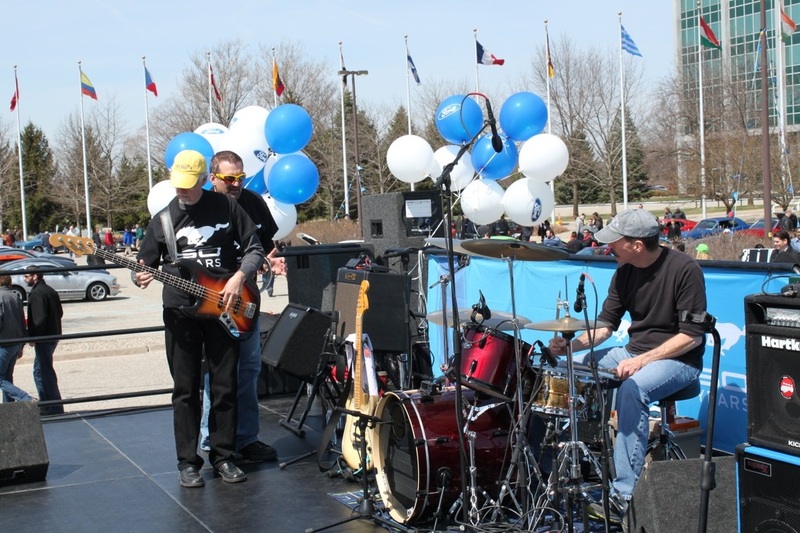 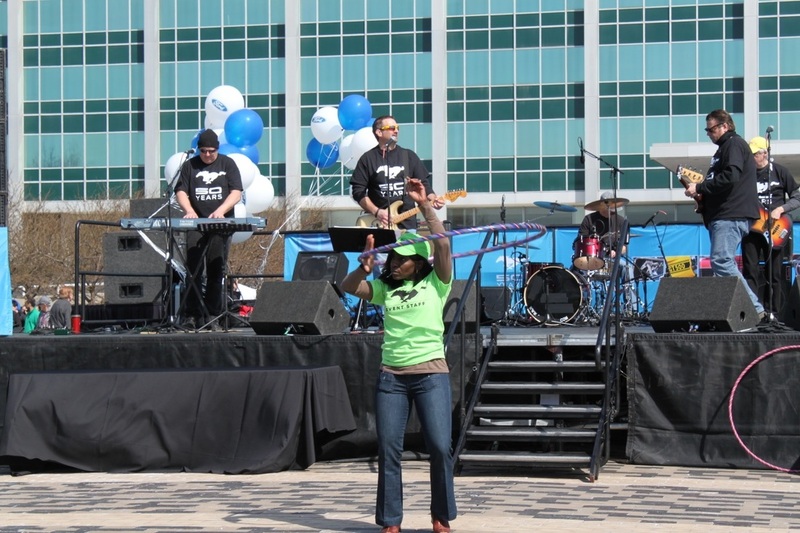 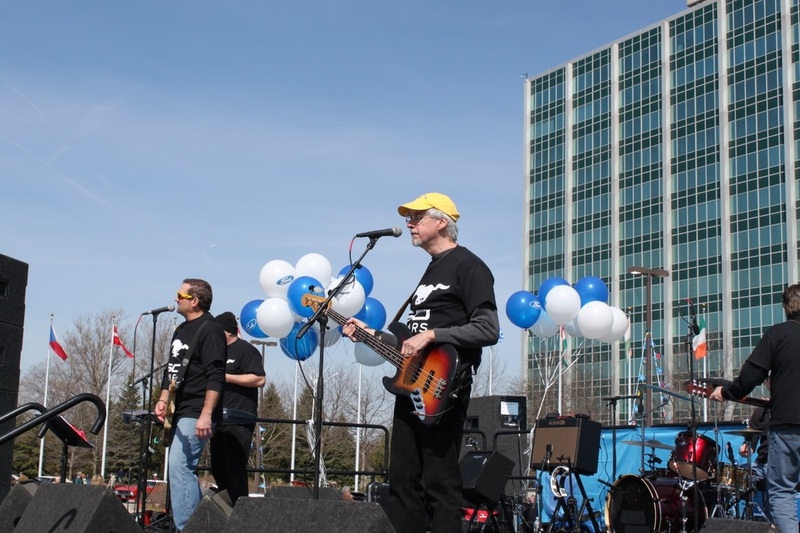 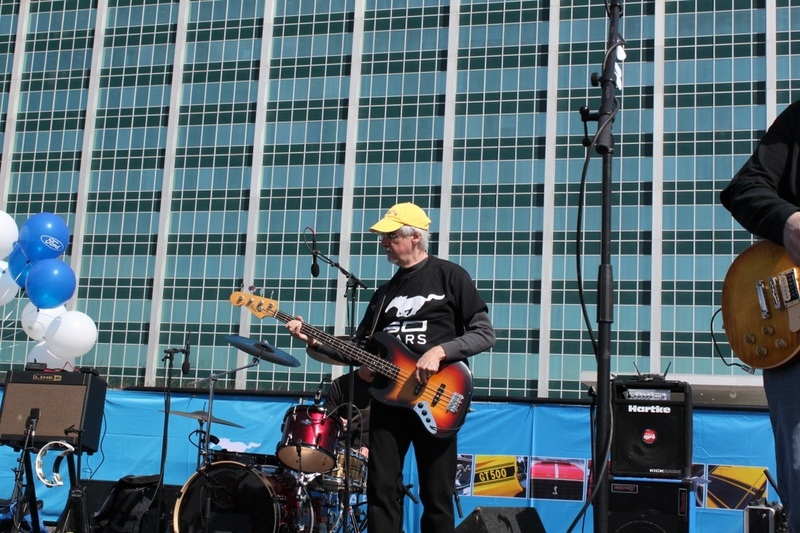 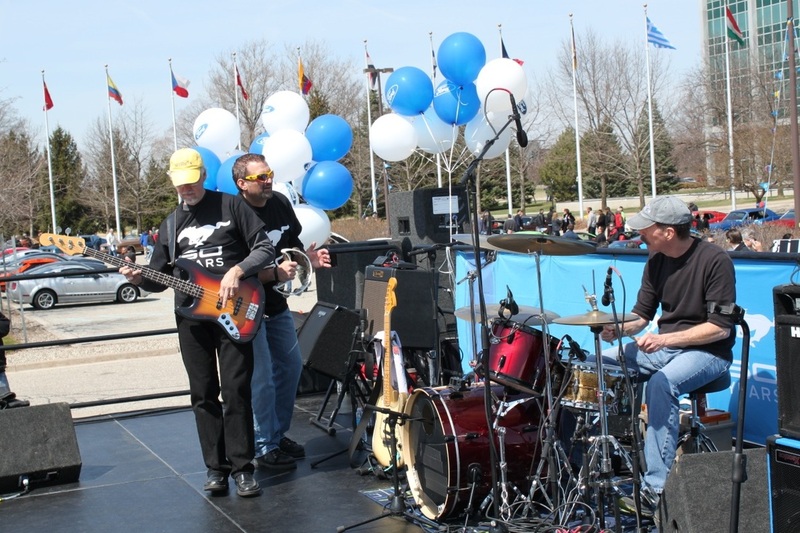 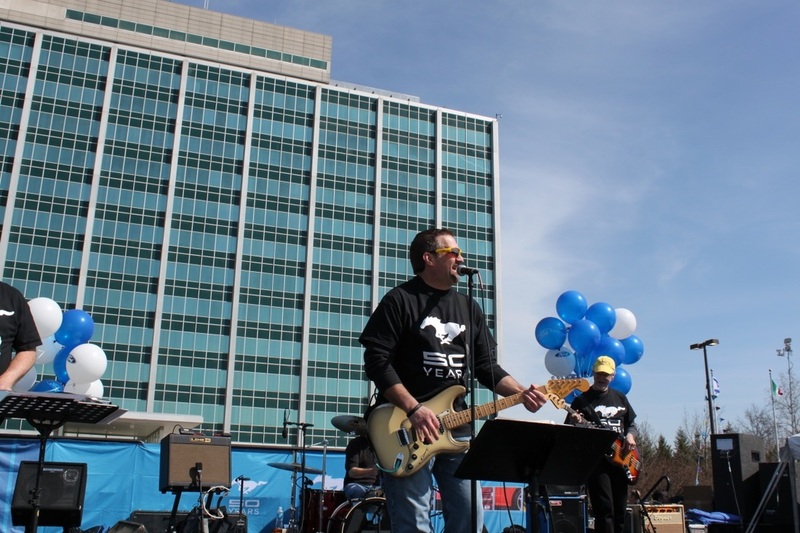 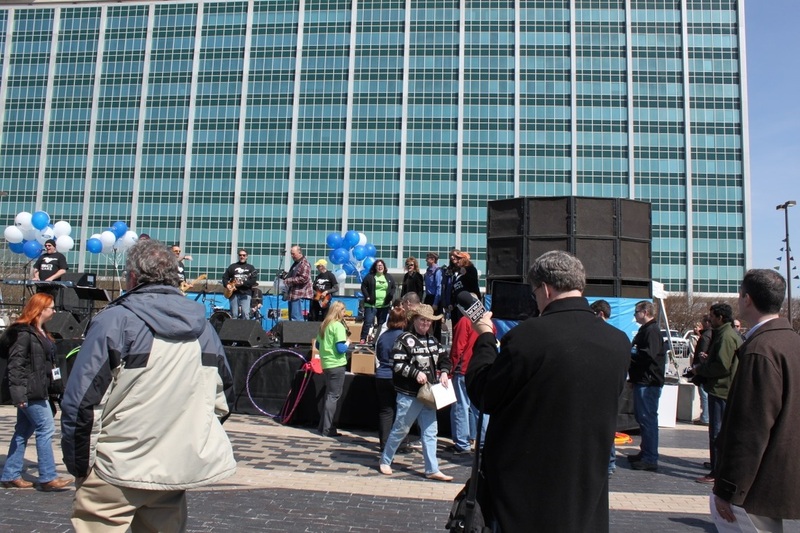 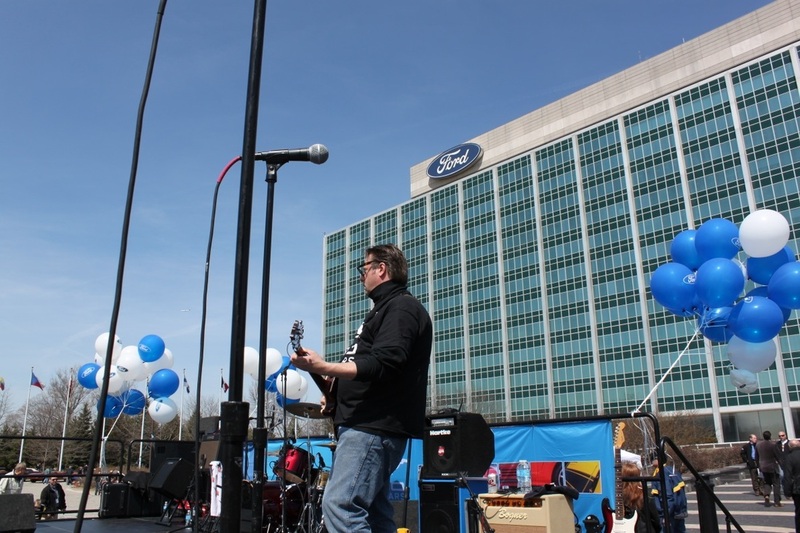 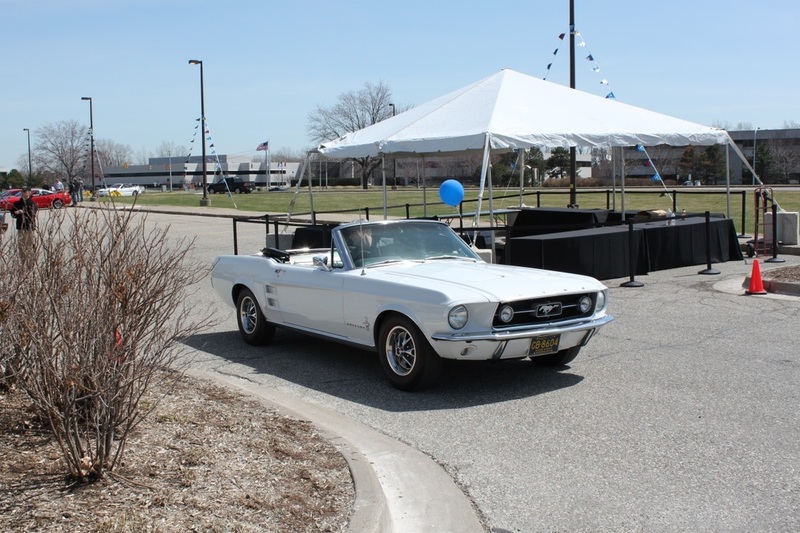 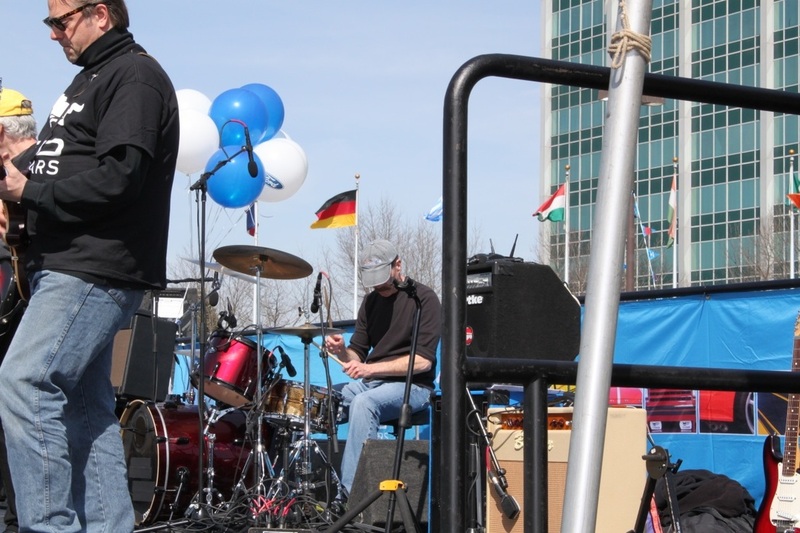 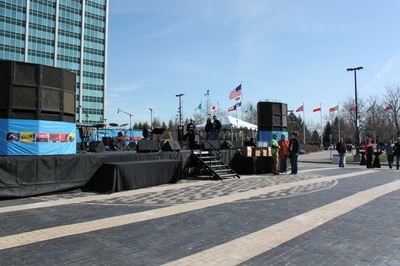 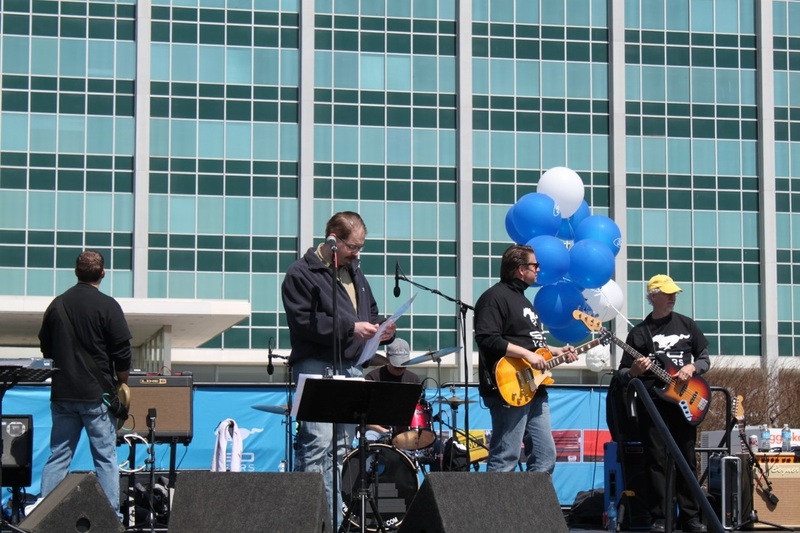 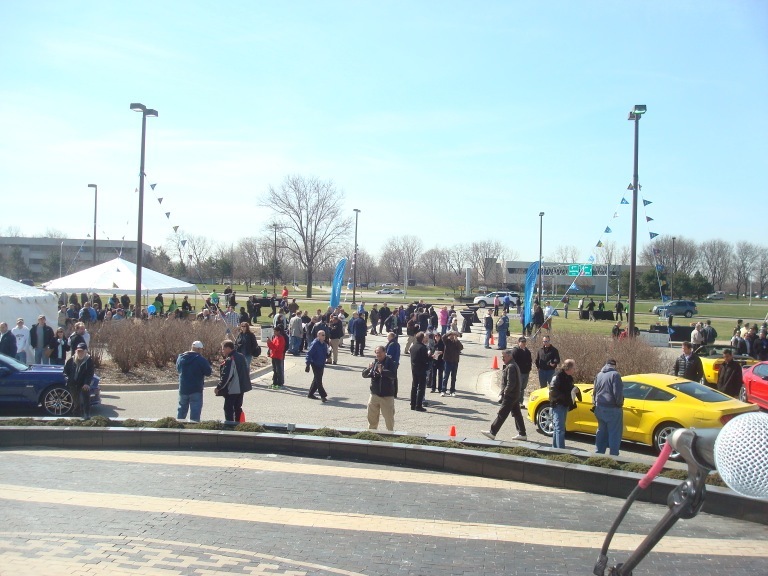 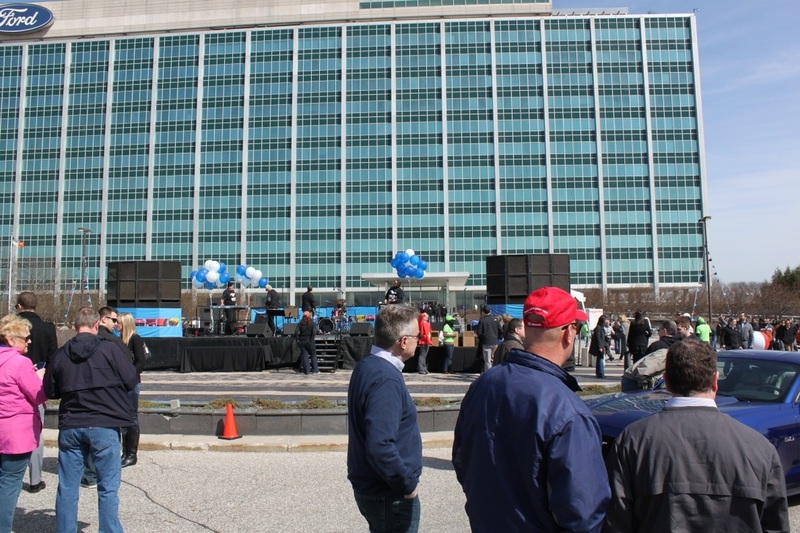 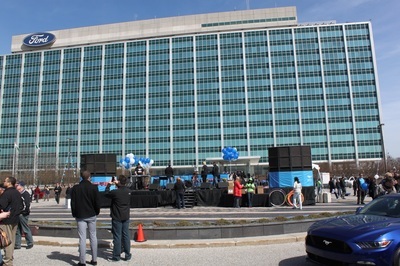 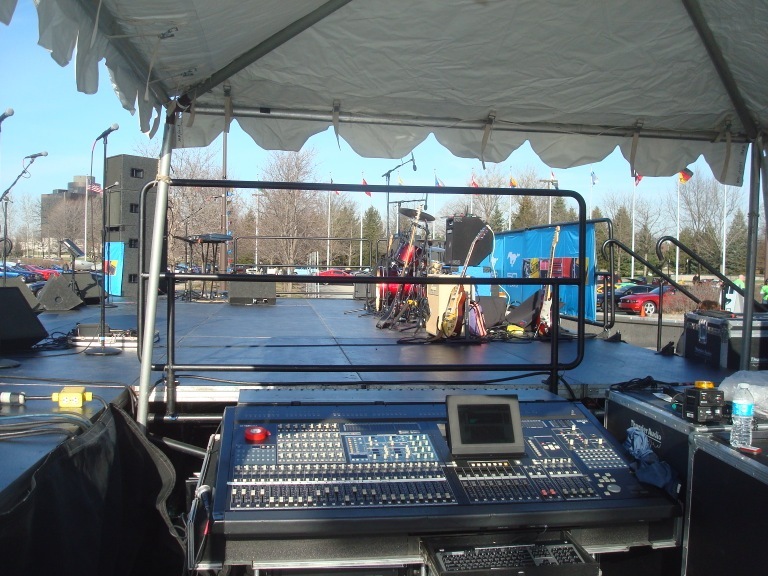 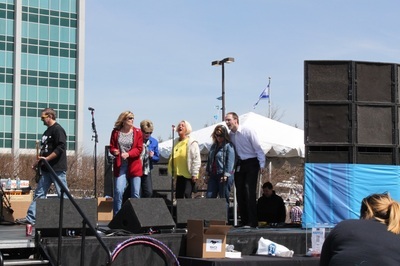 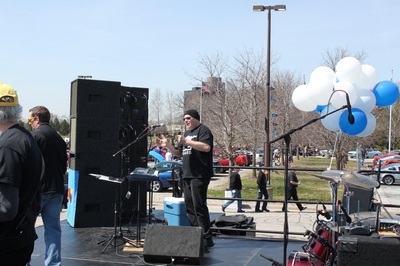 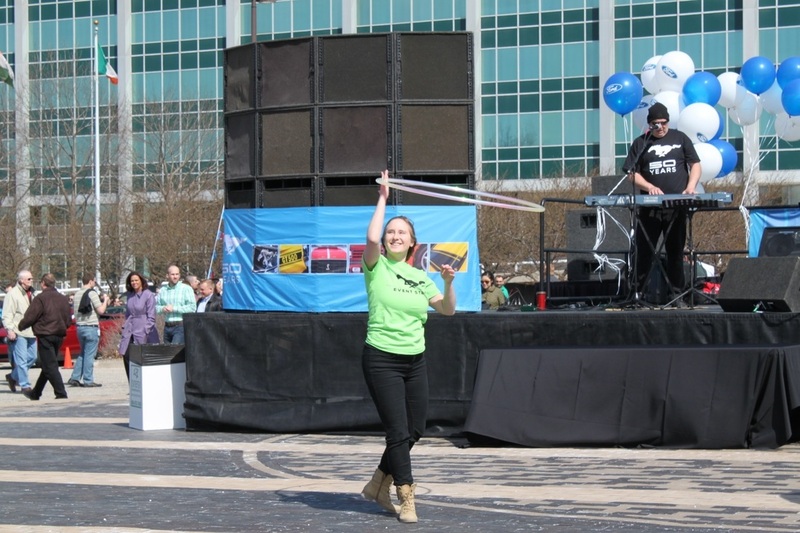 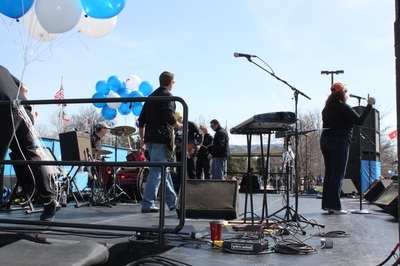 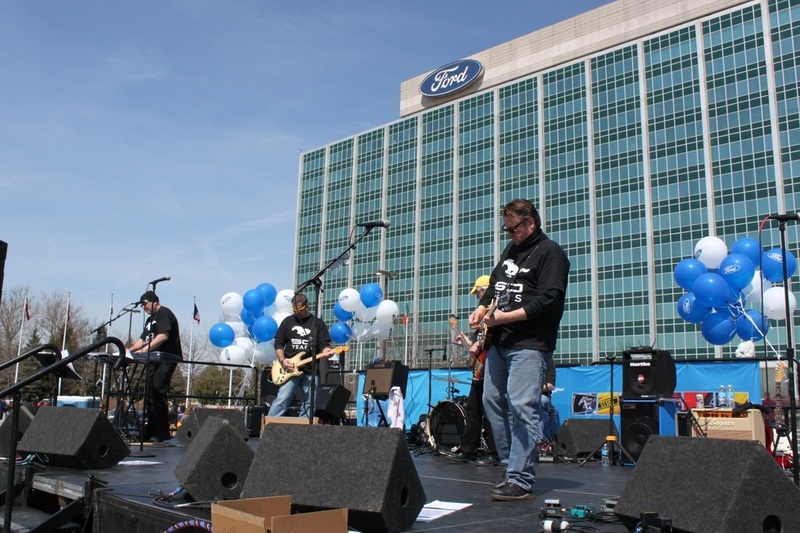 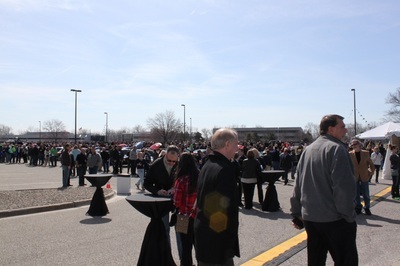 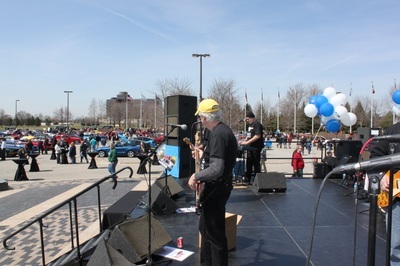 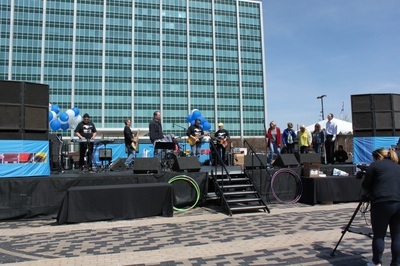 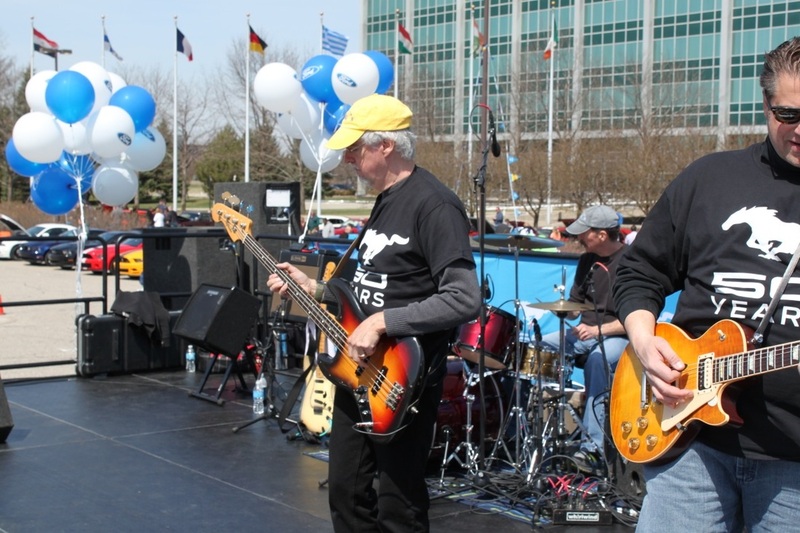 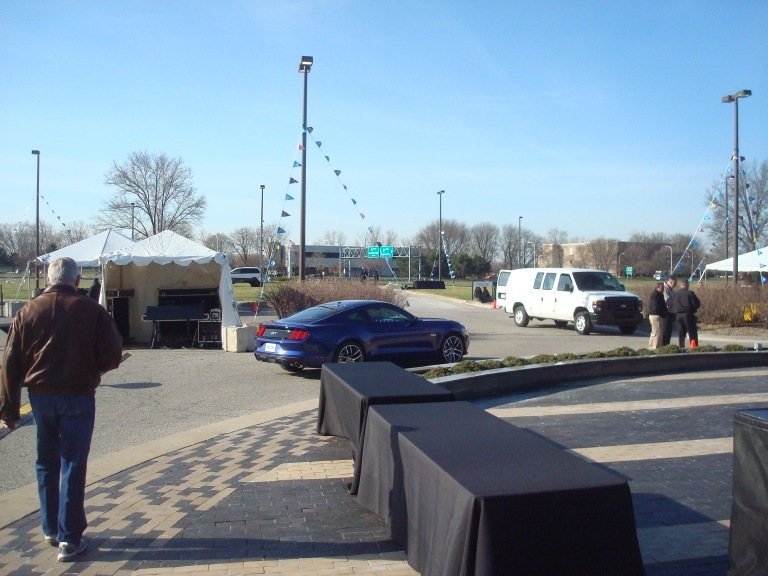 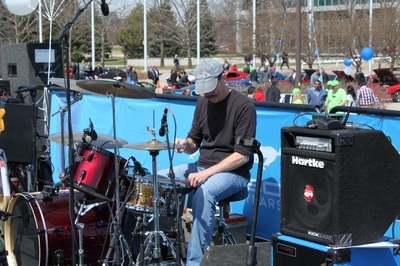 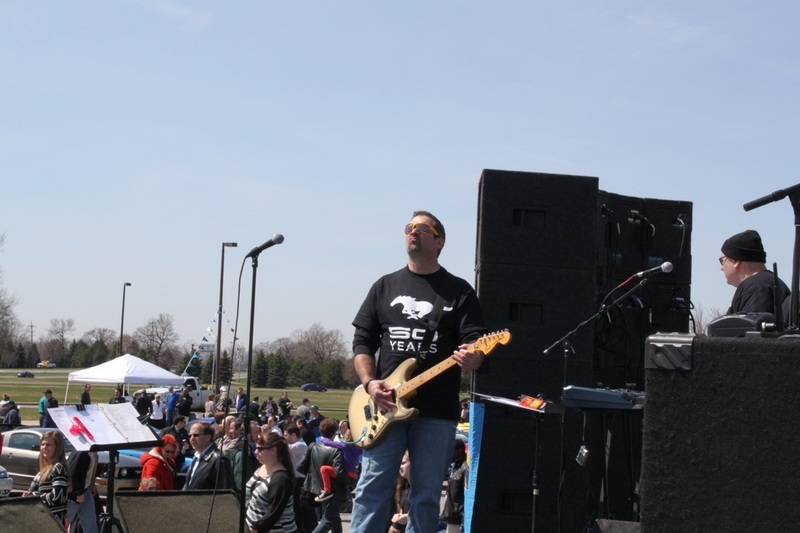 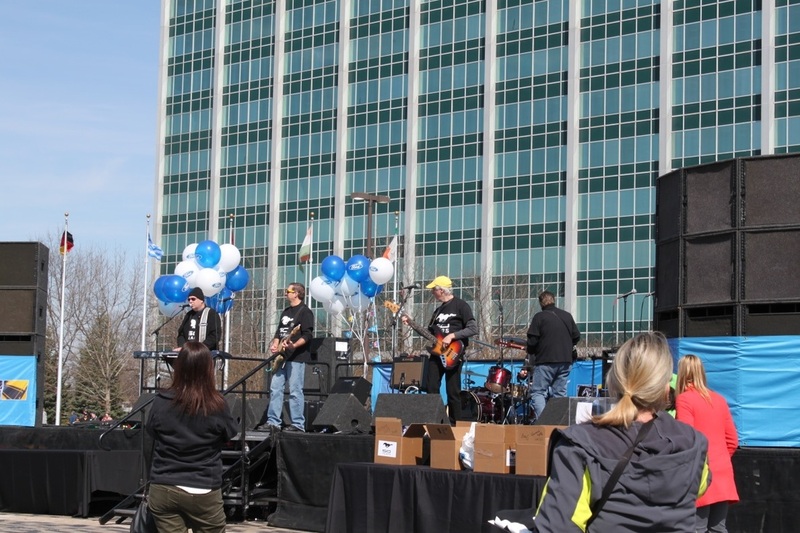 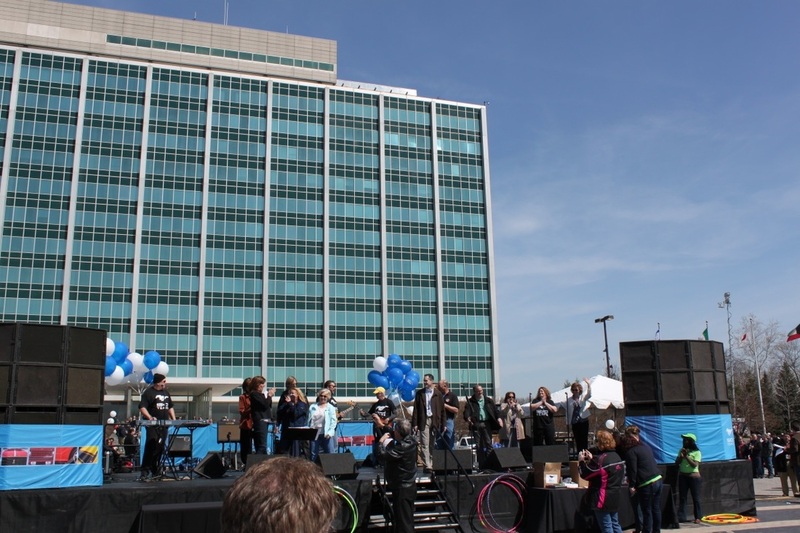 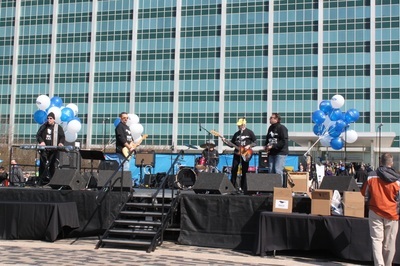 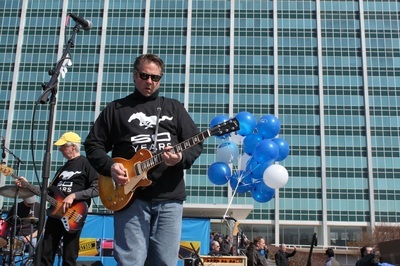 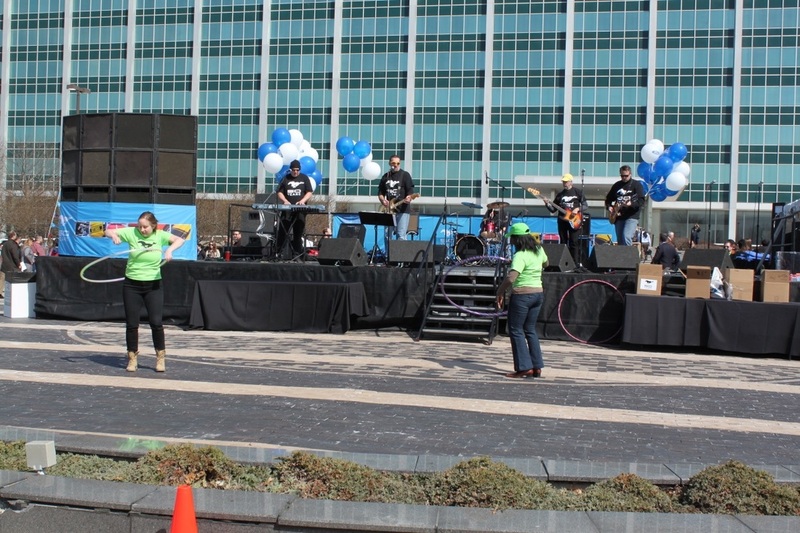 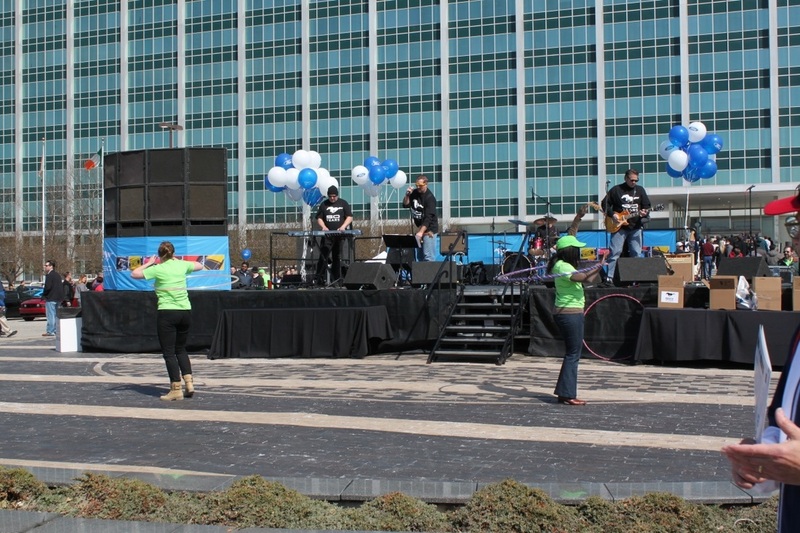 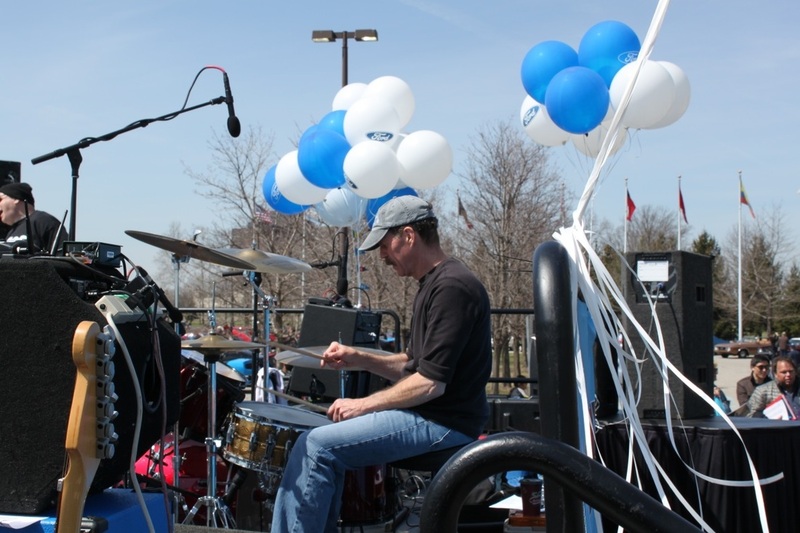 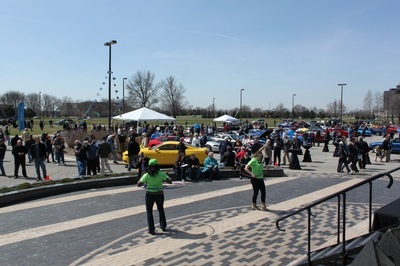 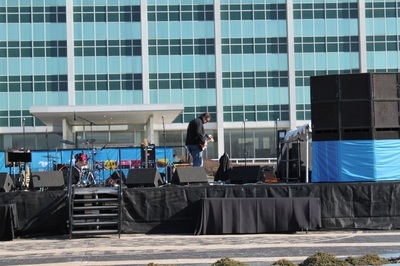 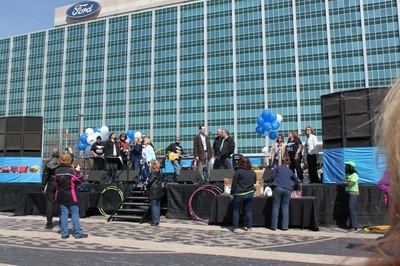 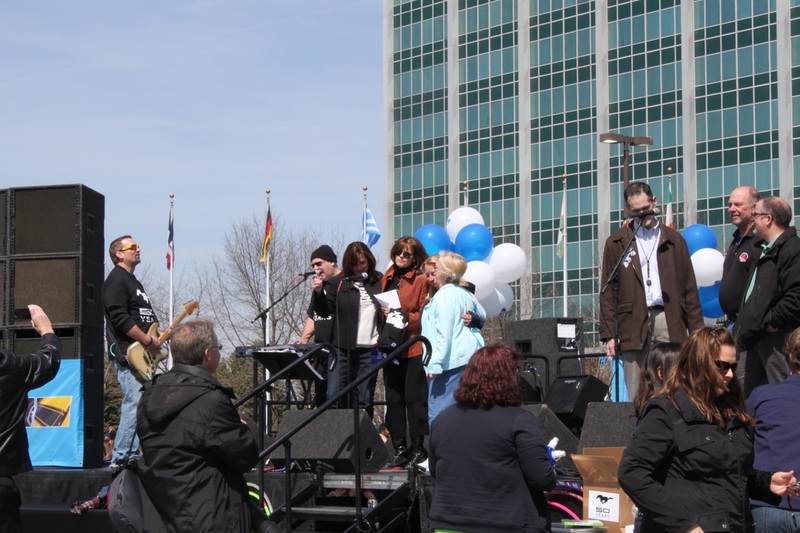 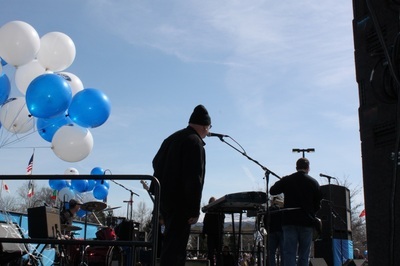 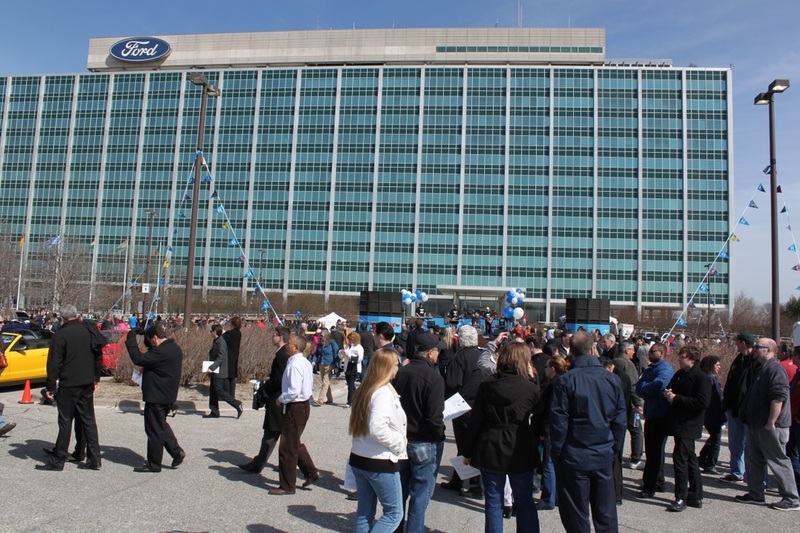 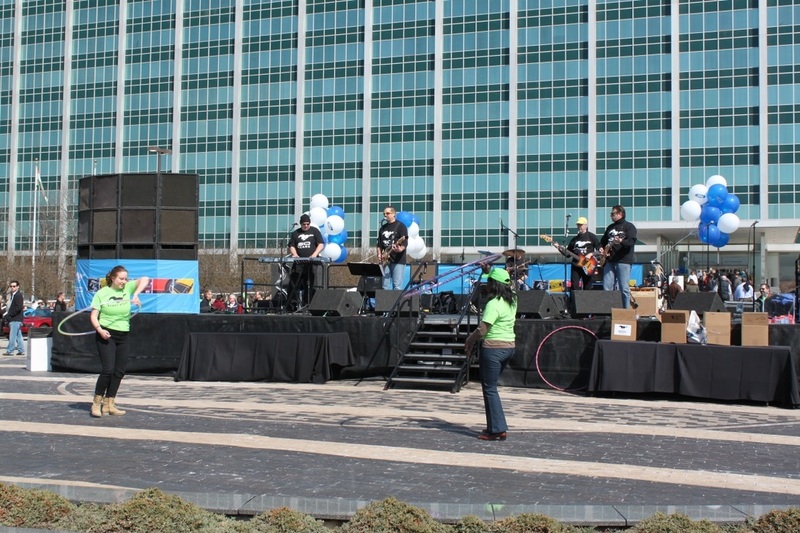 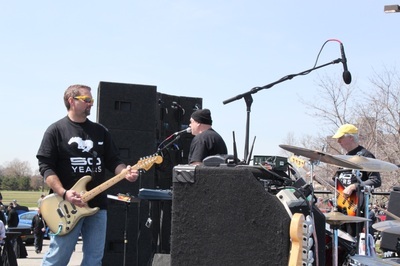 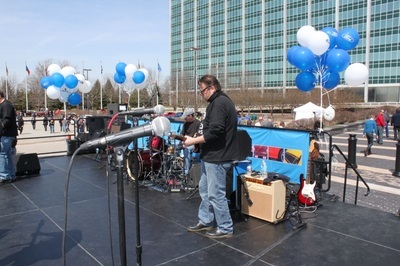 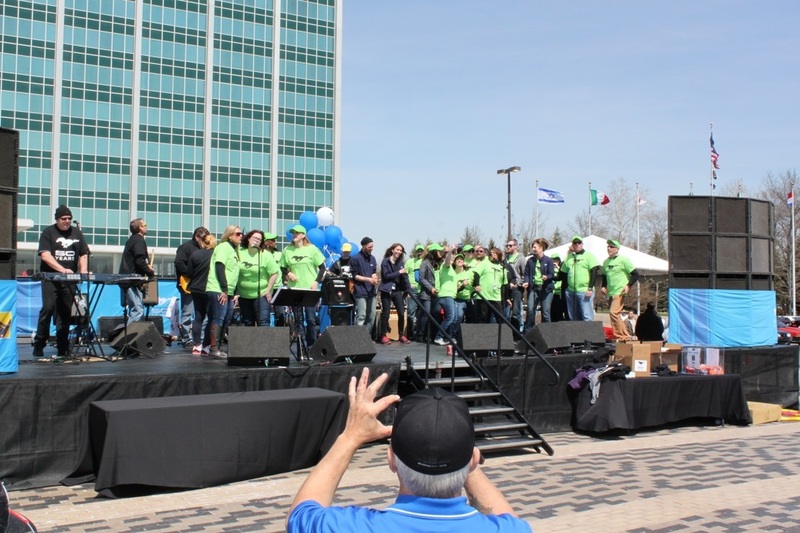 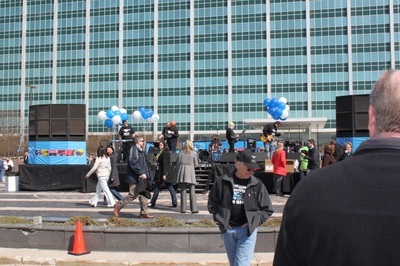 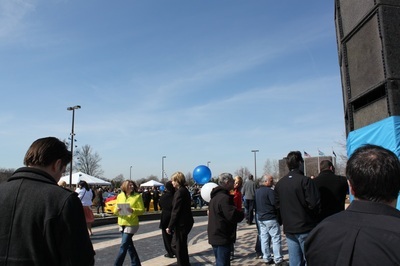 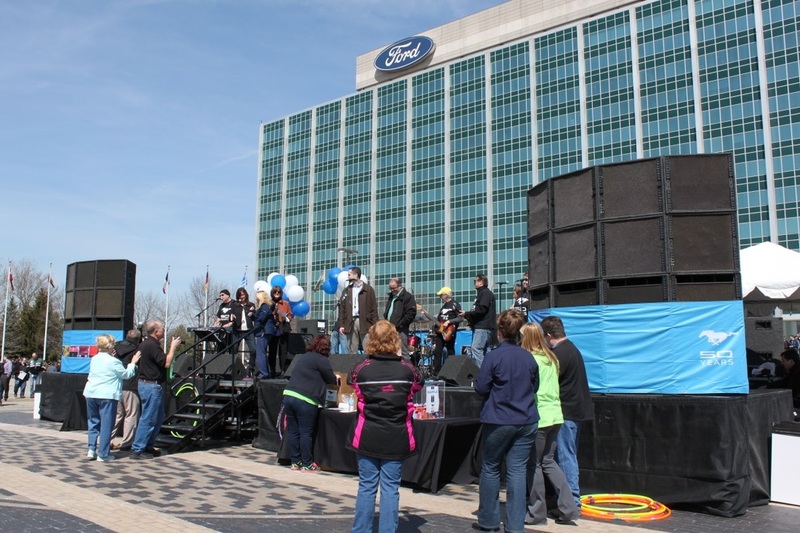 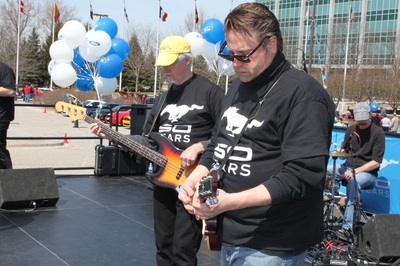 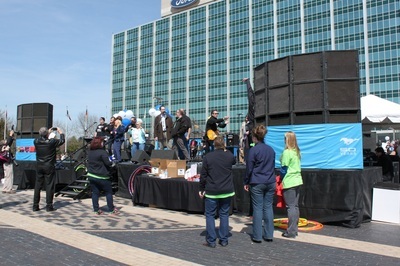 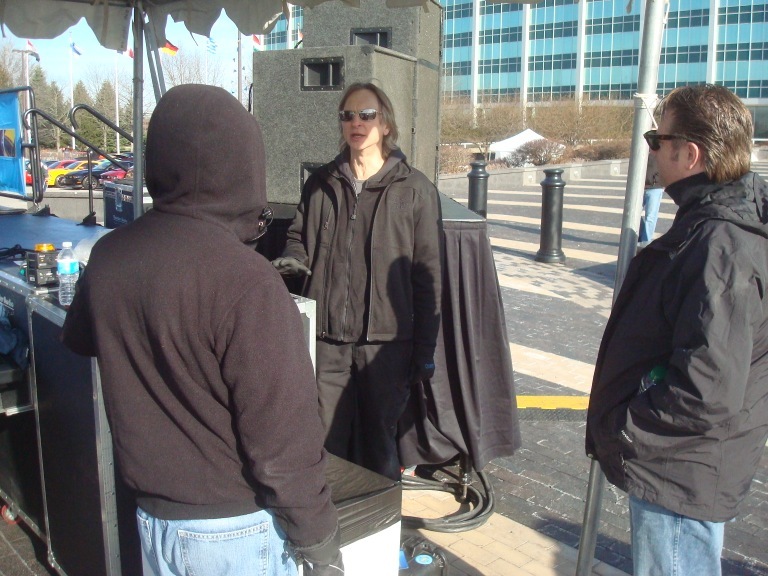 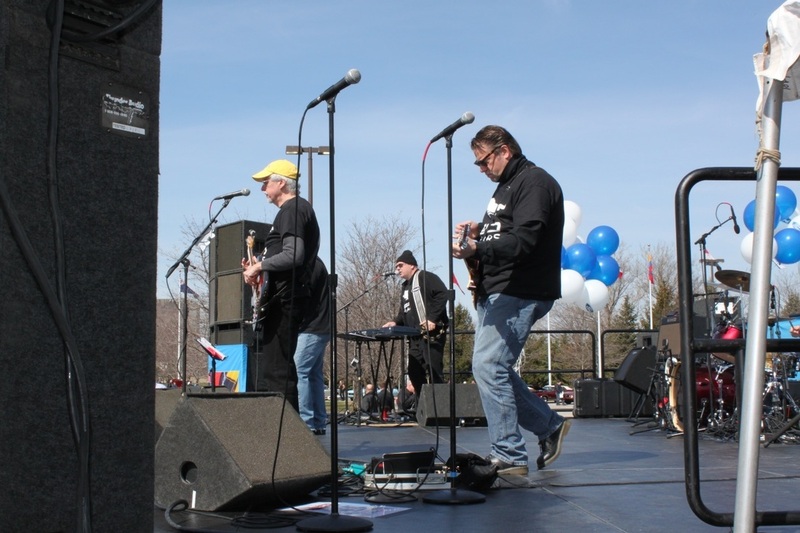 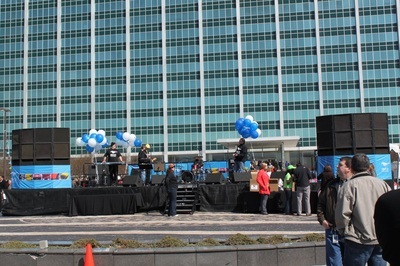 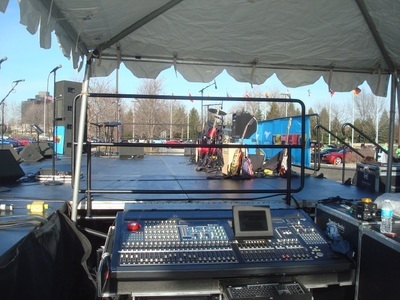 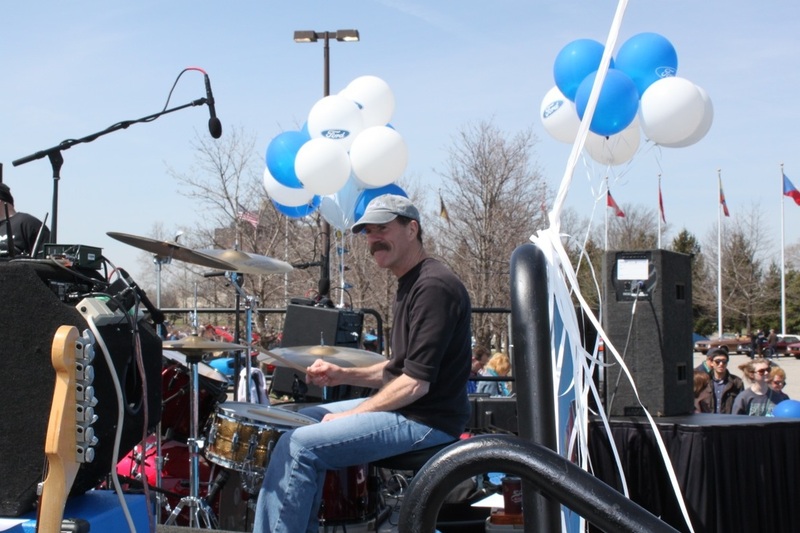 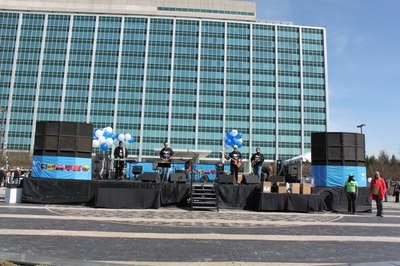 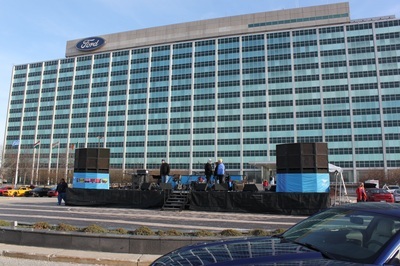 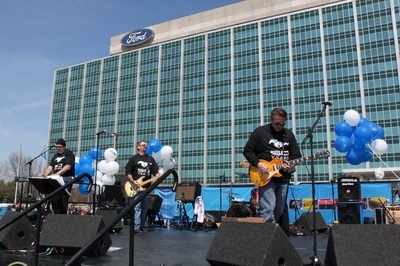 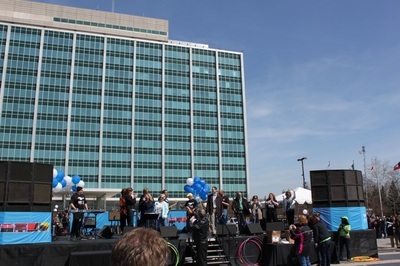 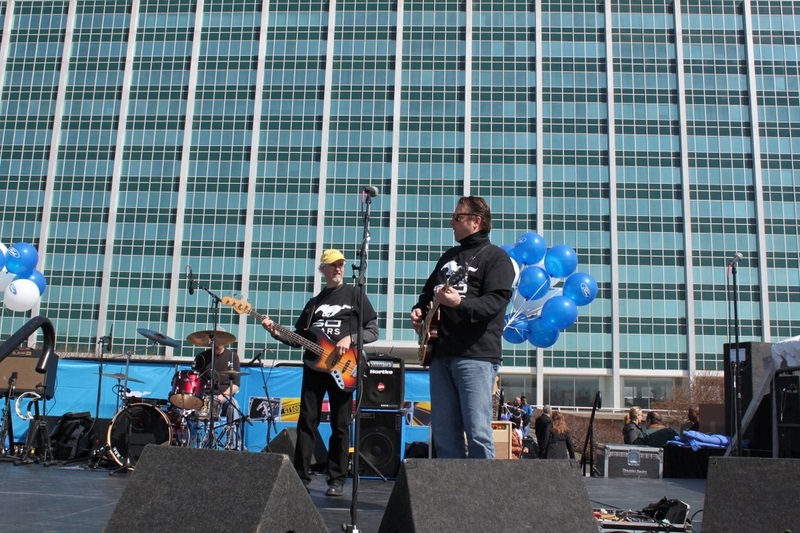 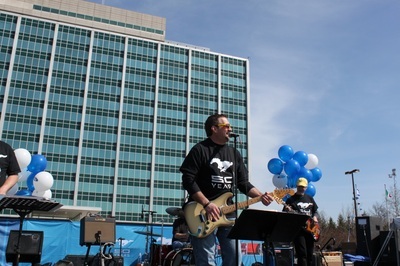 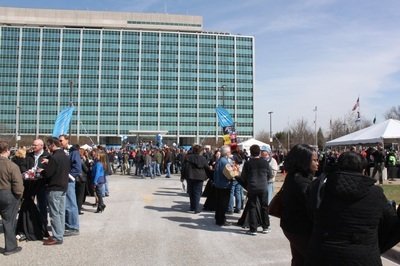 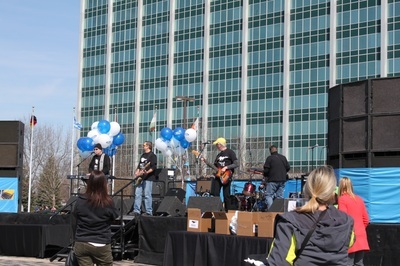 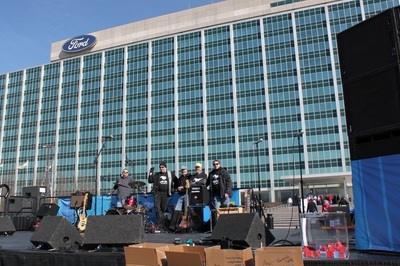 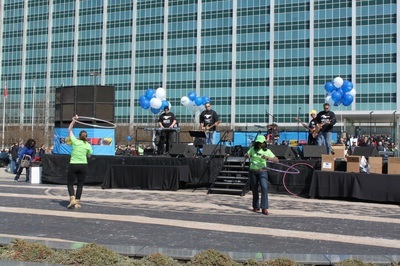 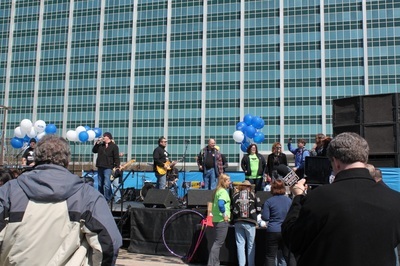 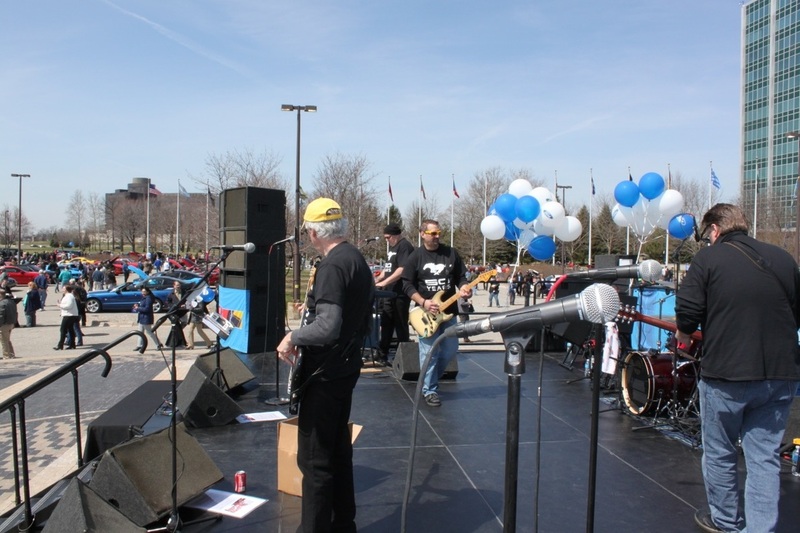 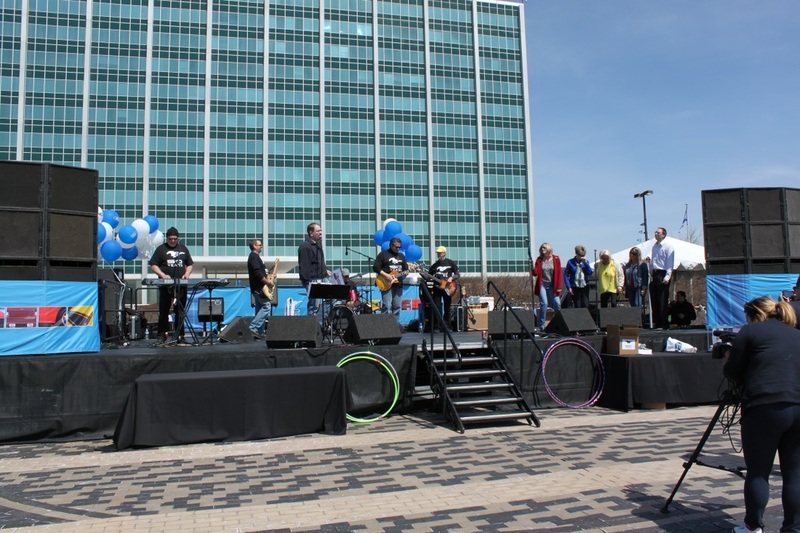 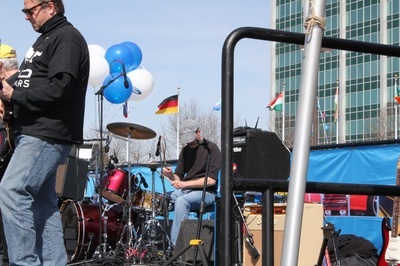 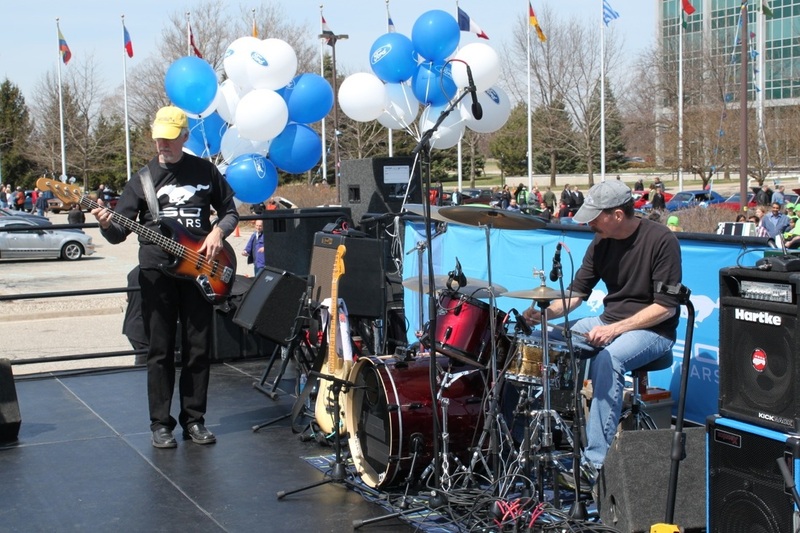 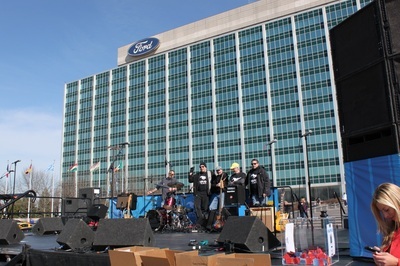 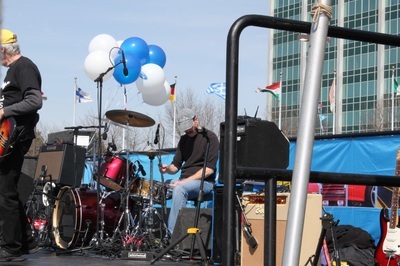 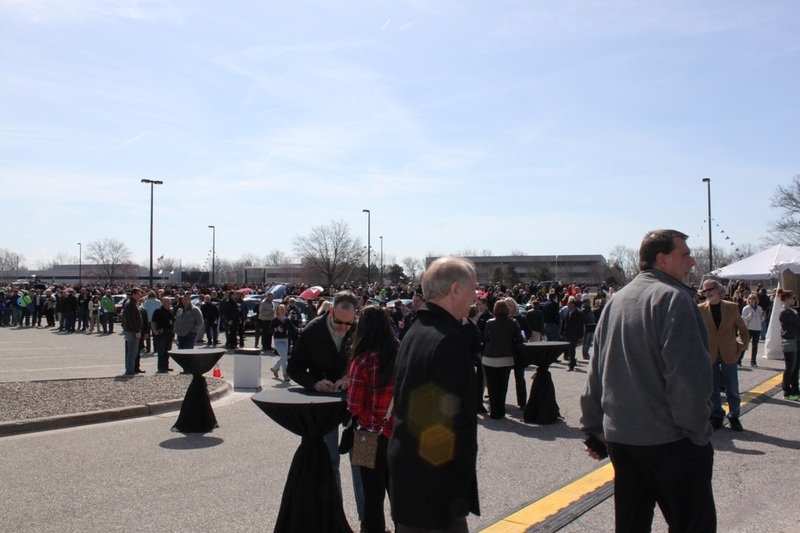 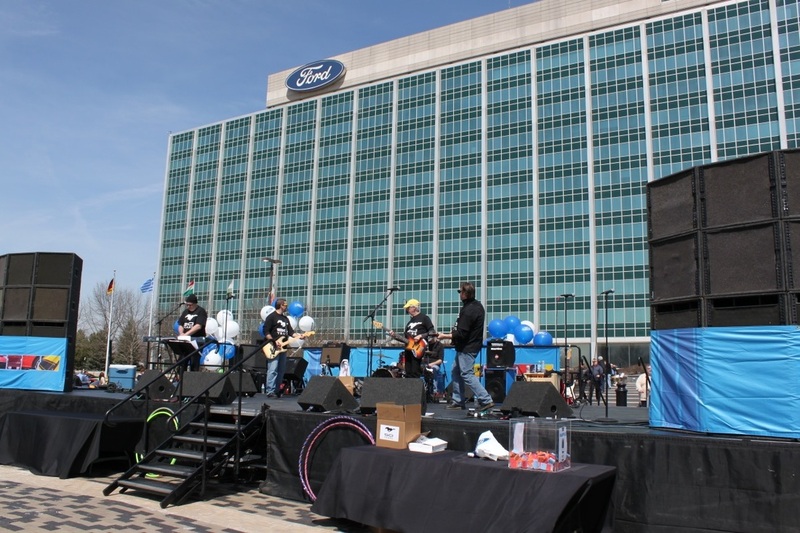 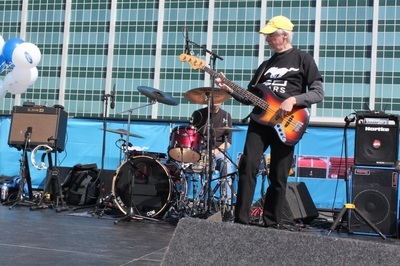 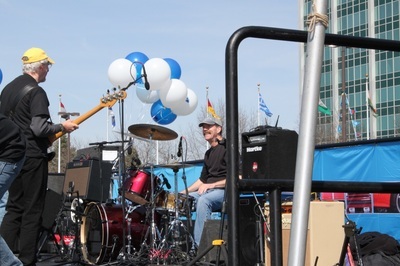 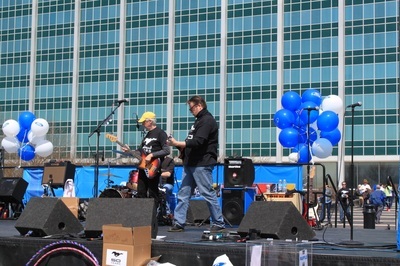 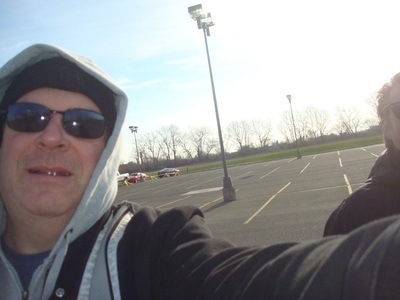 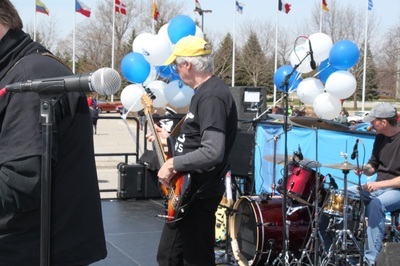 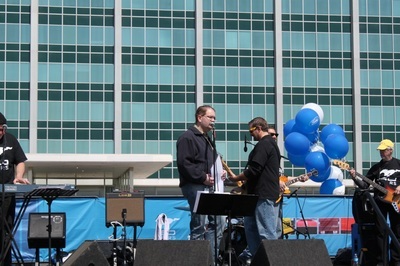 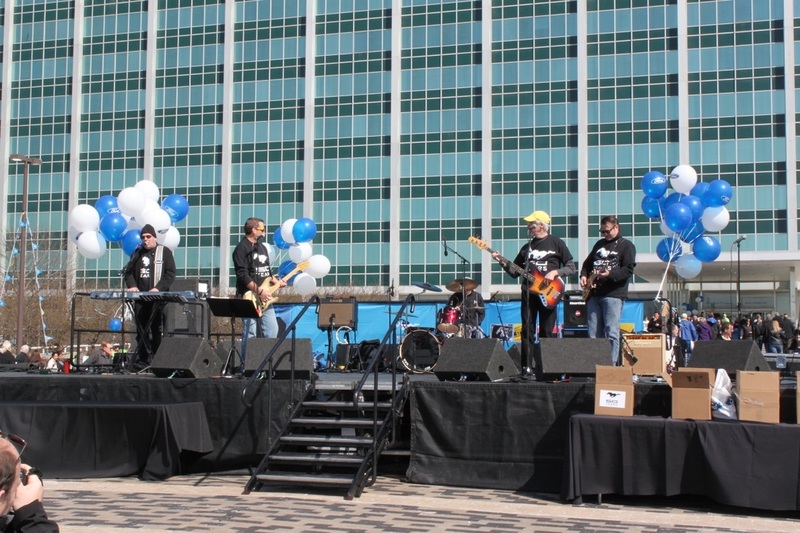 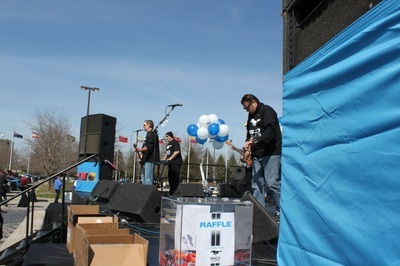 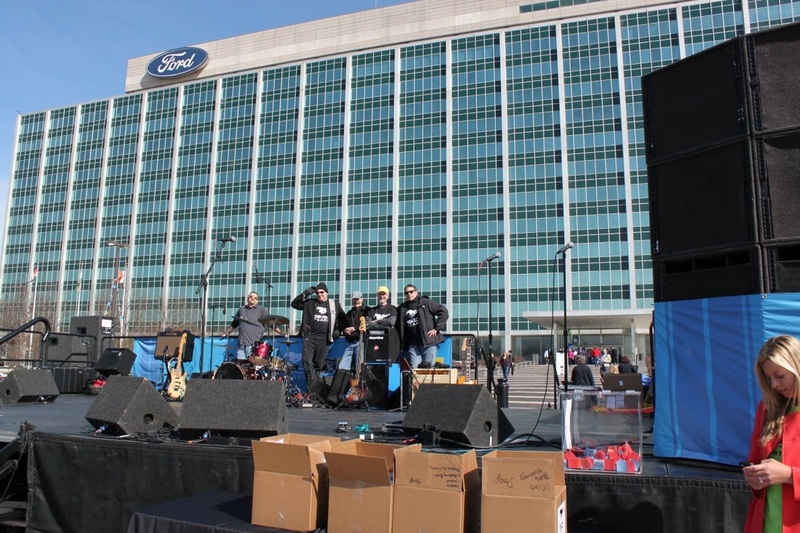 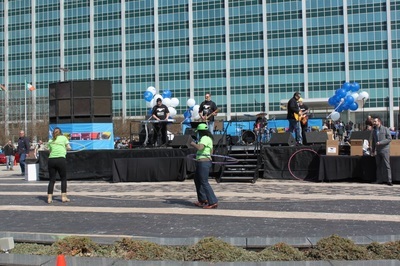 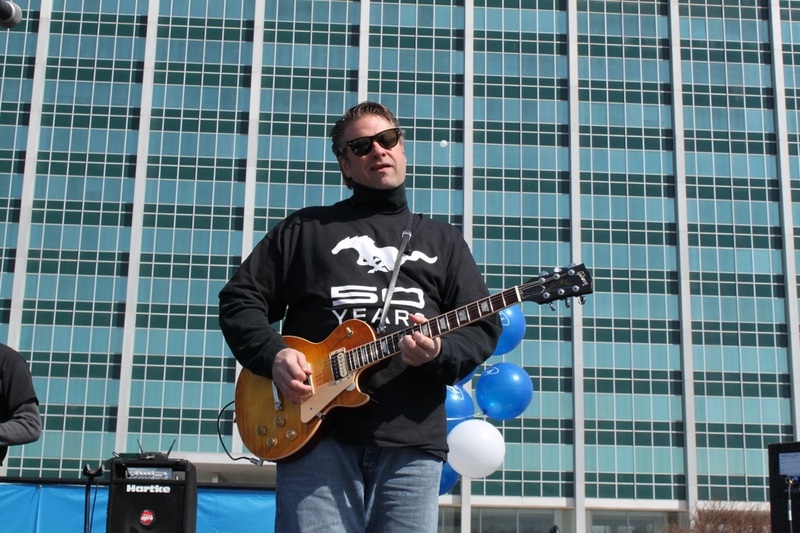 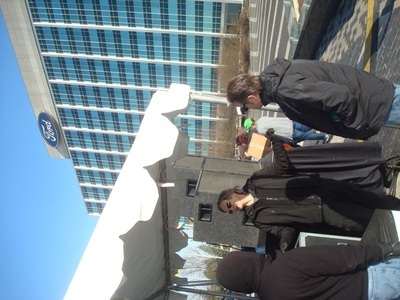 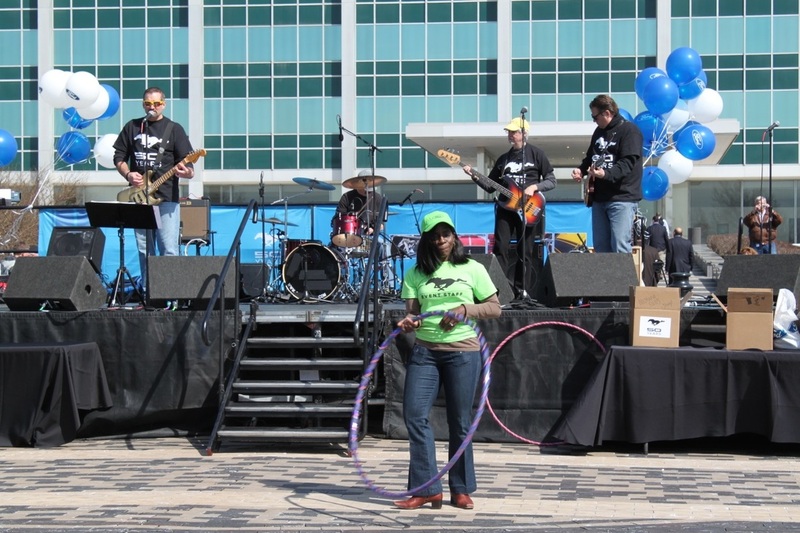 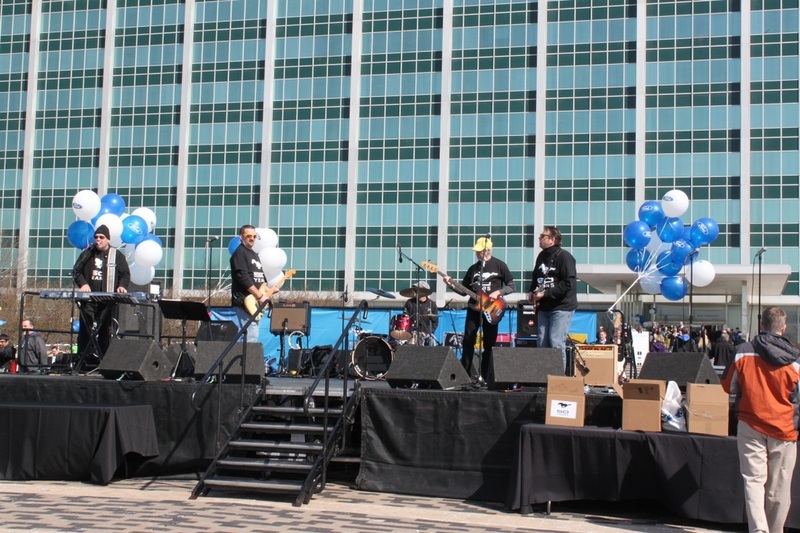 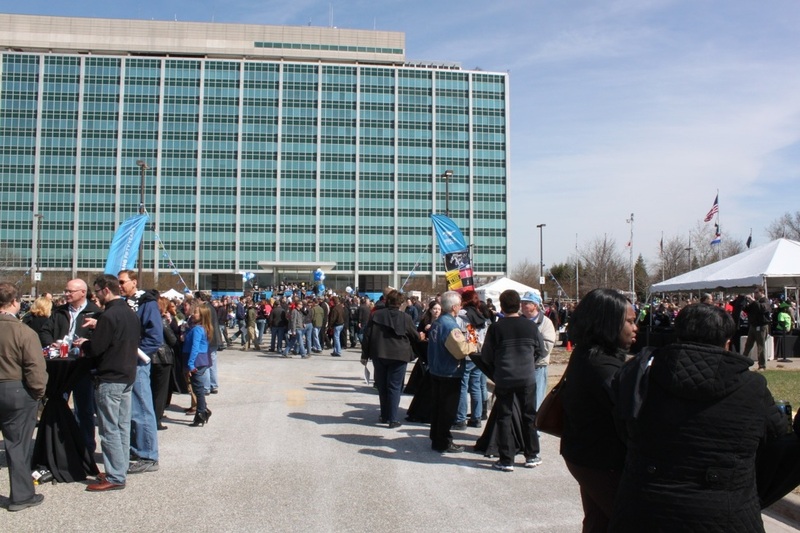 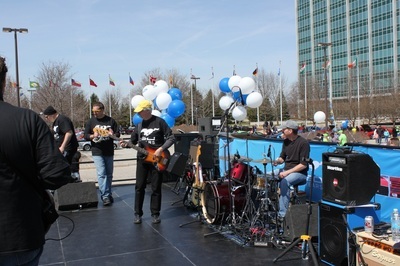 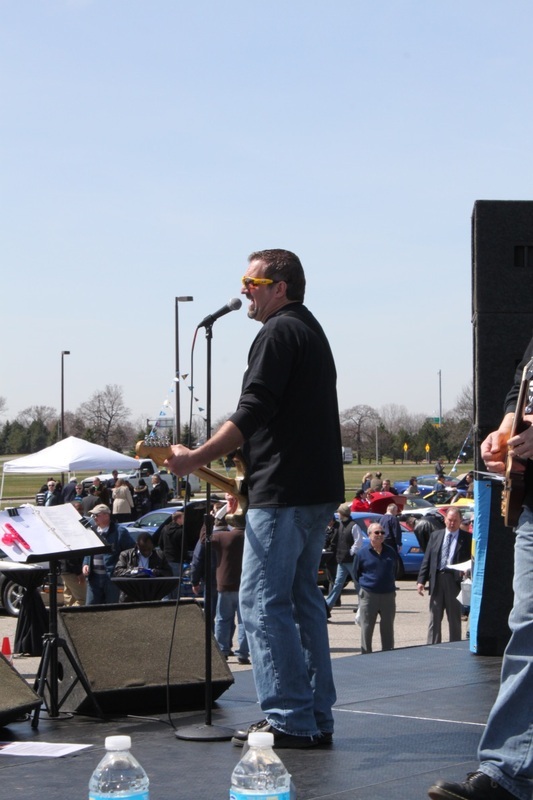 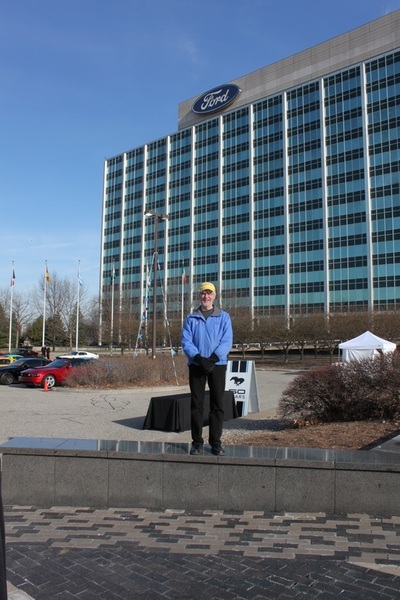 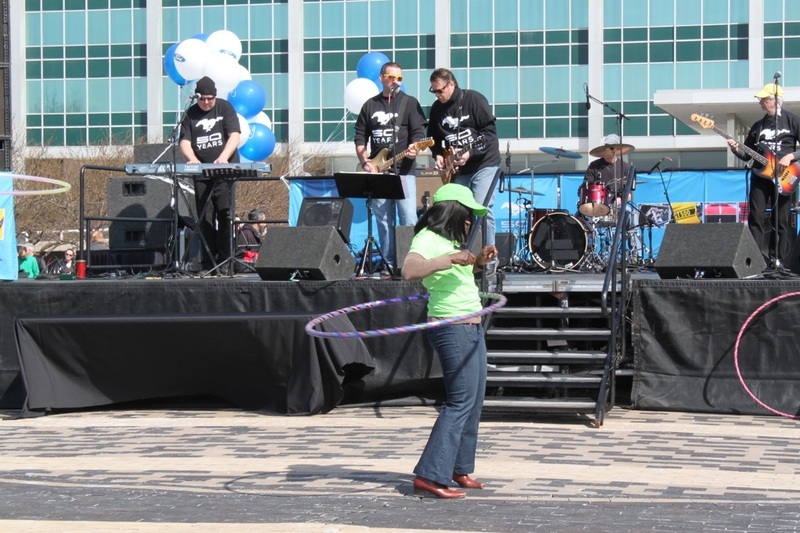 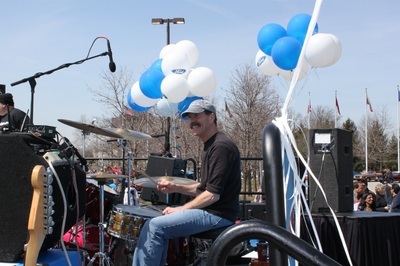 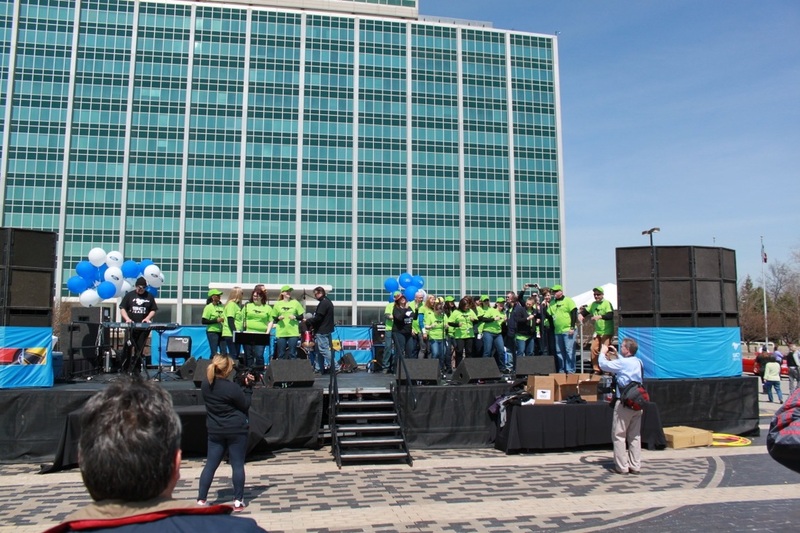 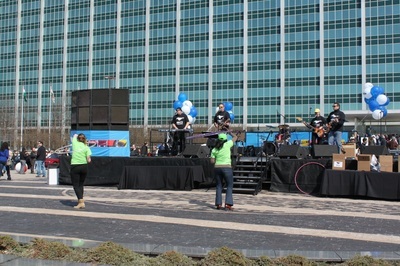 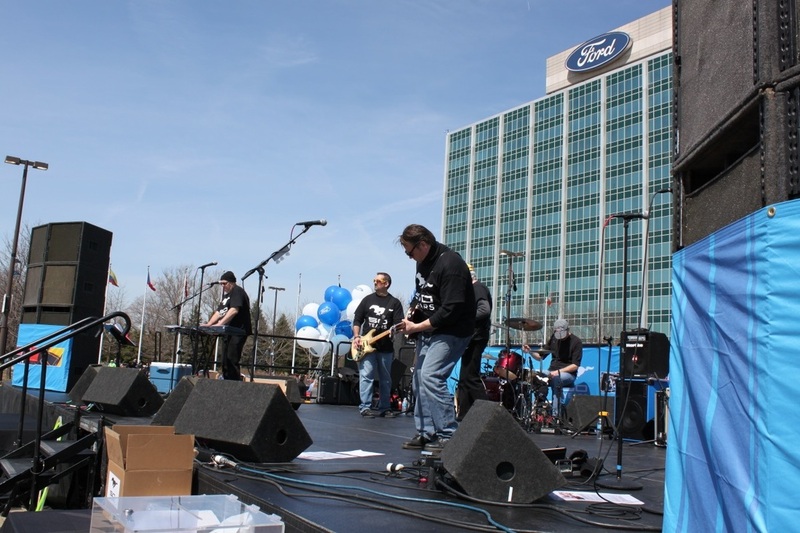 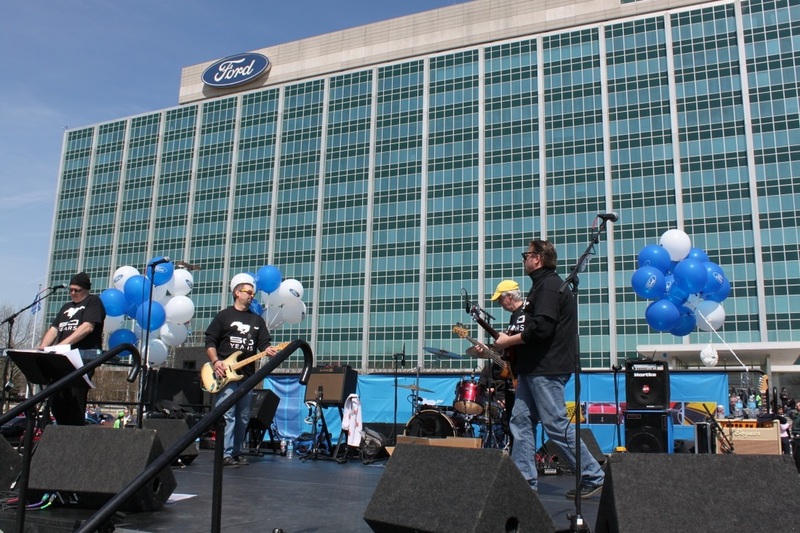 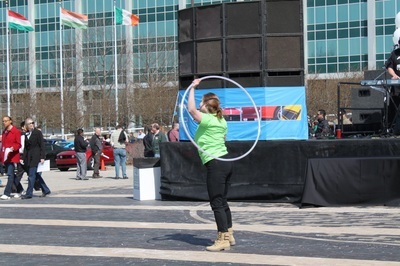 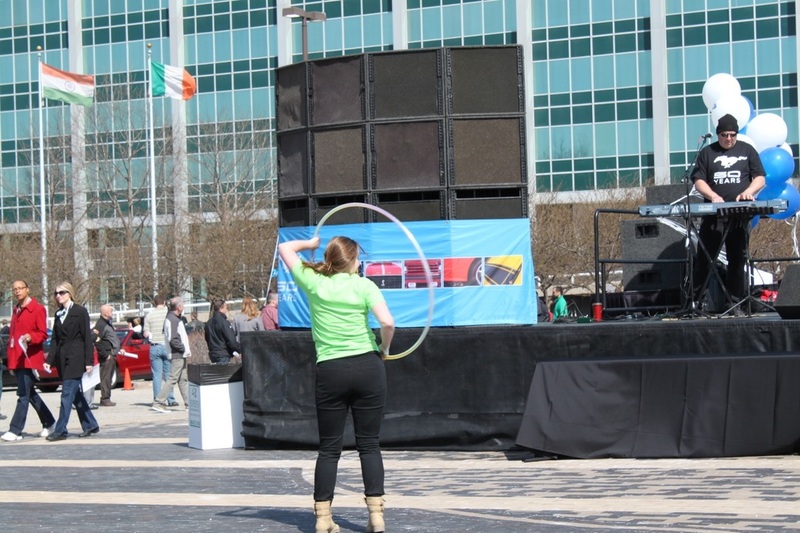 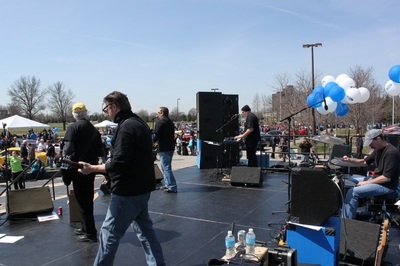 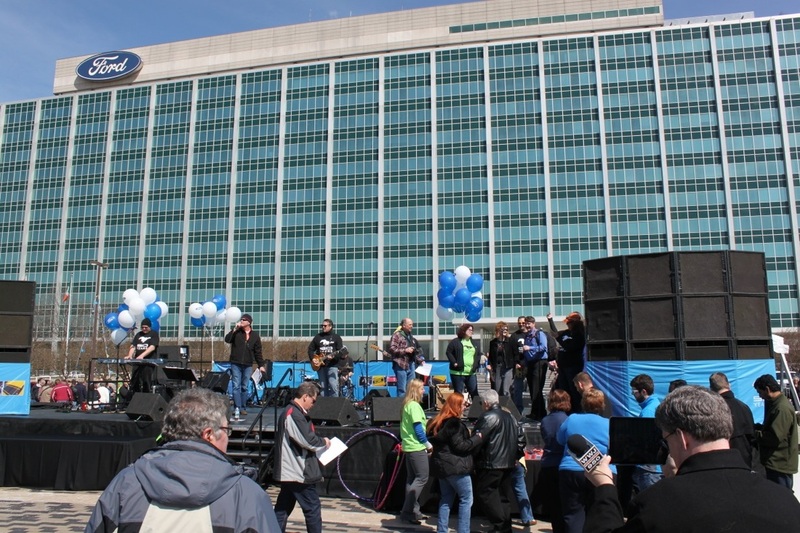 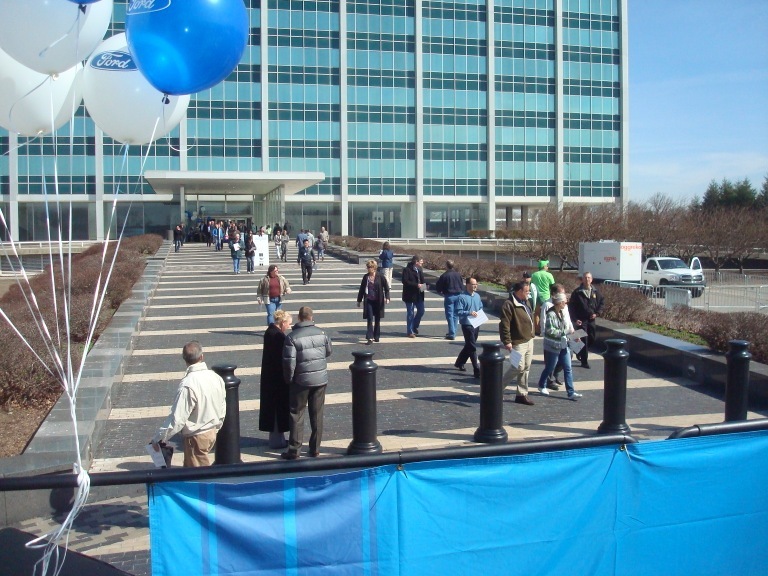 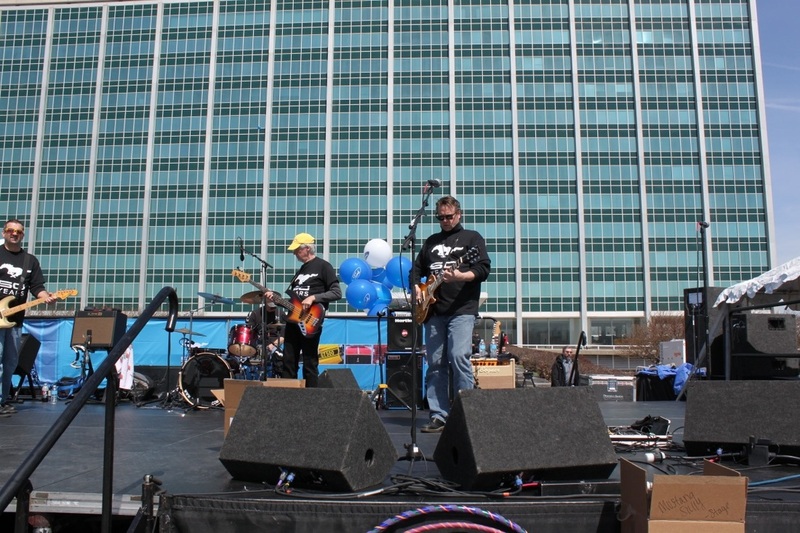 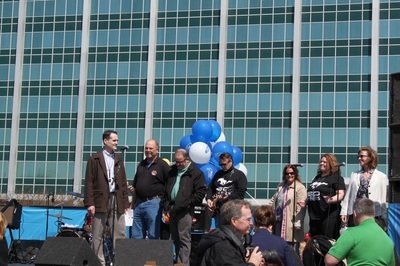 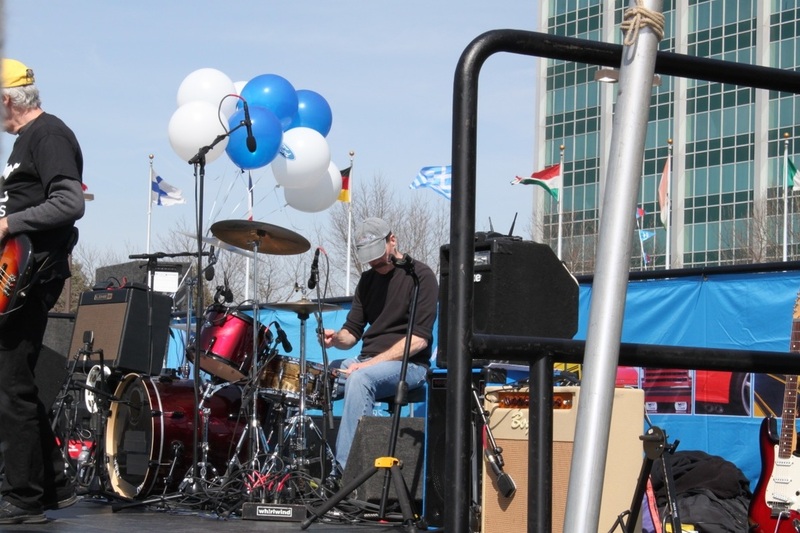 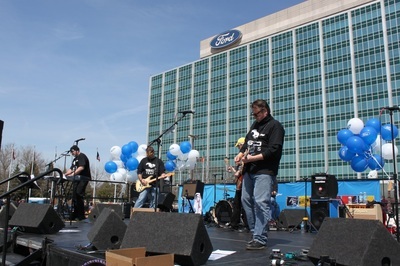 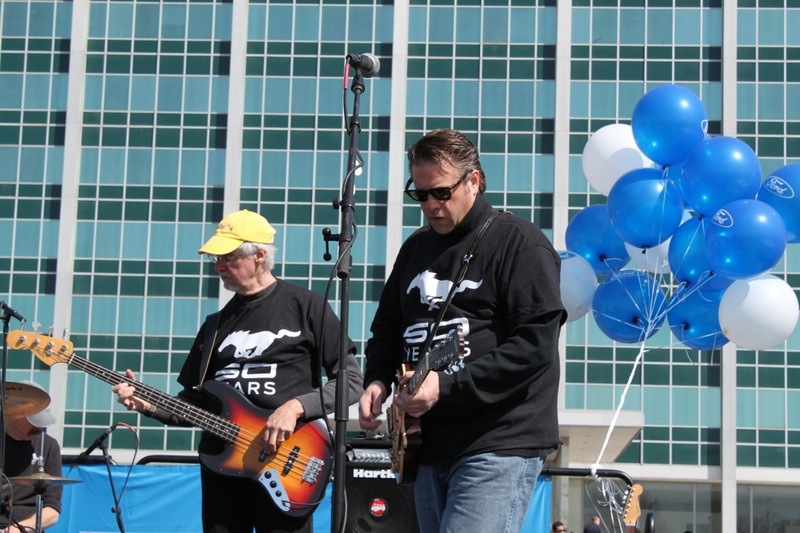 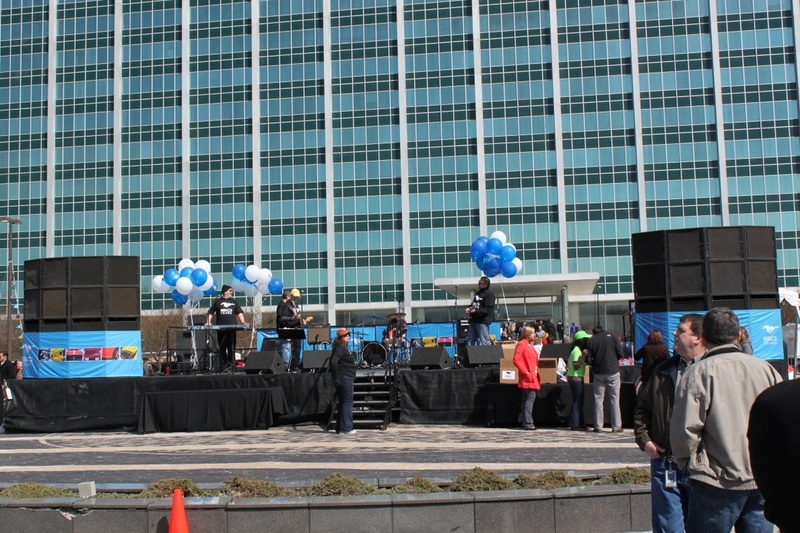 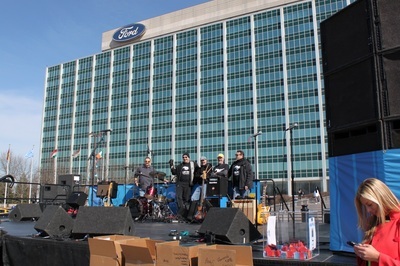 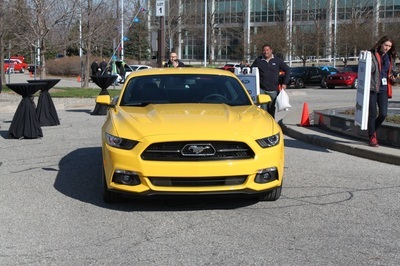 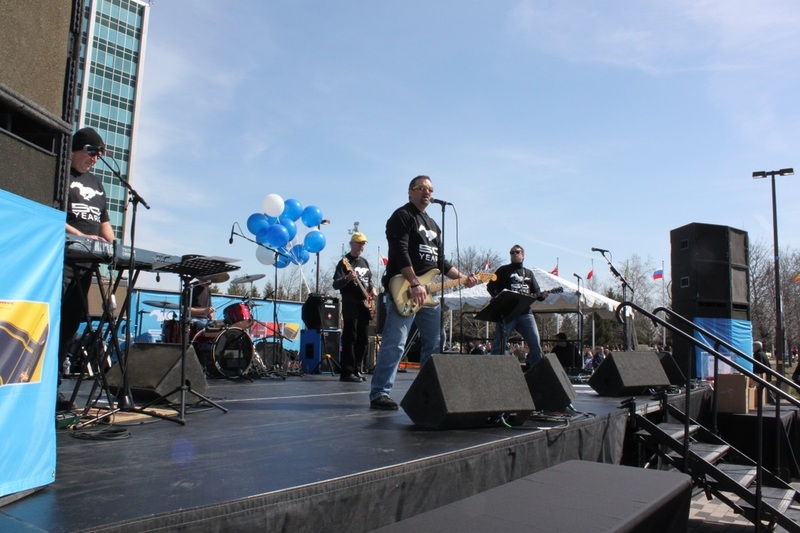 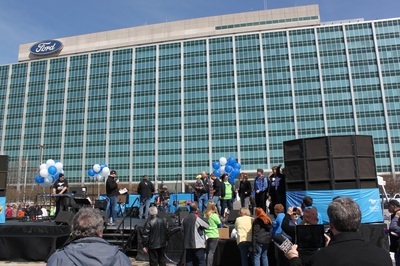 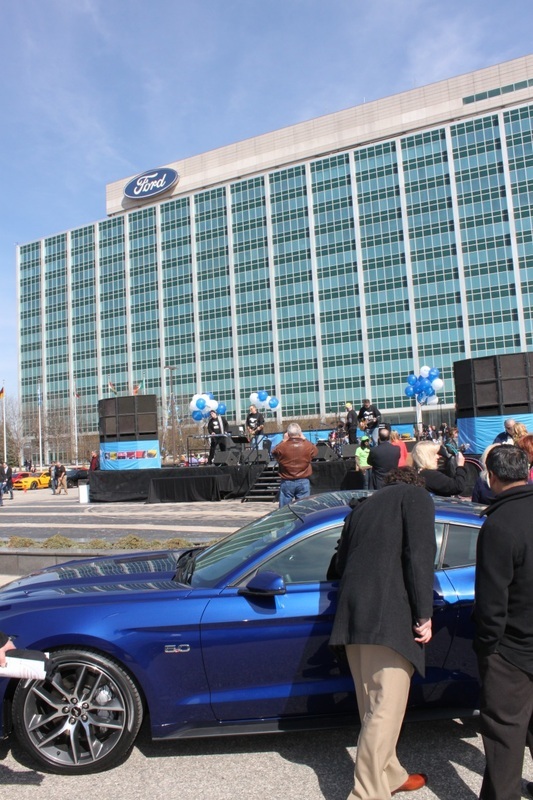 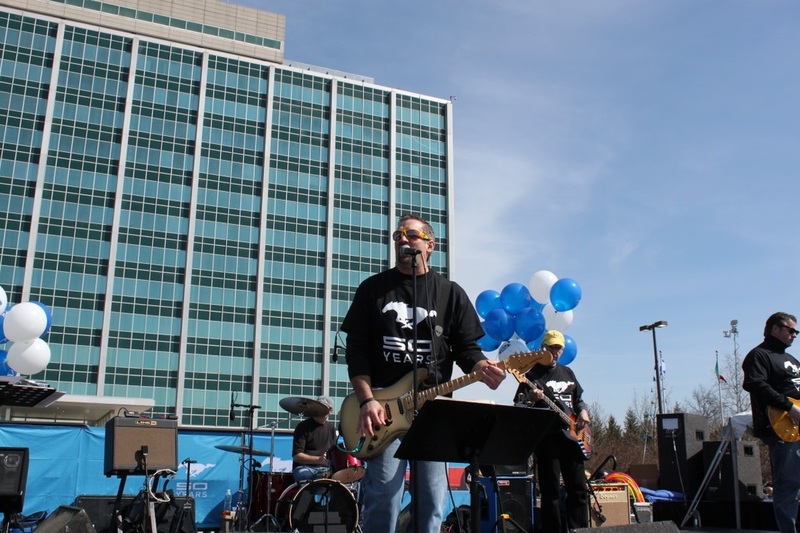 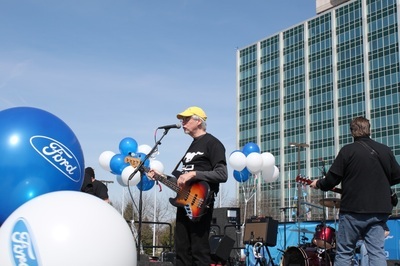 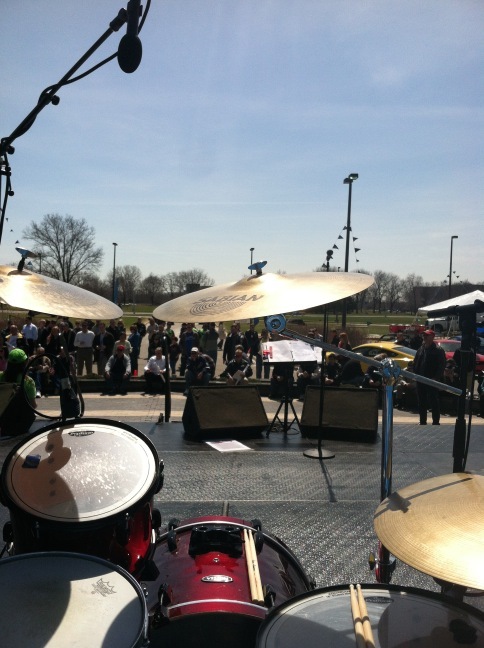 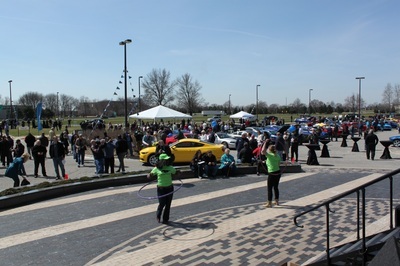 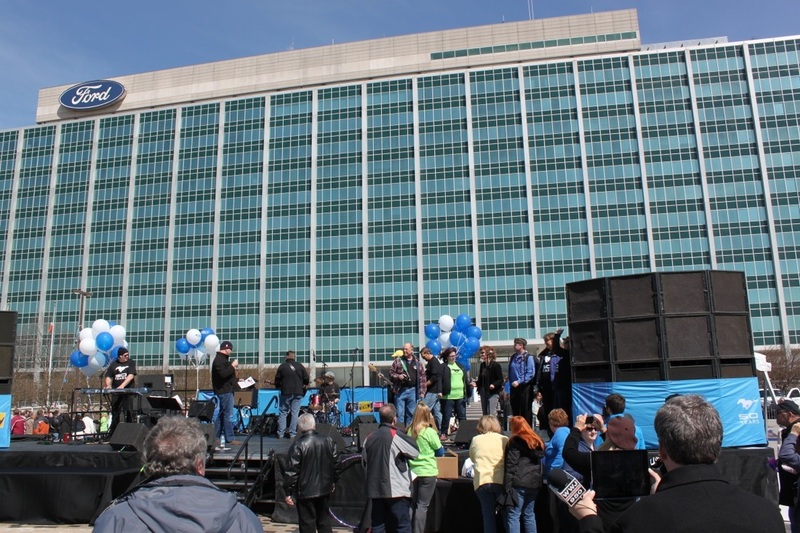 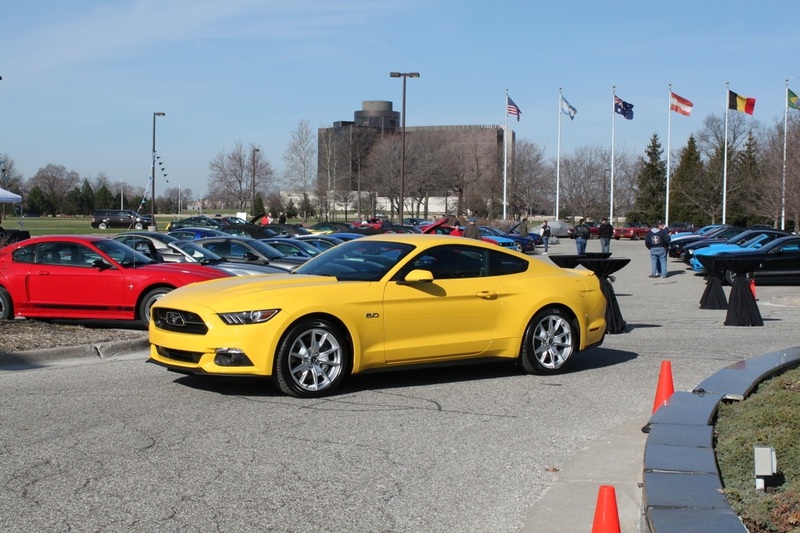 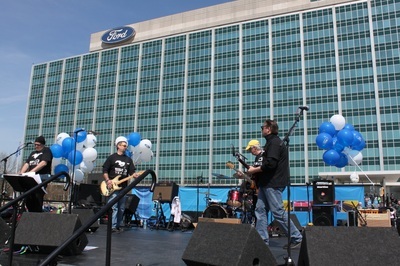 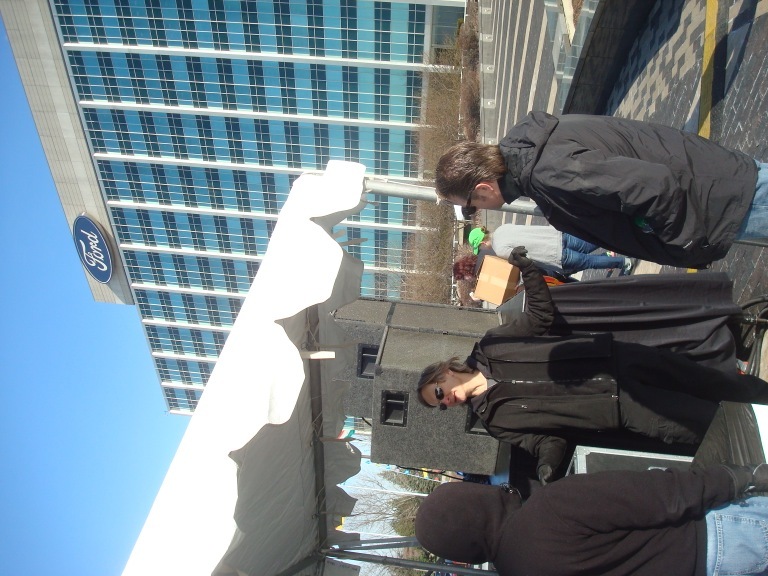 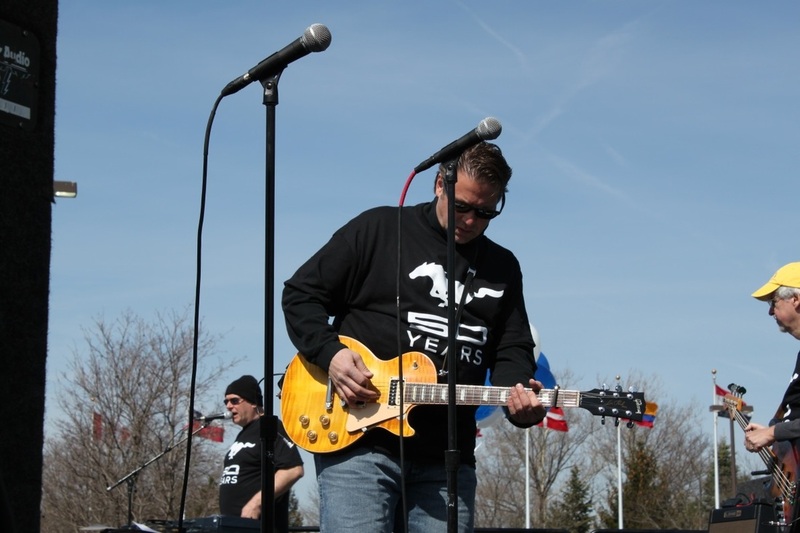 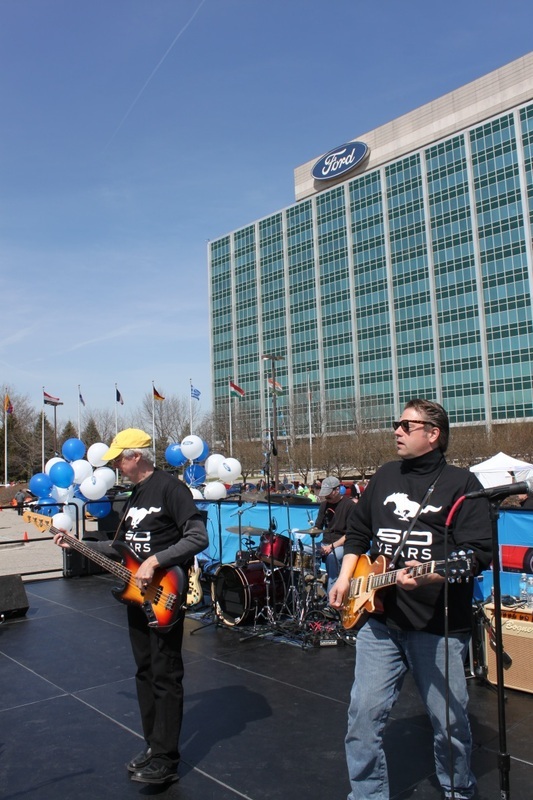 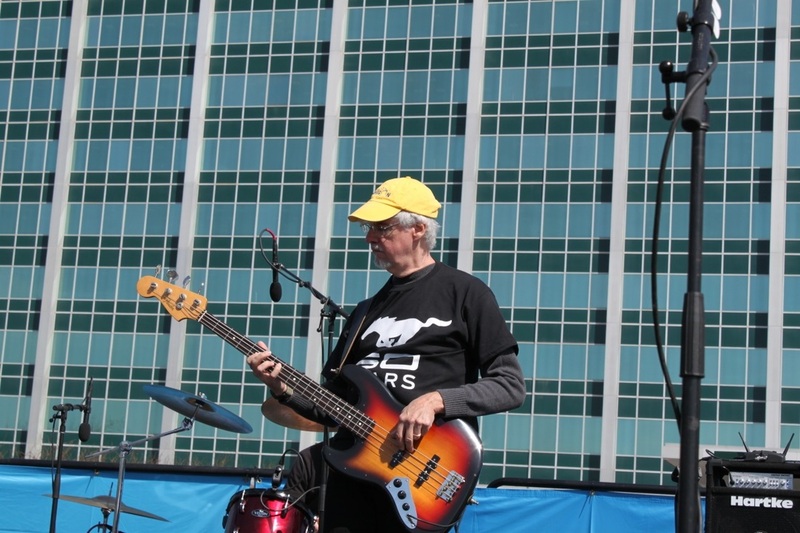 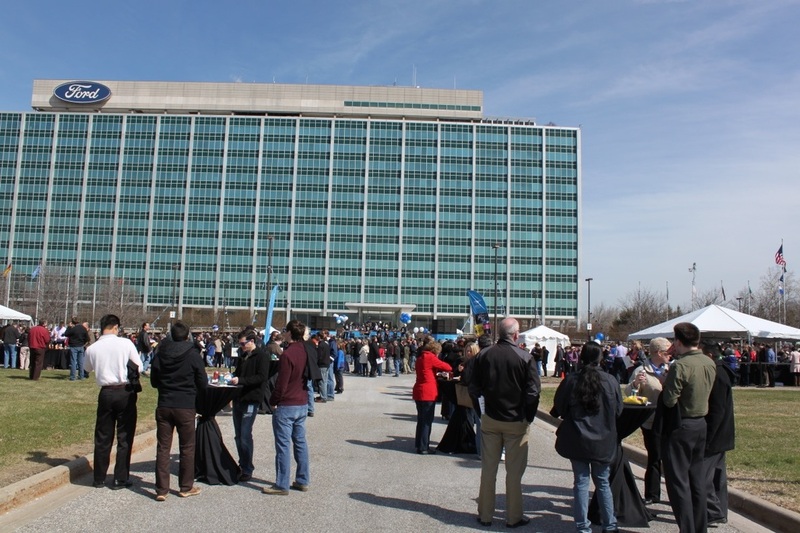 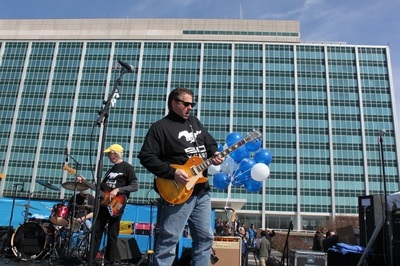 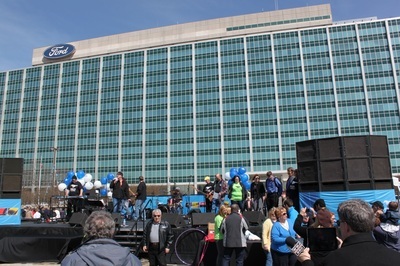 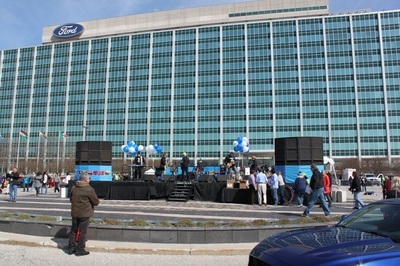 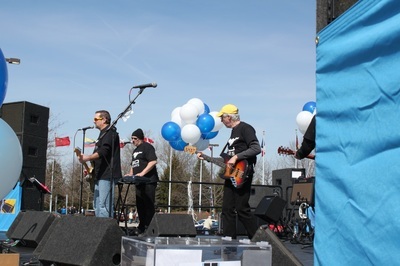 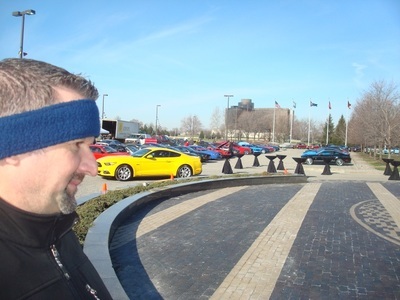 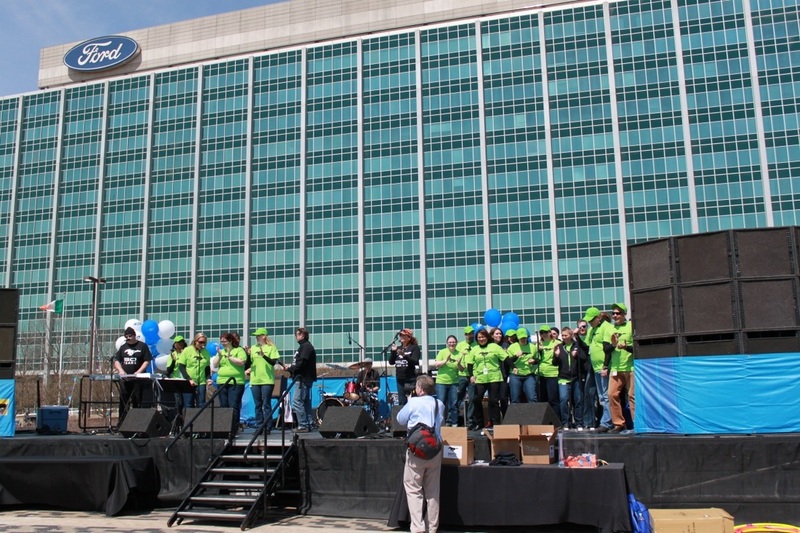 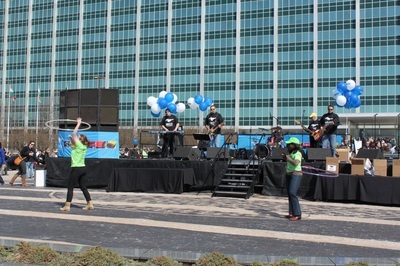 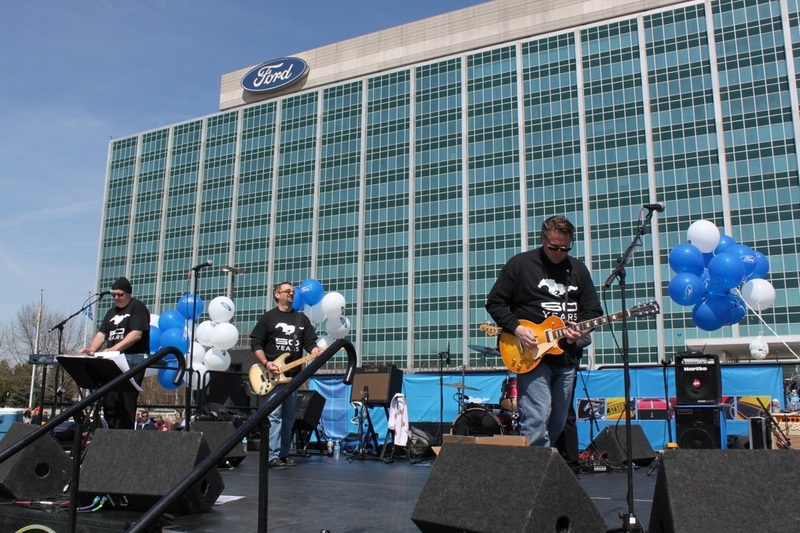 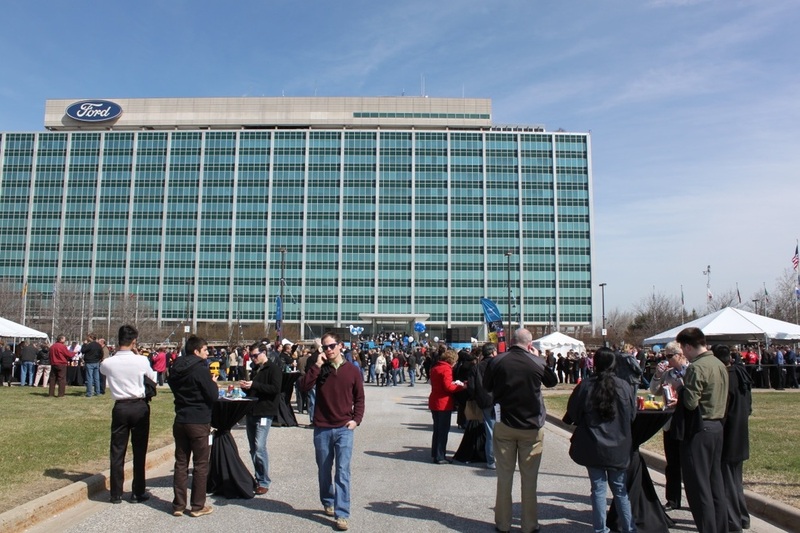 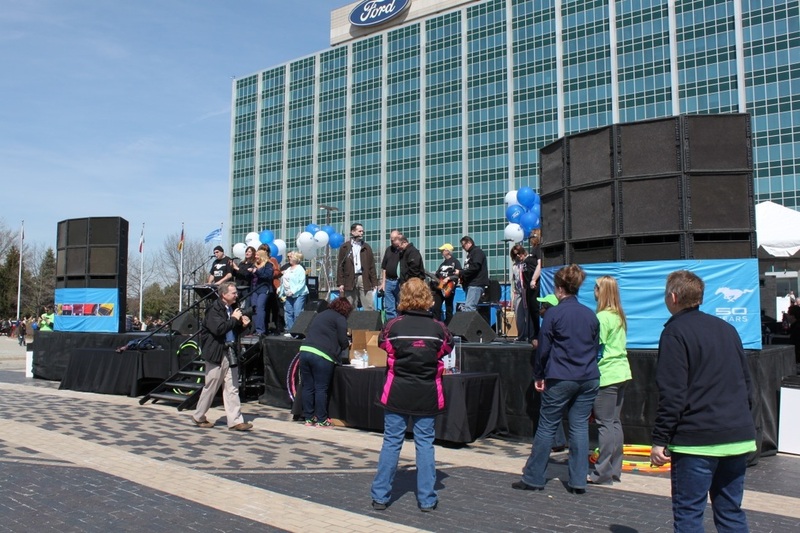 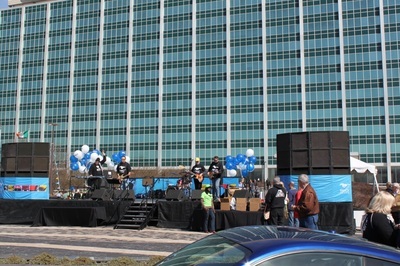 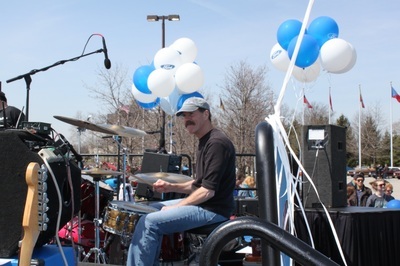 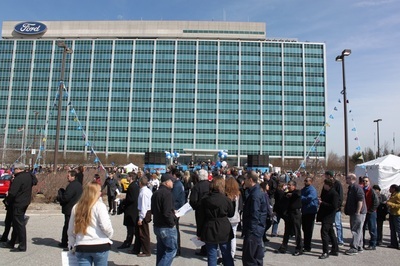 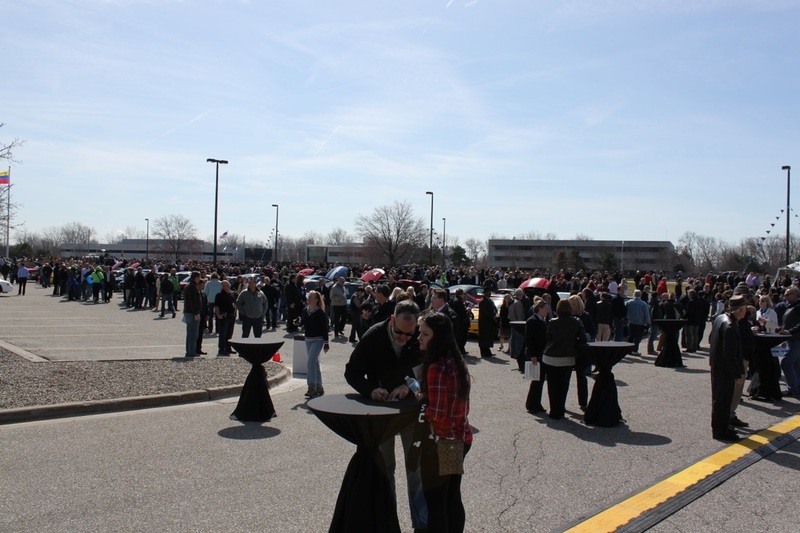 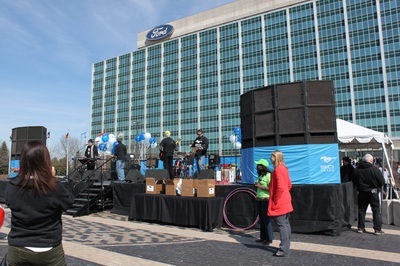 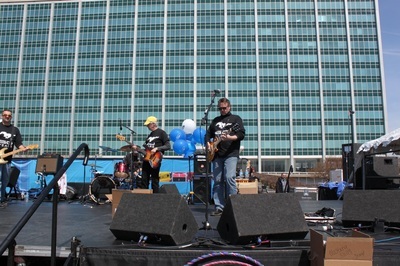 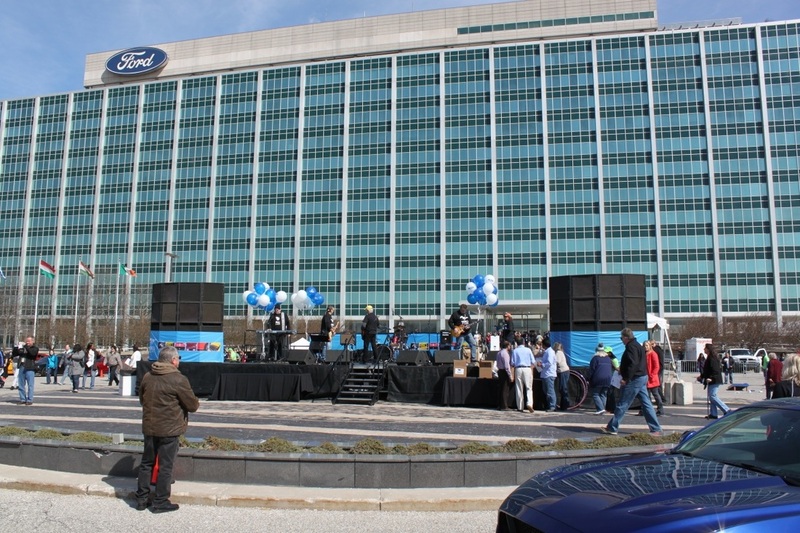 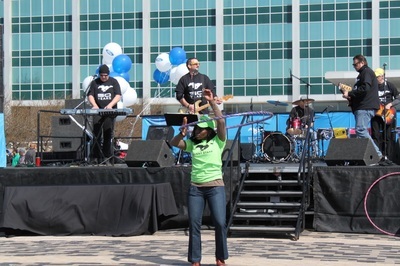 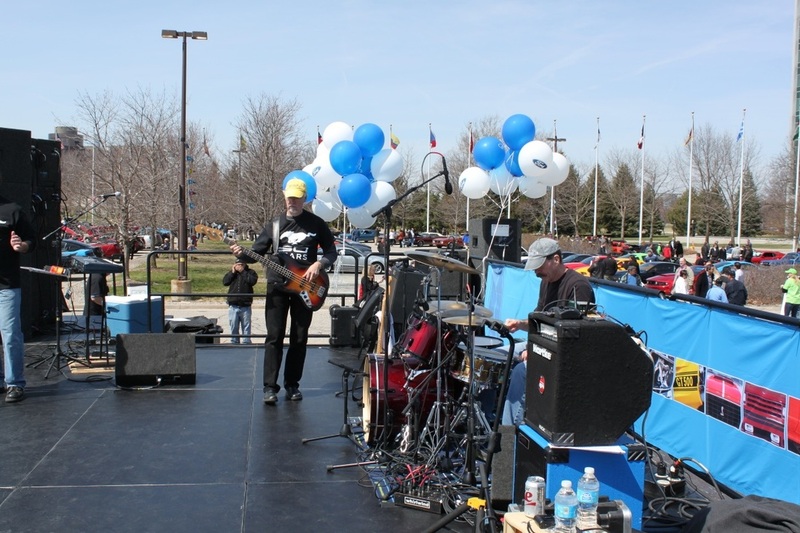 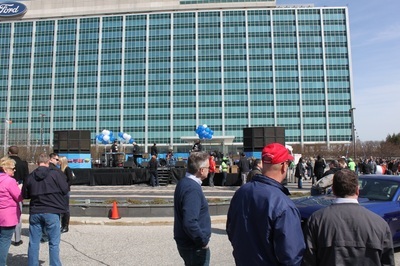 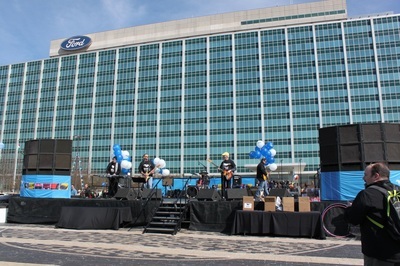 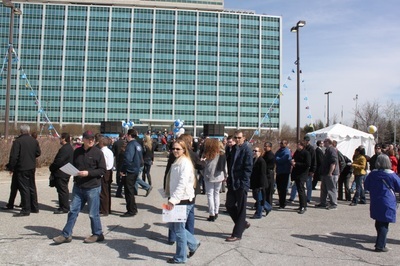 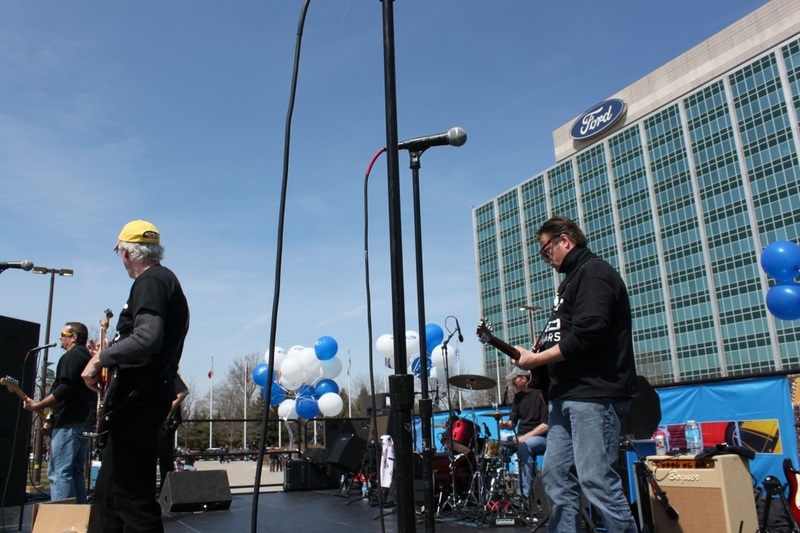 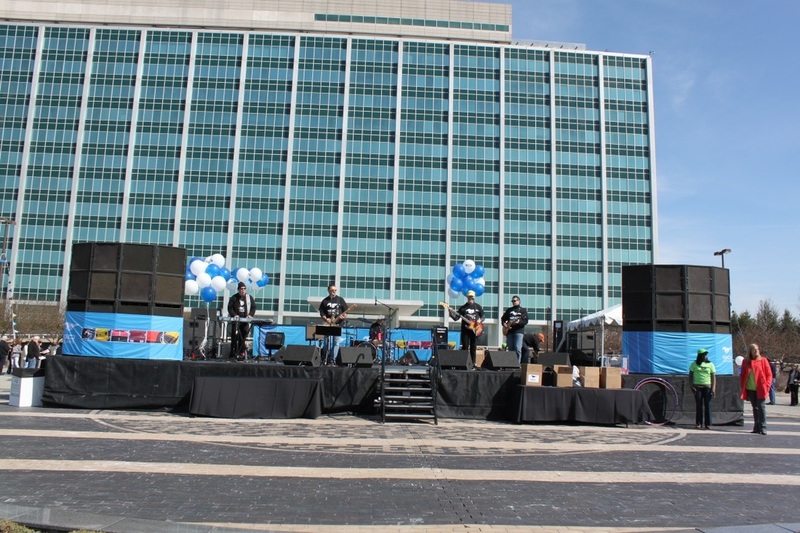 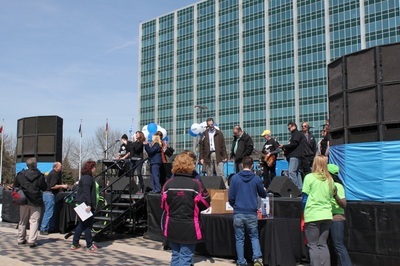 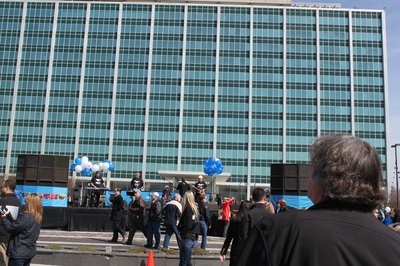 It was a very cool event with 150 Mustangs parked in the front parking lot of the Ford World Headquarters and the entire company coming out to check them out, have a hot dog, win some prizes and even get up on stage and help us sing. 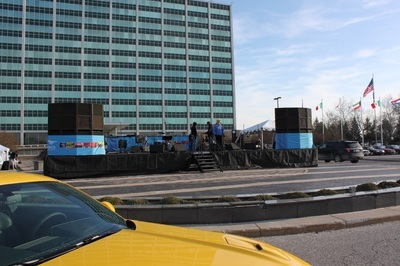 Gues what song? 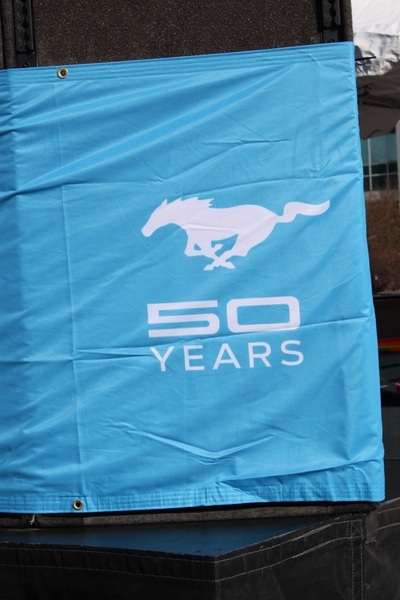 Read on for the answer! Only issue with gigs like this is our name. 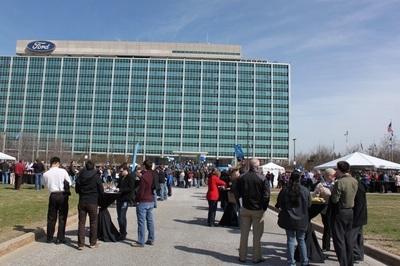 You can't put the words "Free Beer" on a corporate invitation. 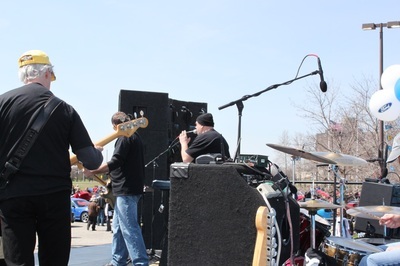 So we went under the pseudonym "Backseat Drivers". 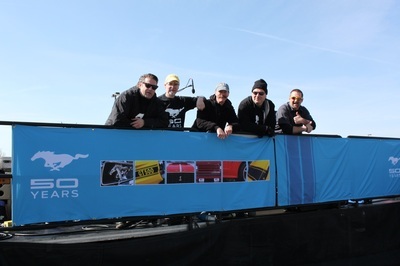 We met the necessary requirements. 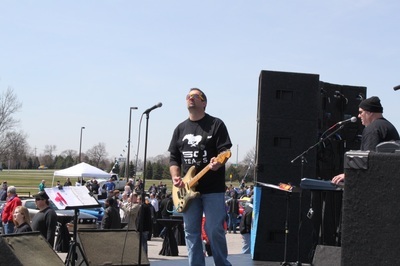 We're fun. 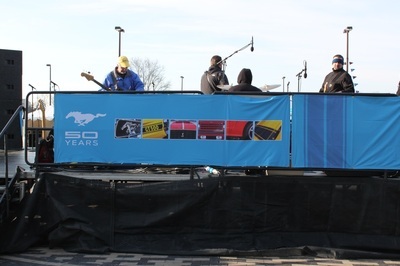 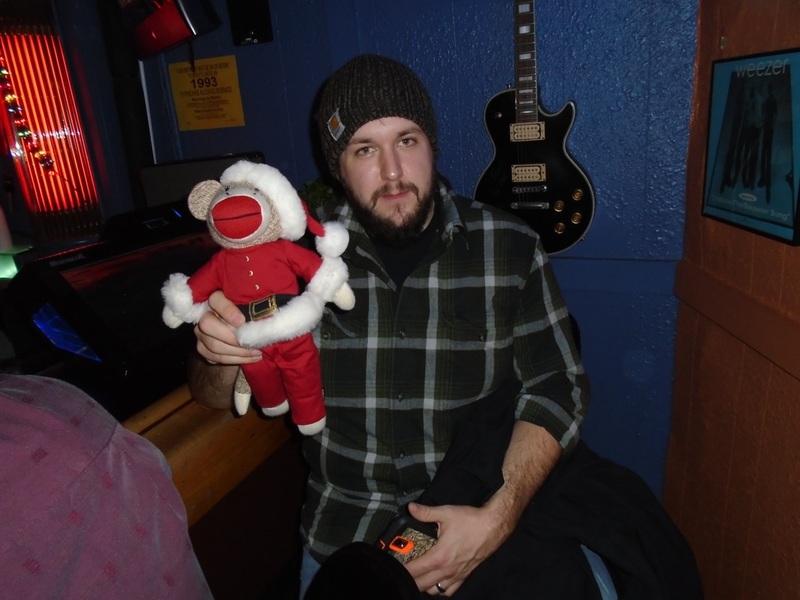 We know a lot of your favorite songs and we can play (answer to the trivia question) "Mustang Sally" over and over again. 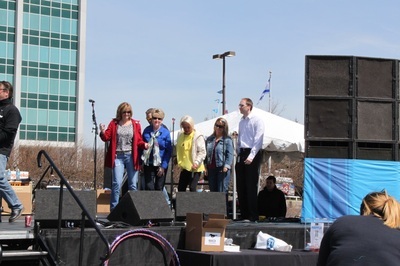 We invited anyone up to be a "Sally" and sing the "Ride Sally Ride" chorus. 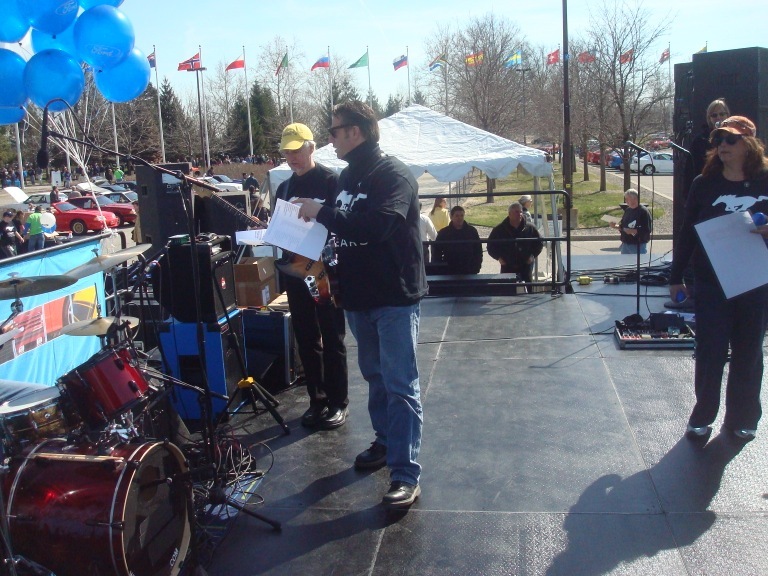 They even had the words printed up on a keepsake laminated sheet if you wanted to sing lead (which one of the engineers did). 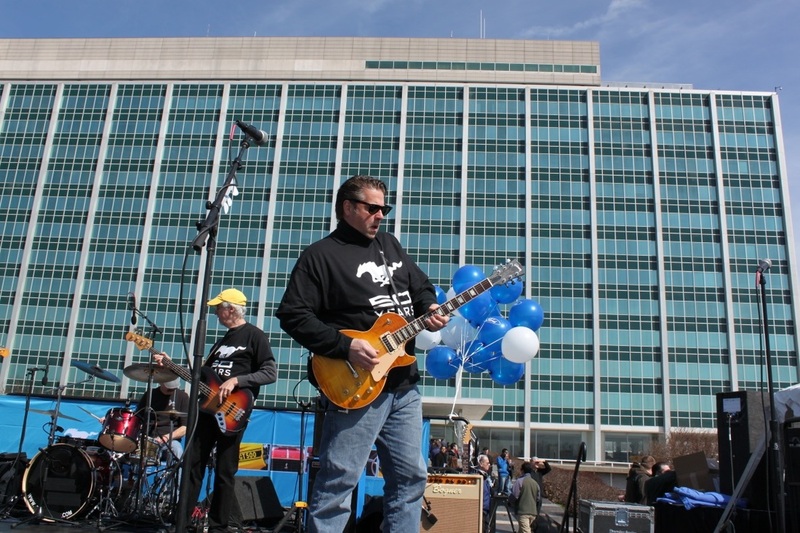 Playing against the backdrop of the World Headquarters in front of all those Mustangs made for an unforgettable scene. But if we ever do, we can check out these pictures!